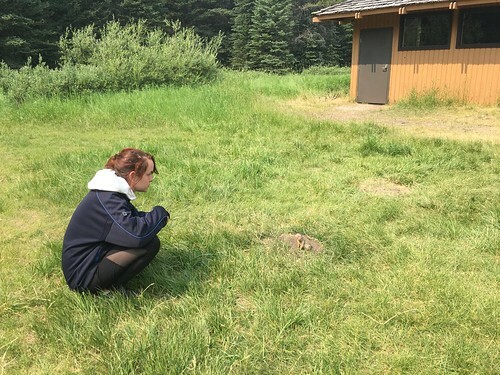 Cackling Canada Geese – July 11-17th, 2017 – Camping! 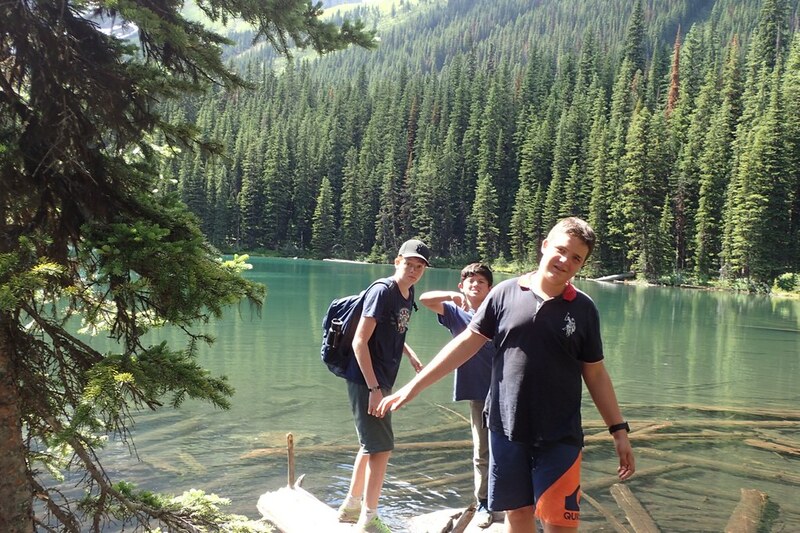 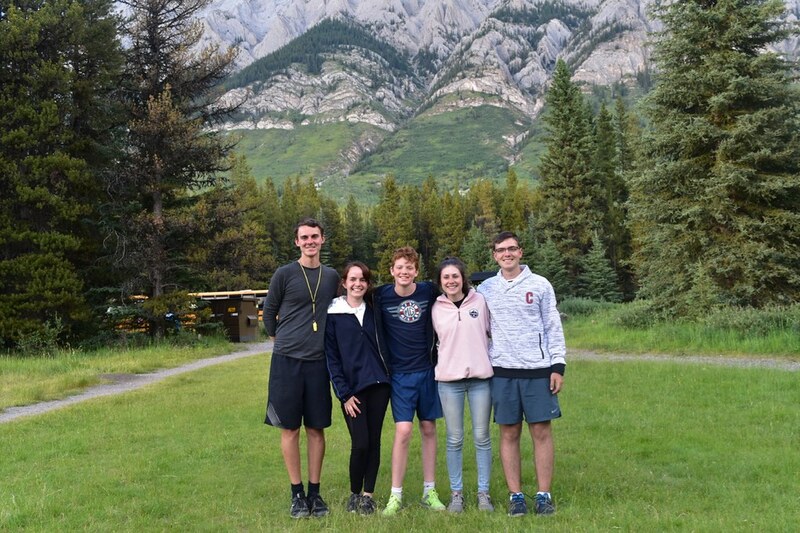 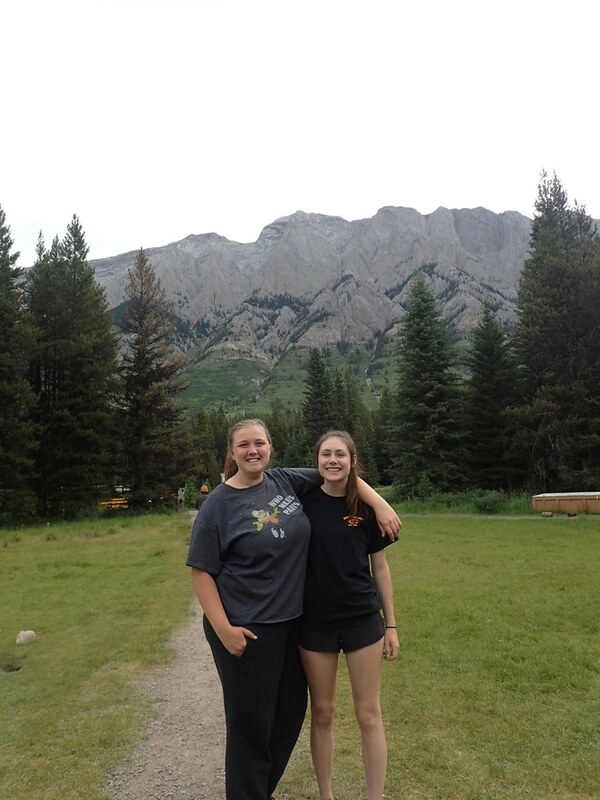 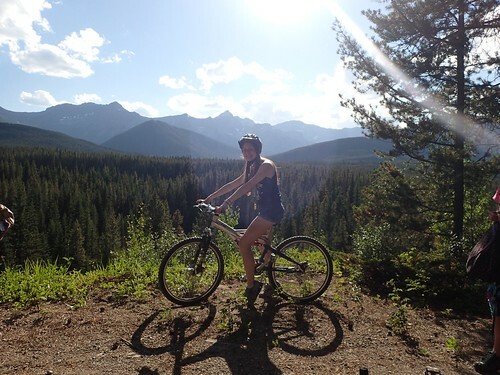 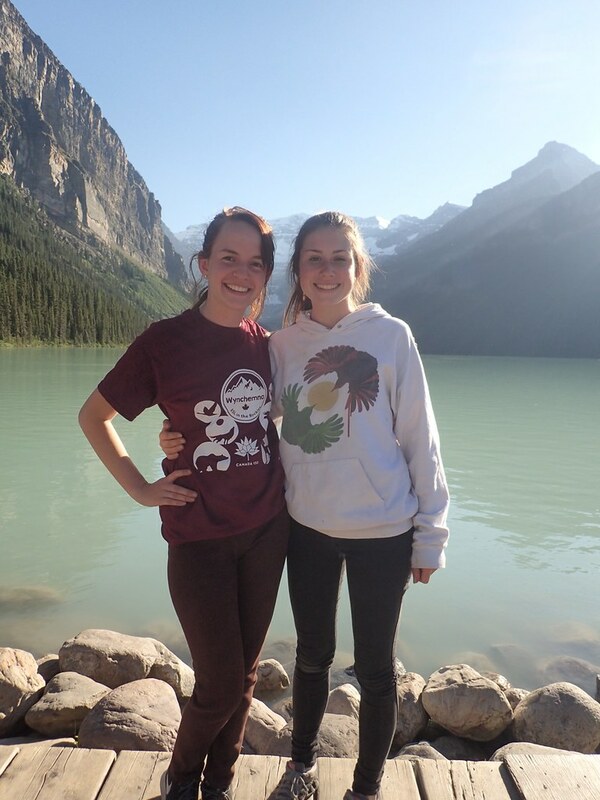 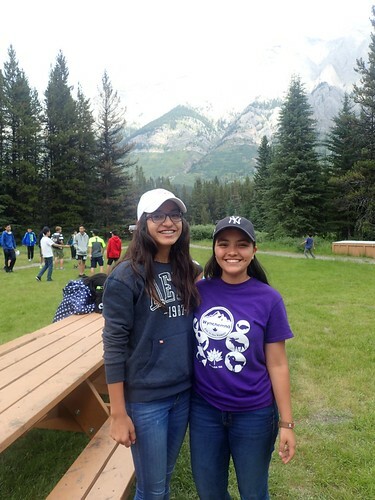 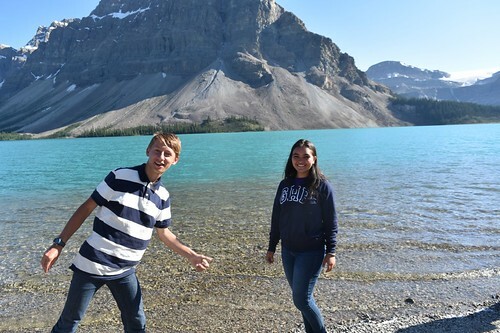 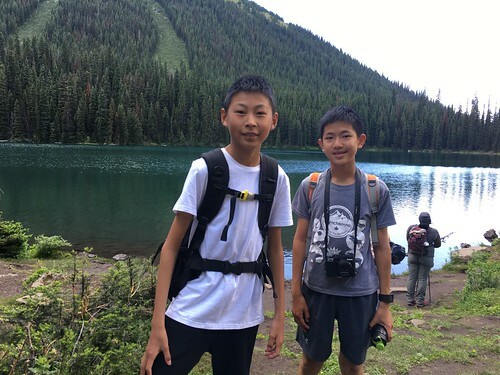 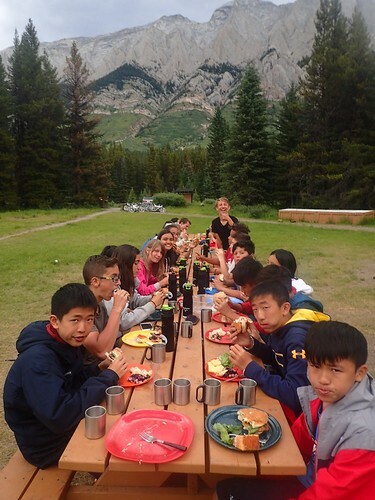 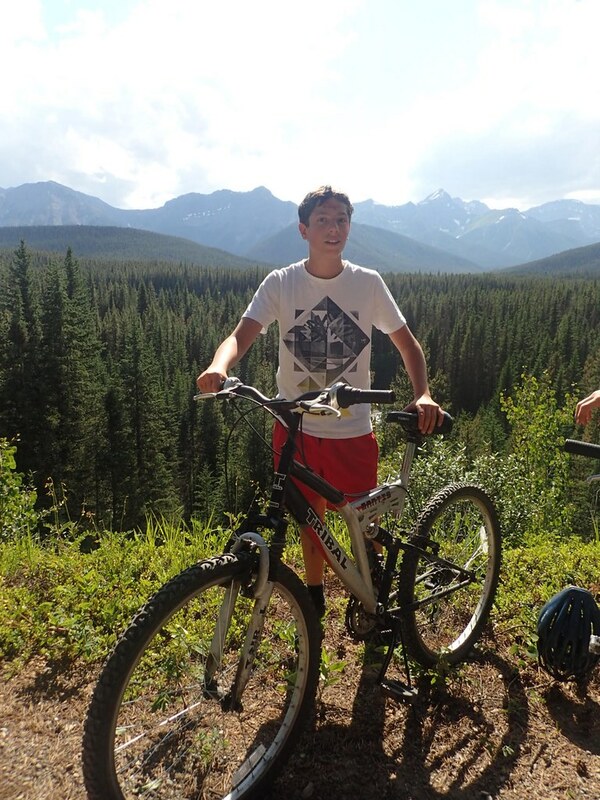 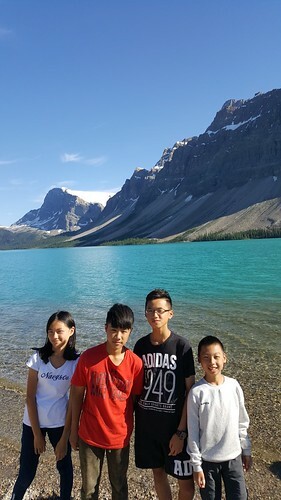 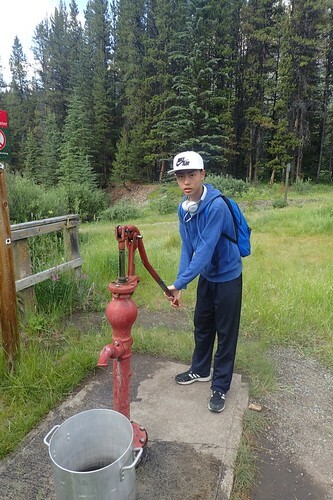 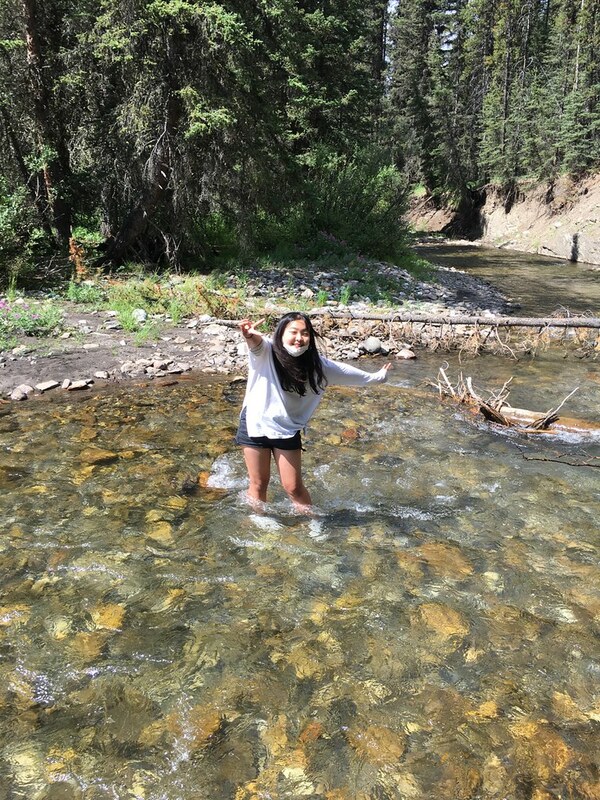 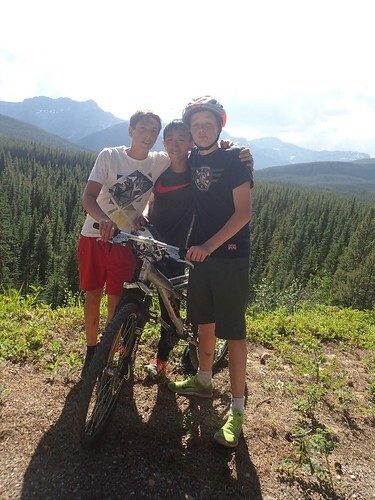 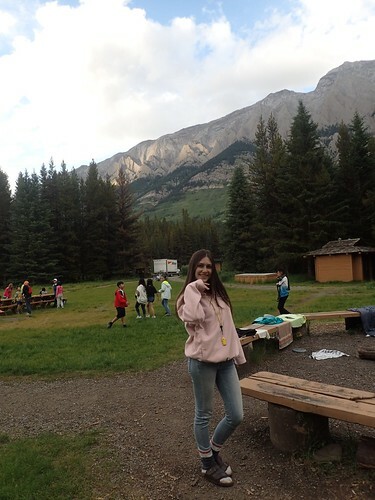 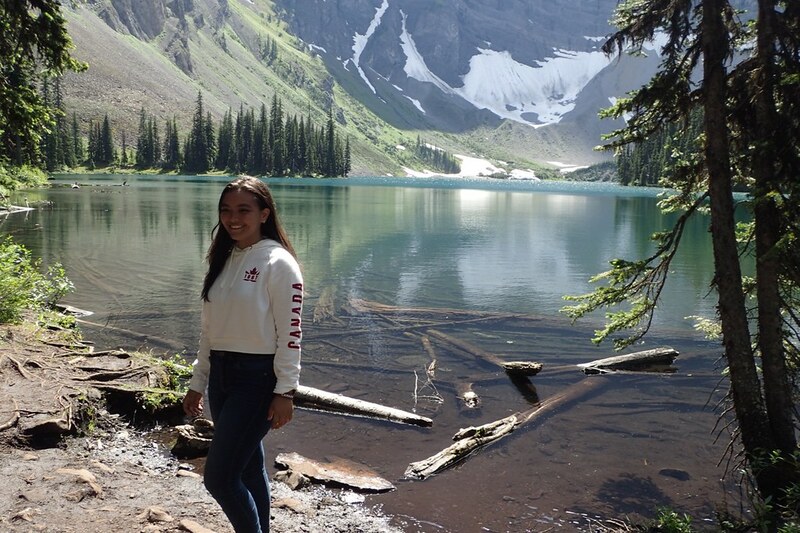 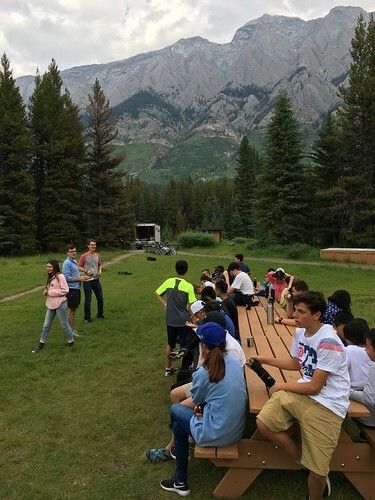 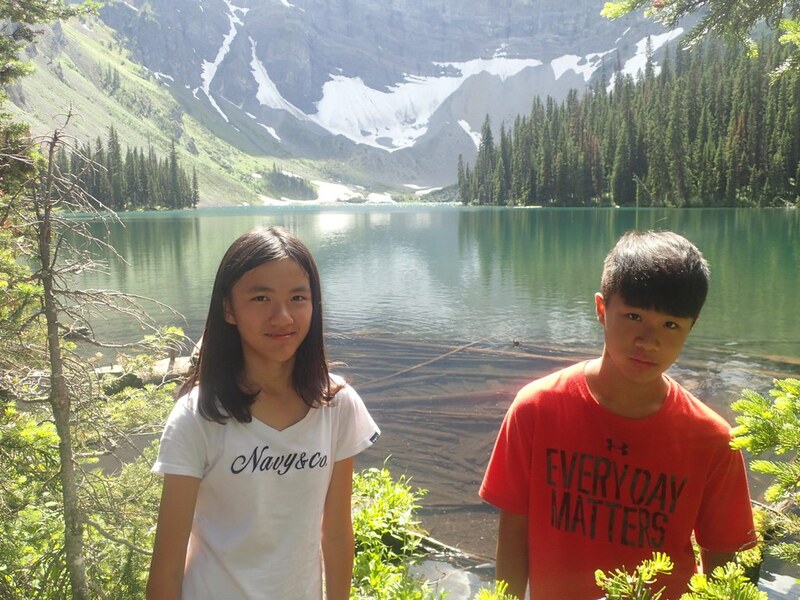 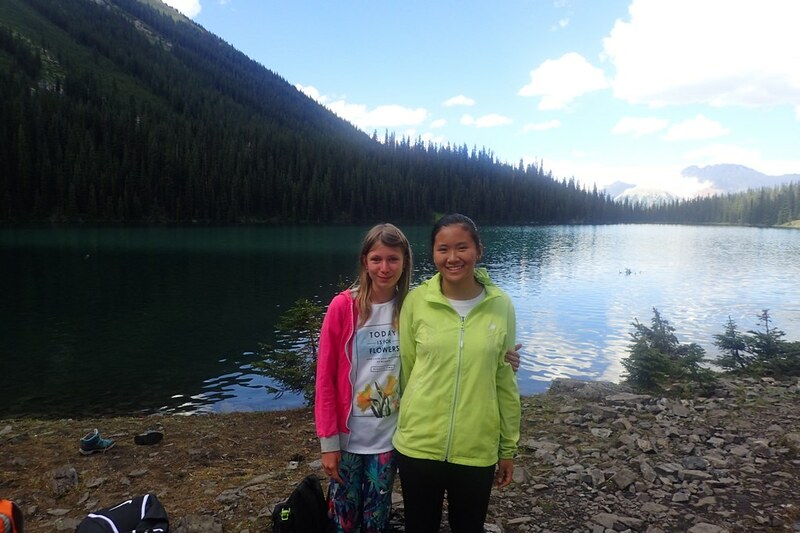 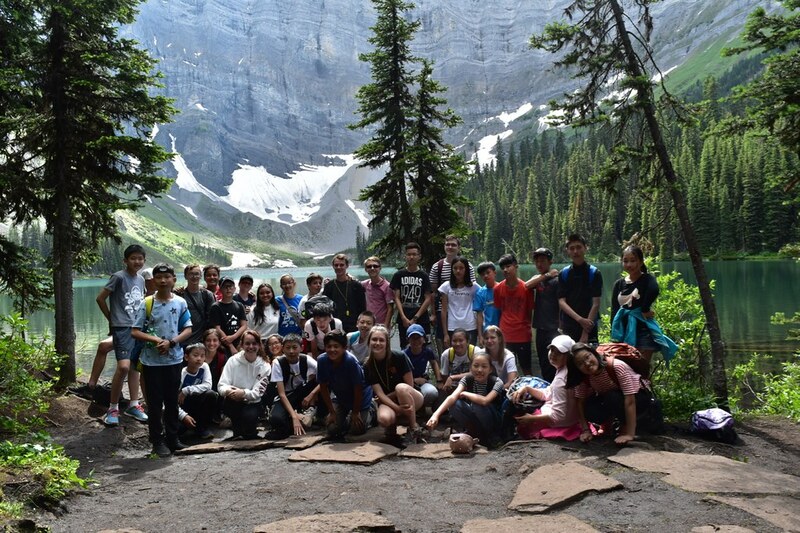 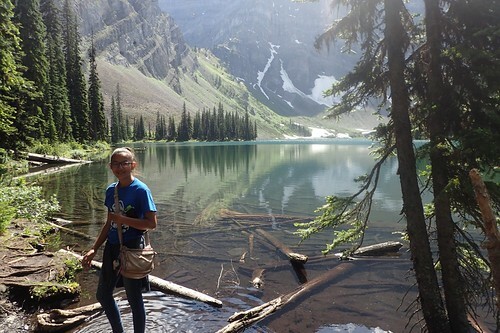 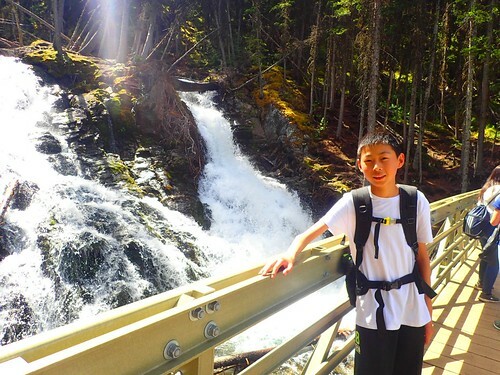 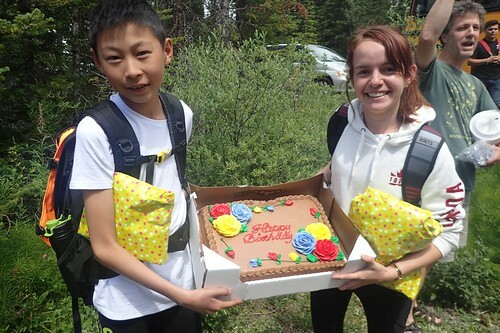 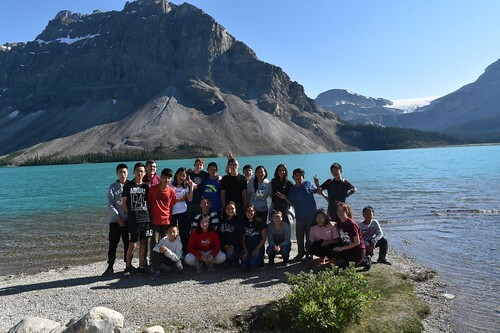 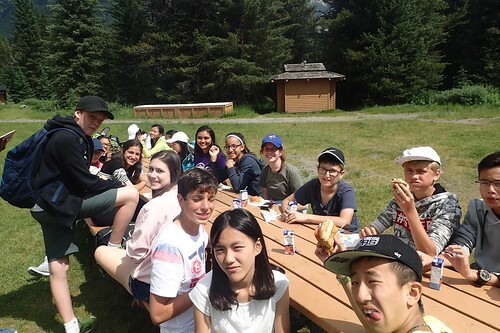 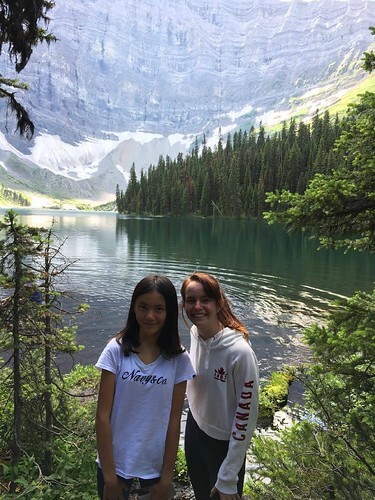 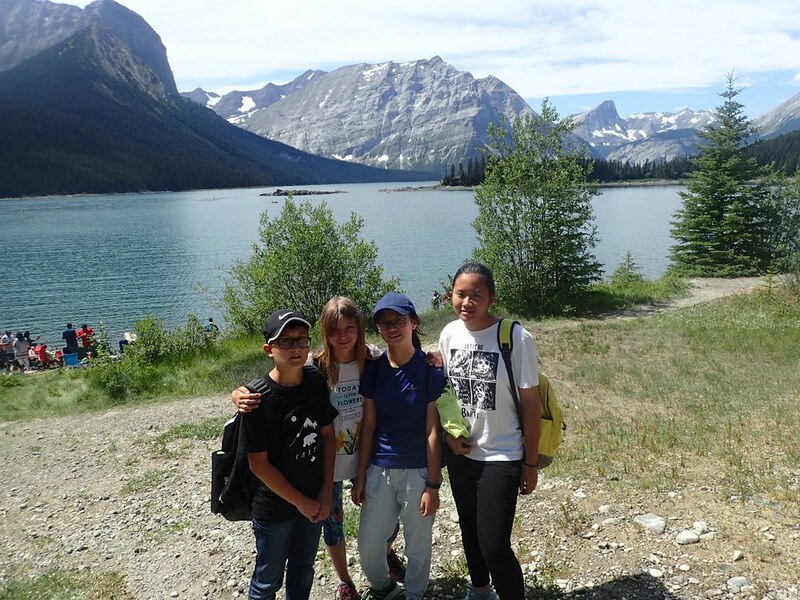 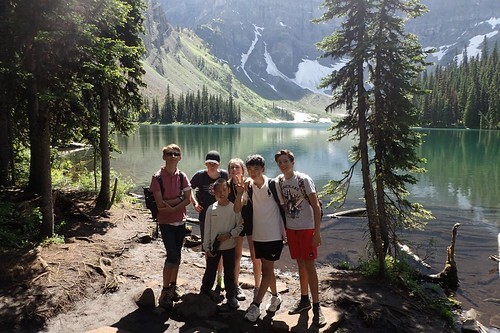 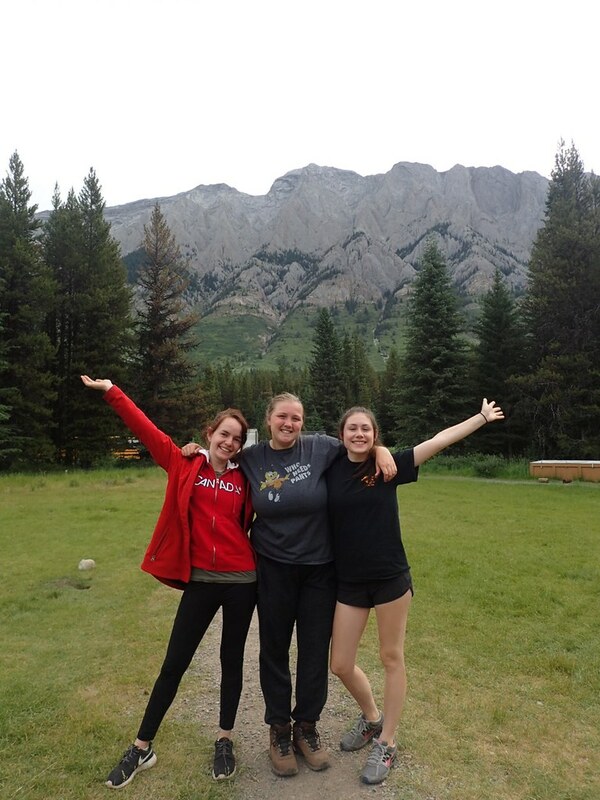 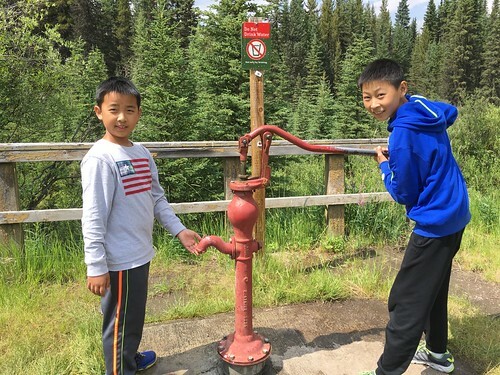 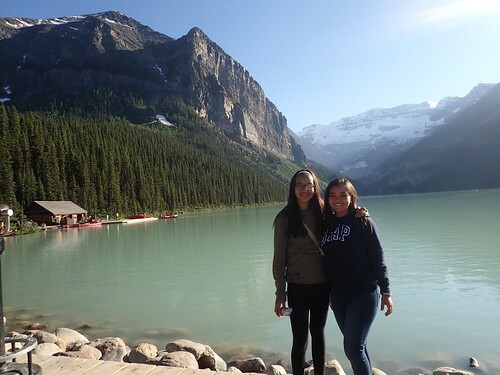 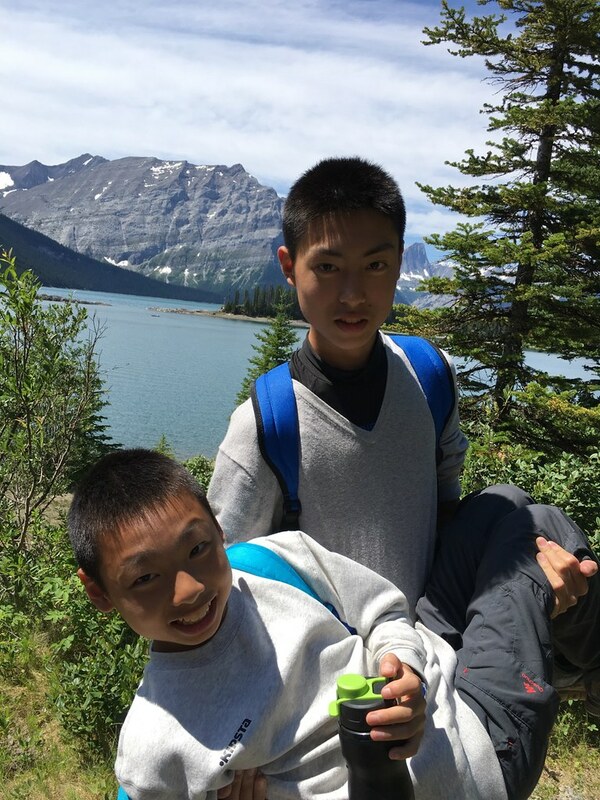 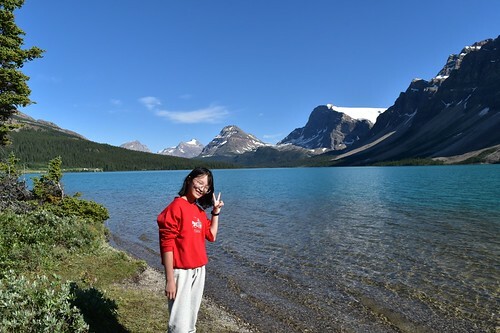 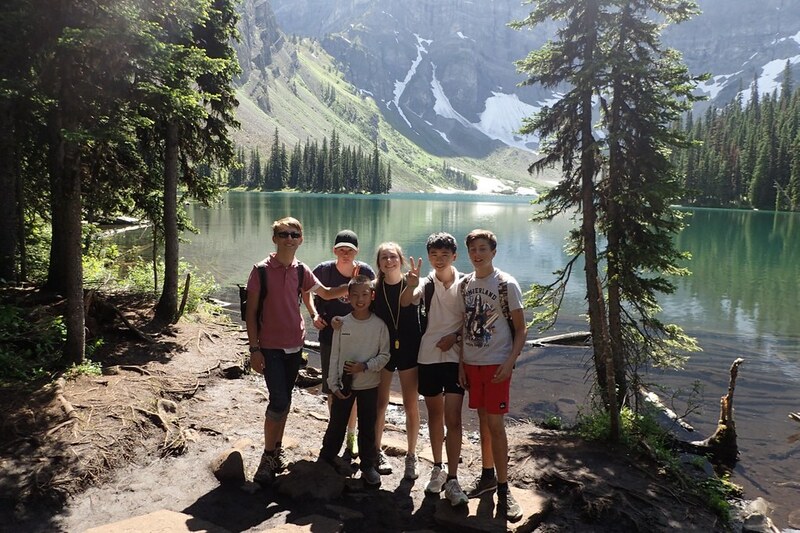 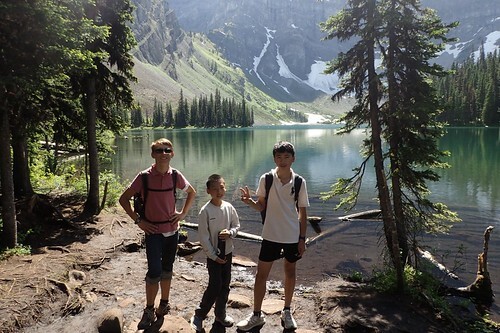 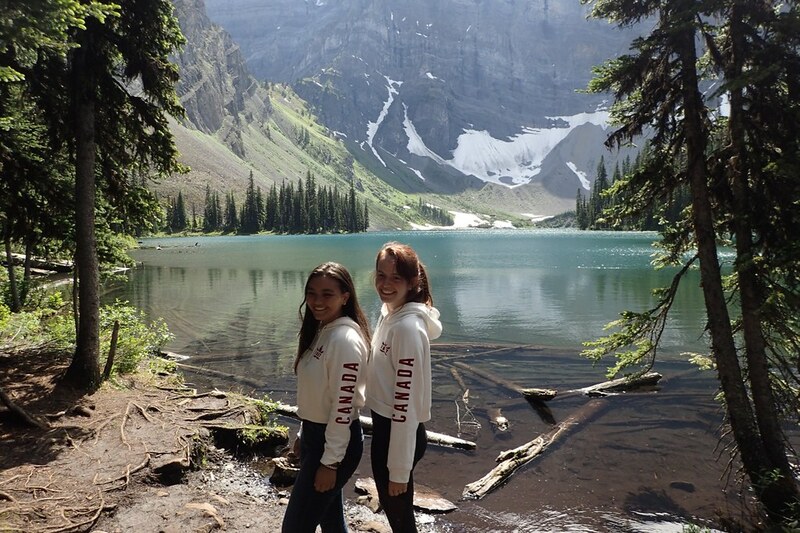 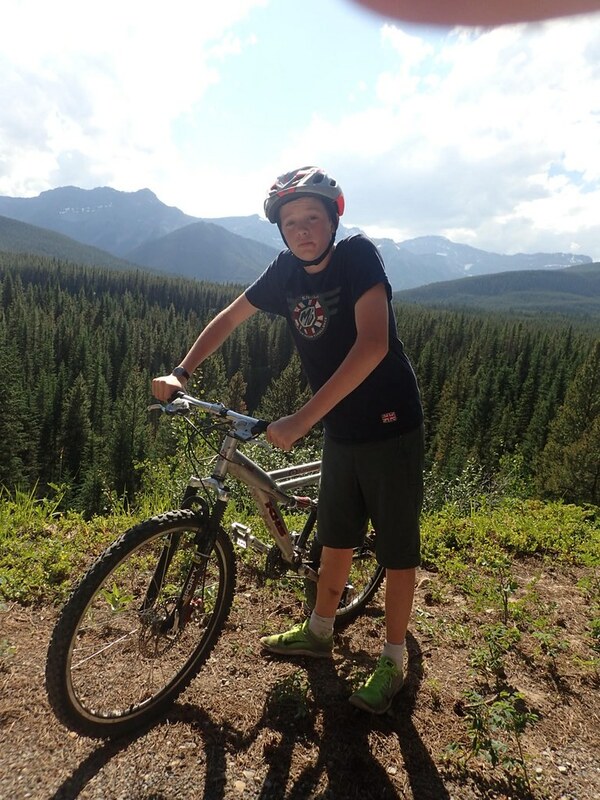 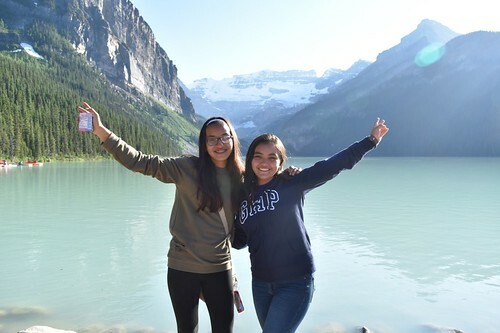 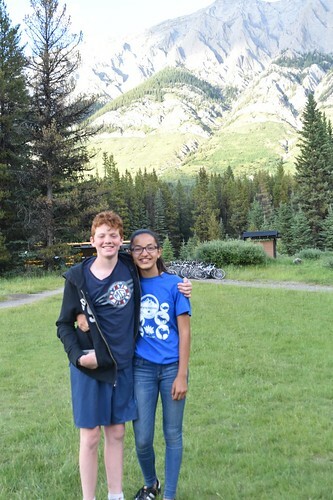 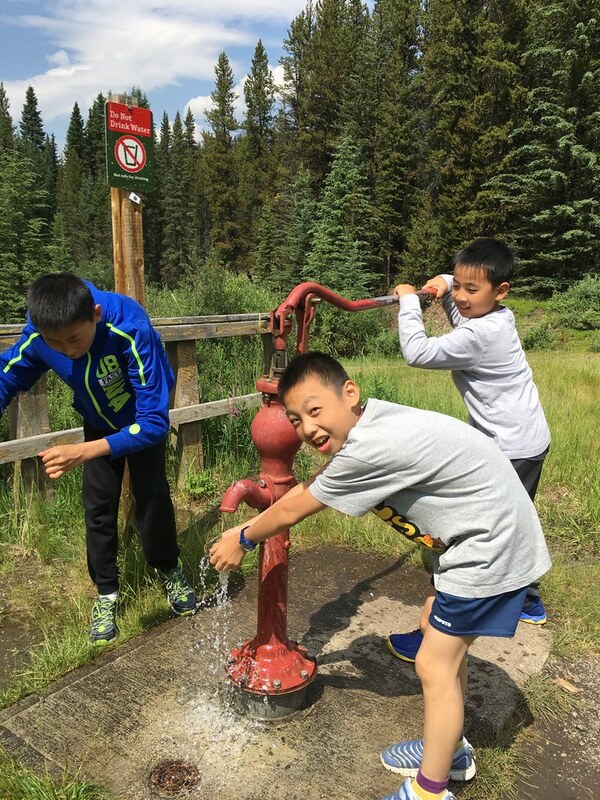 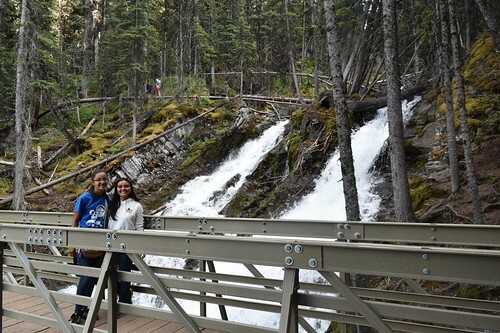 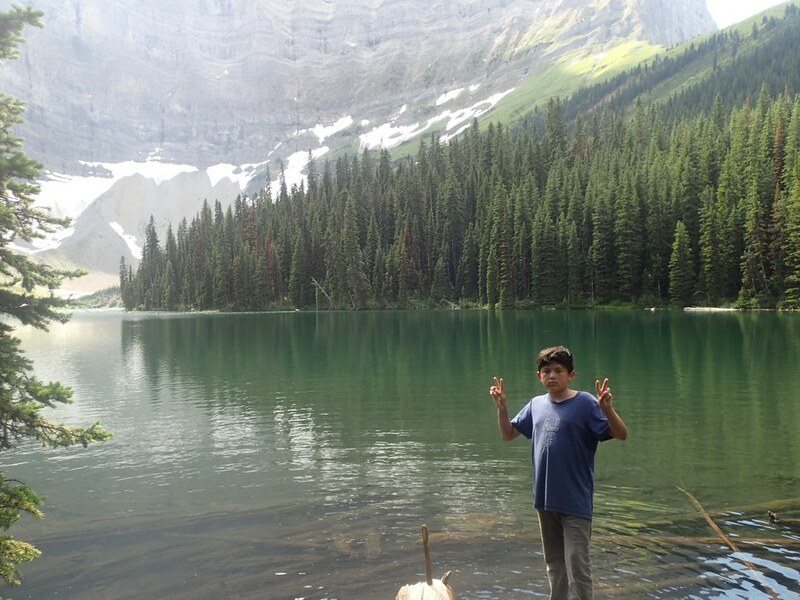 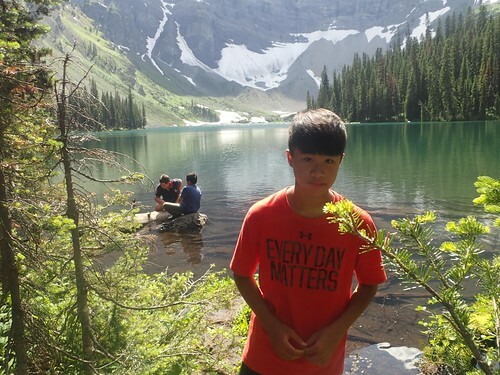 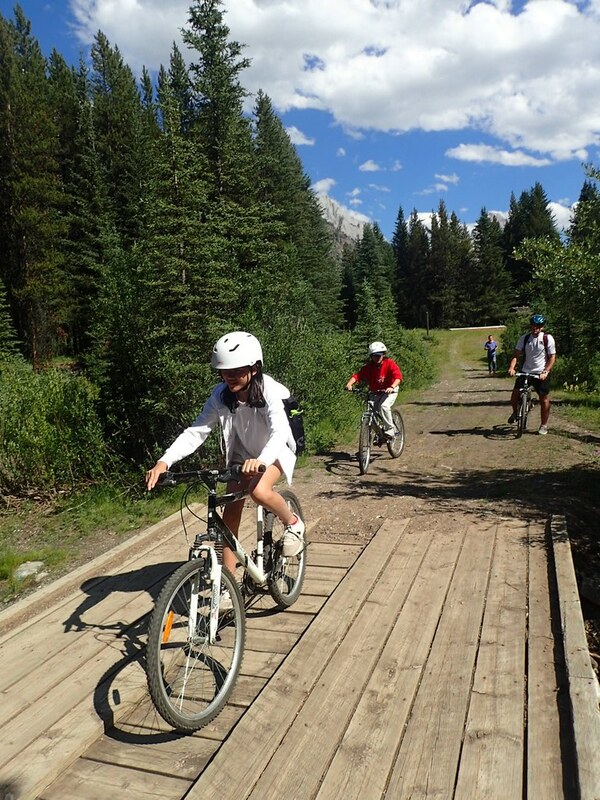 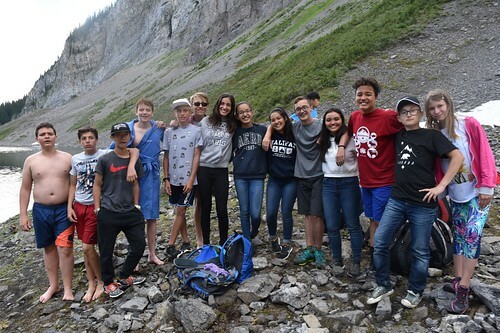 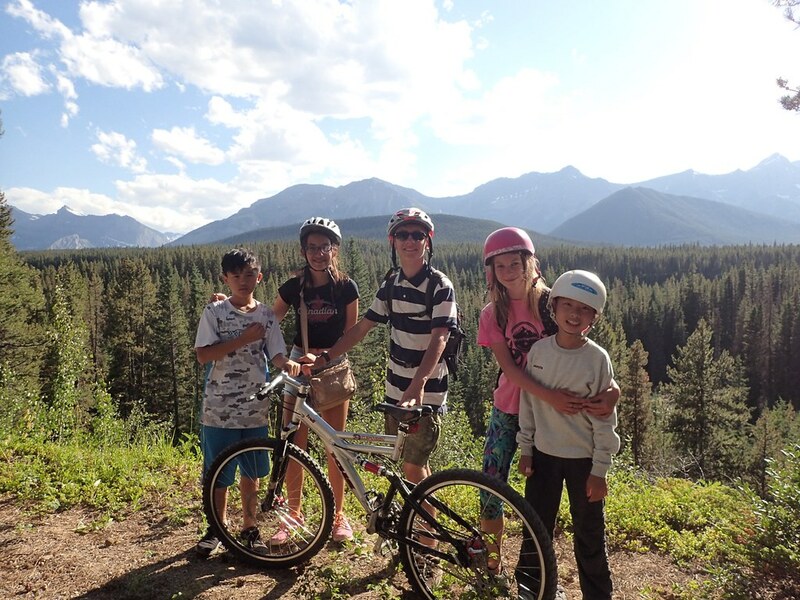 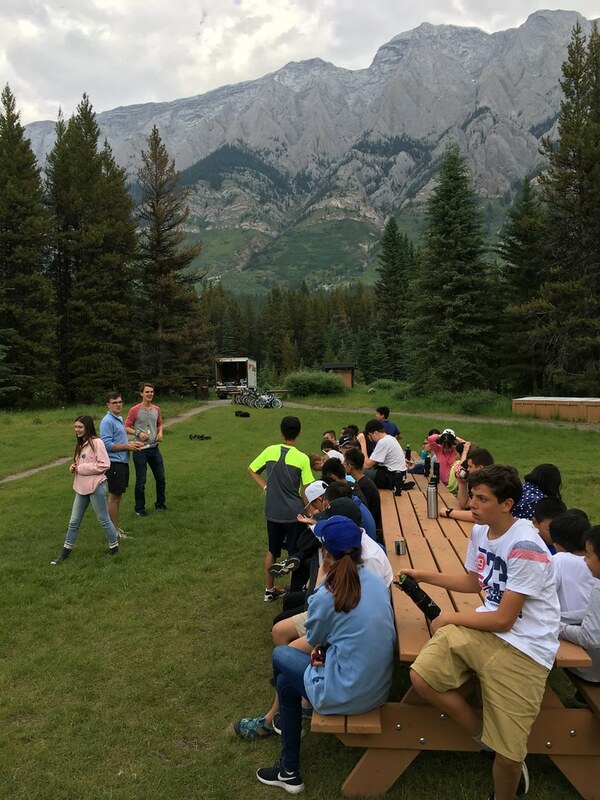 After lots of fun English lessons in Calgary, it was finally time for us to experience the Canadian Rockies! 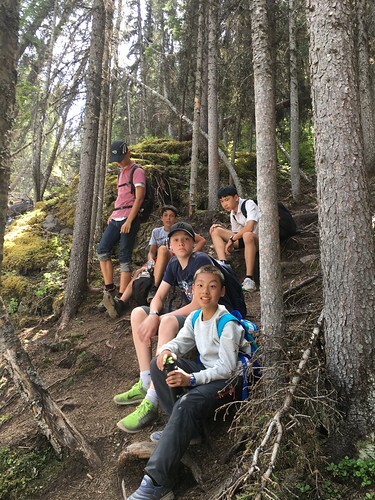 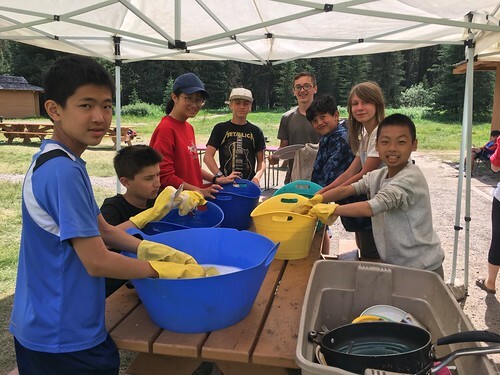 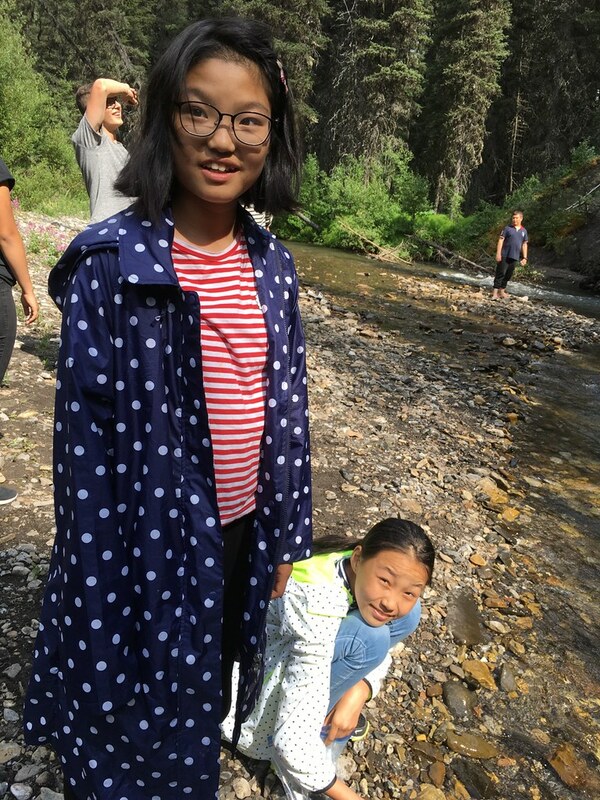 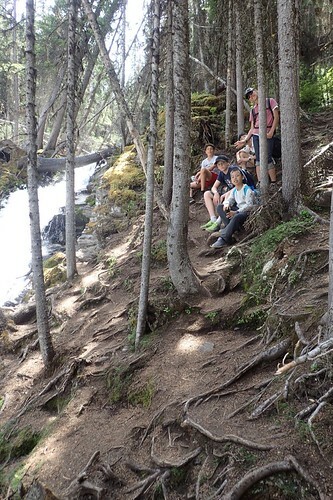 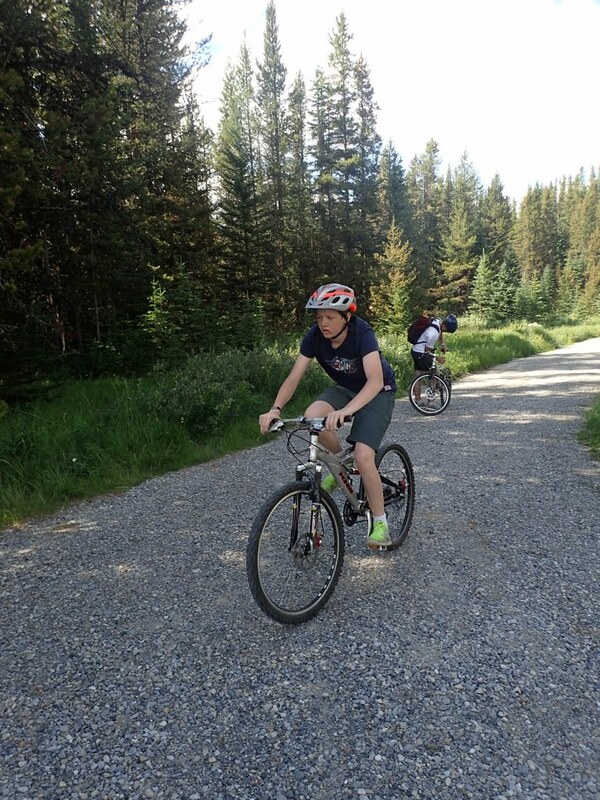 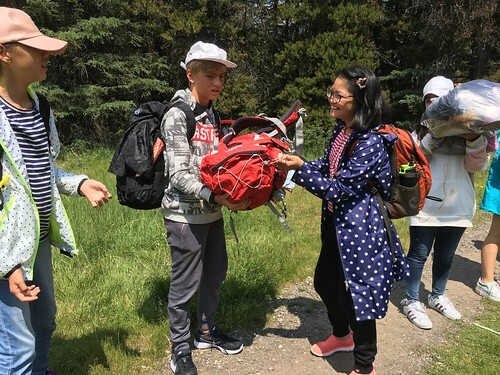 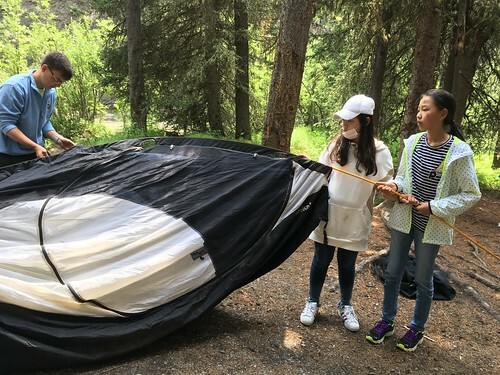 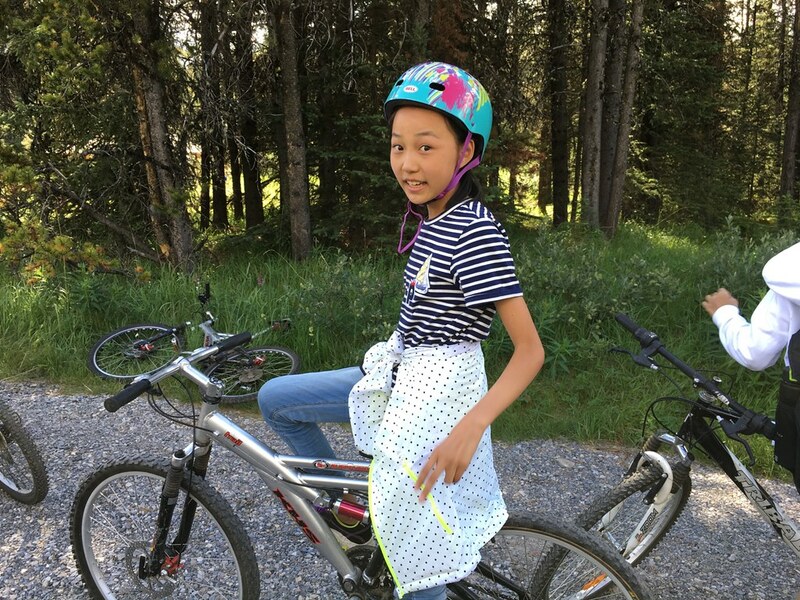 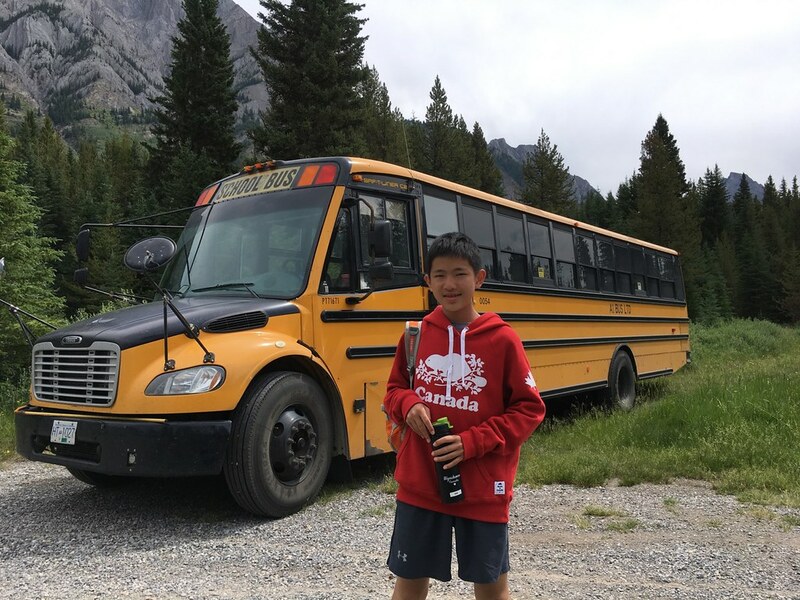 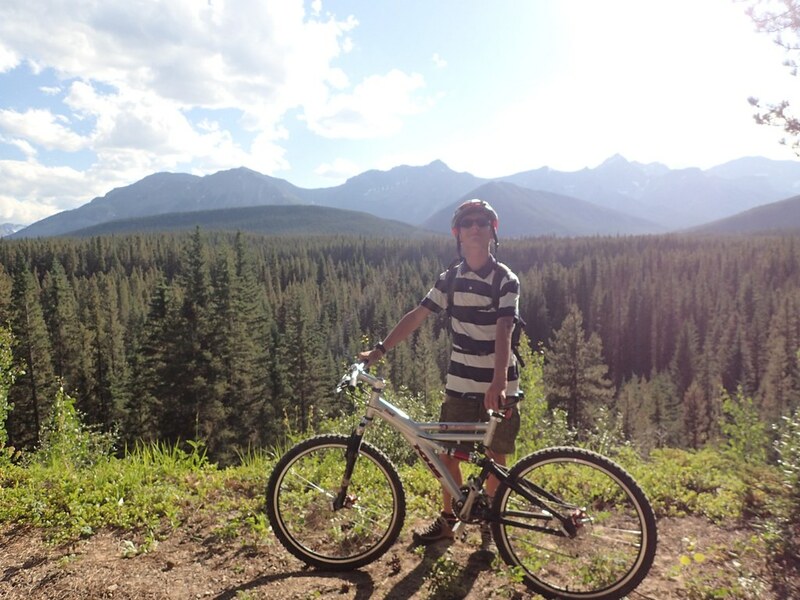 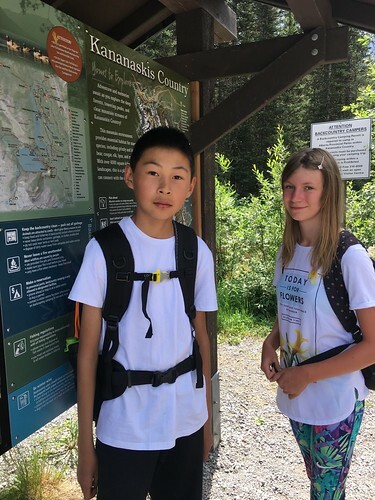 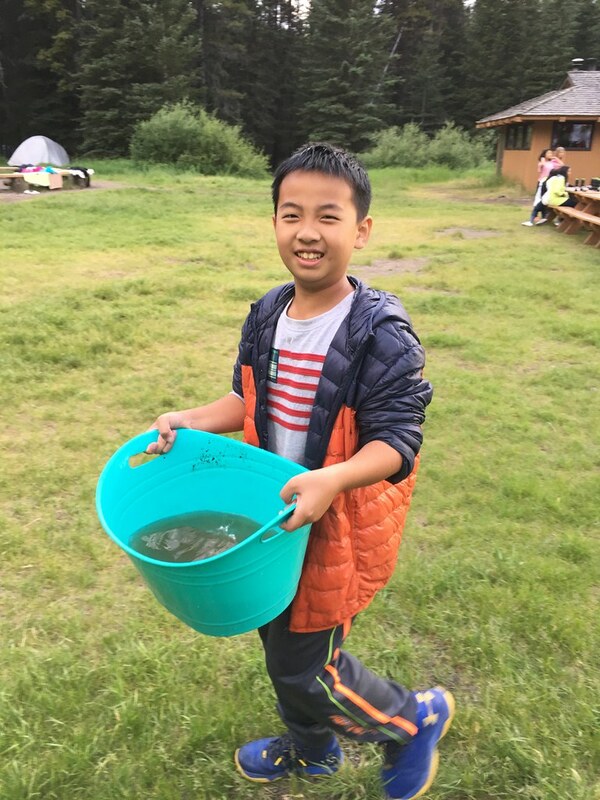 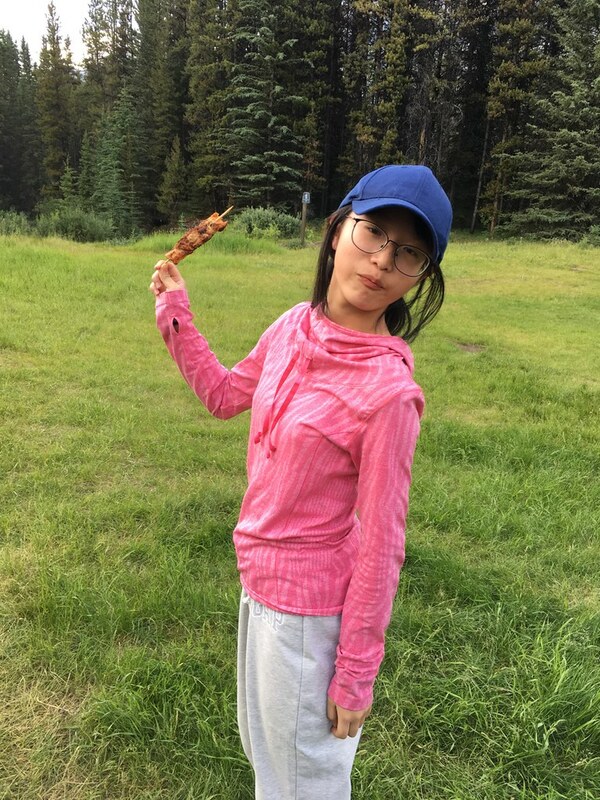 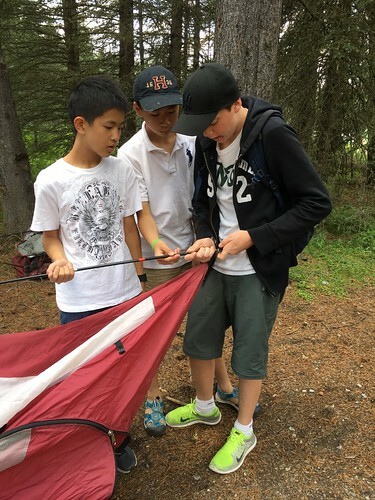 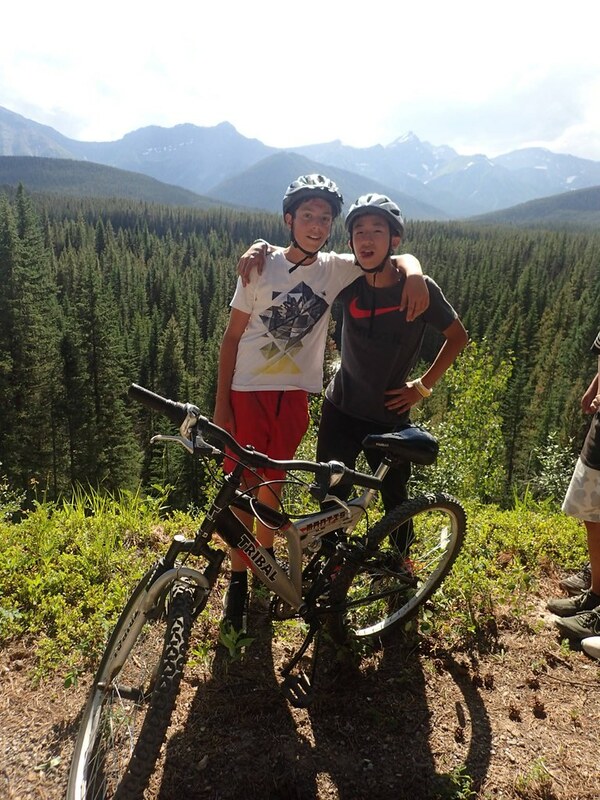 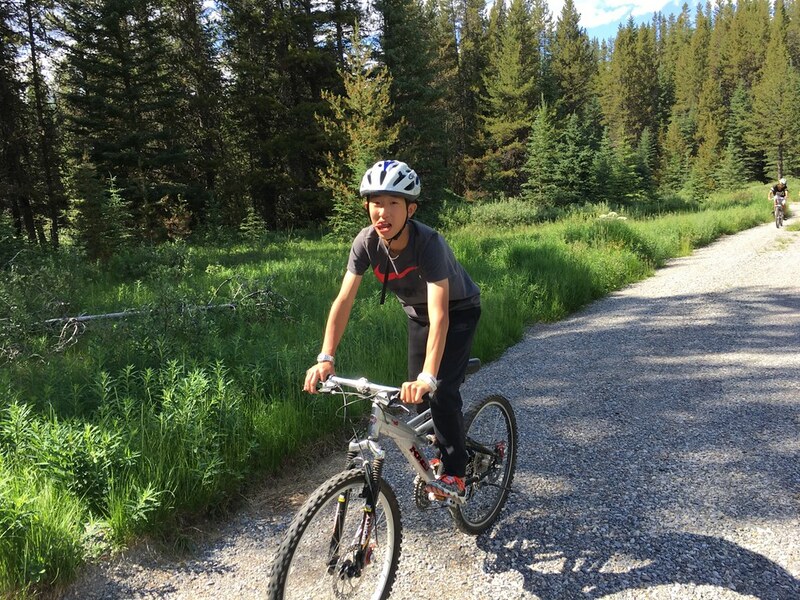 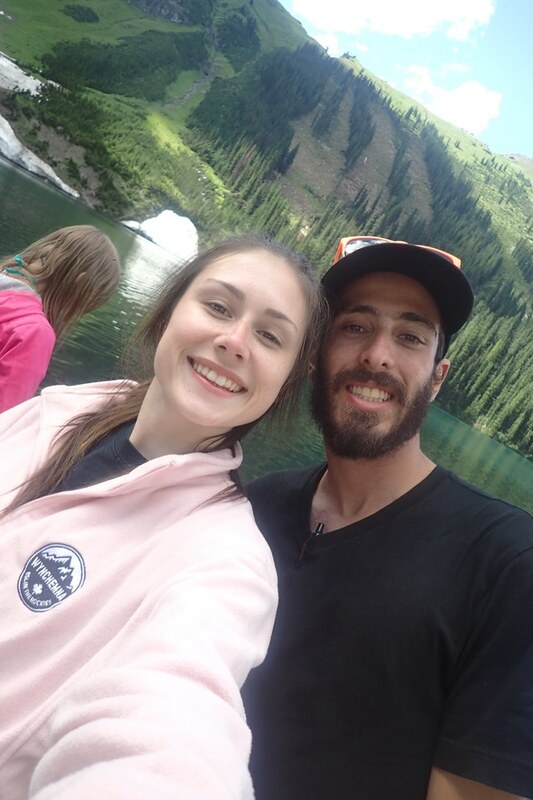 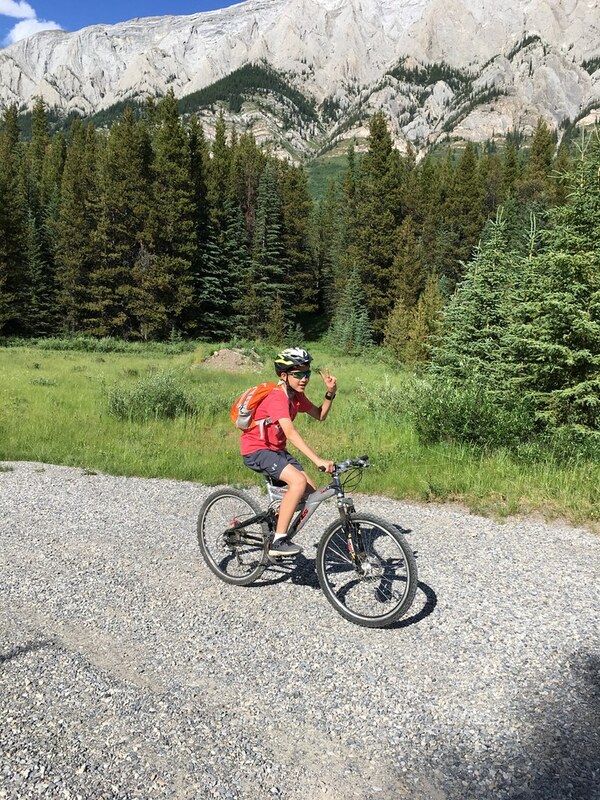 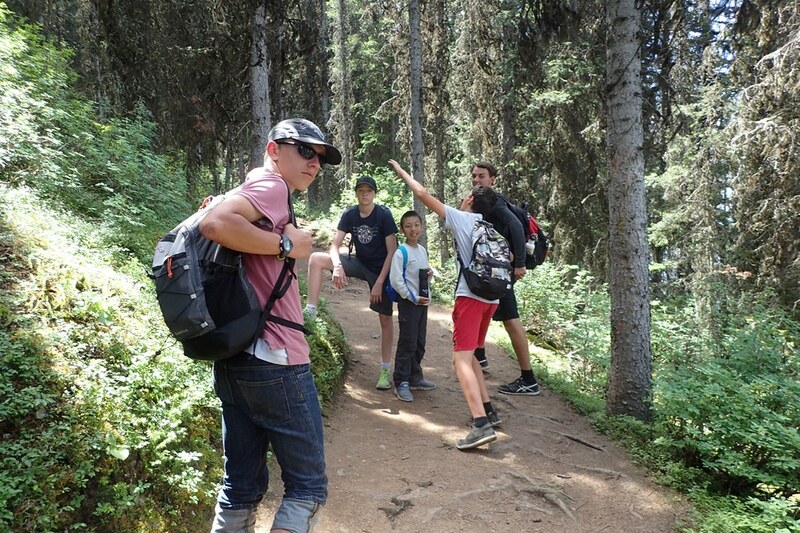 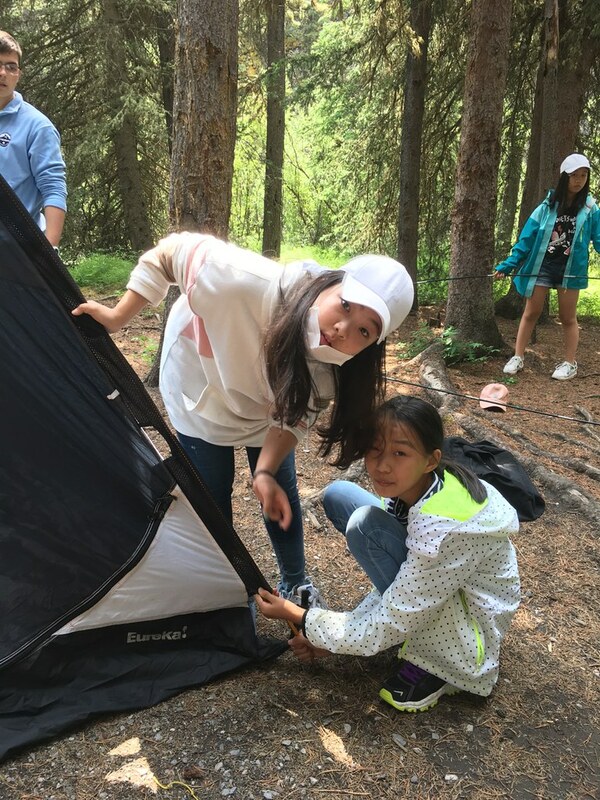 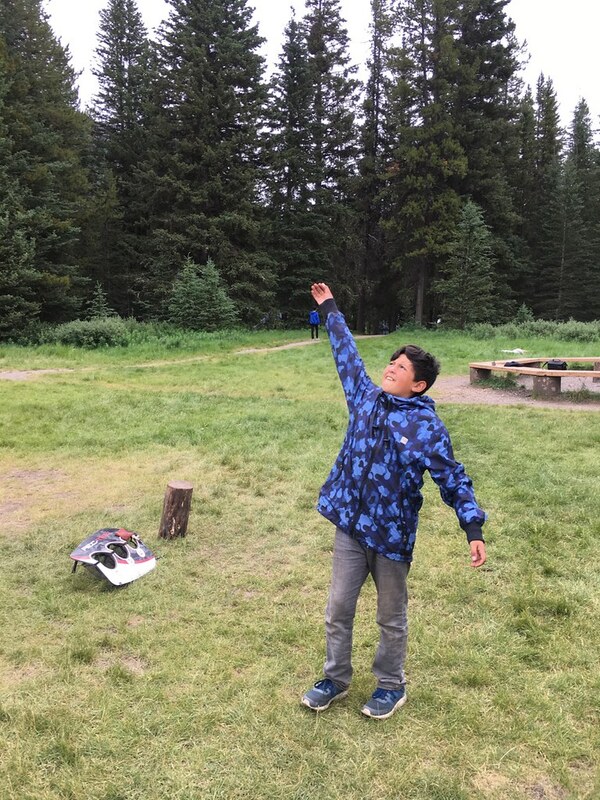 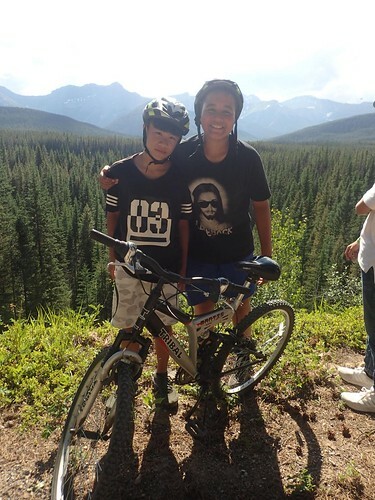 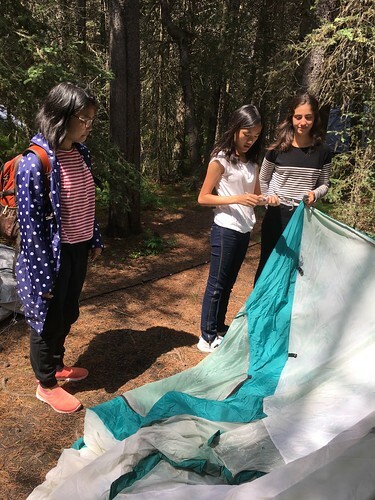 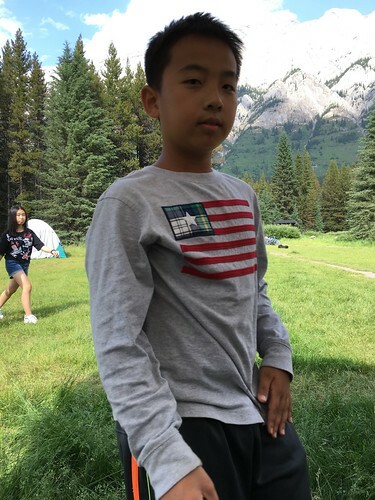 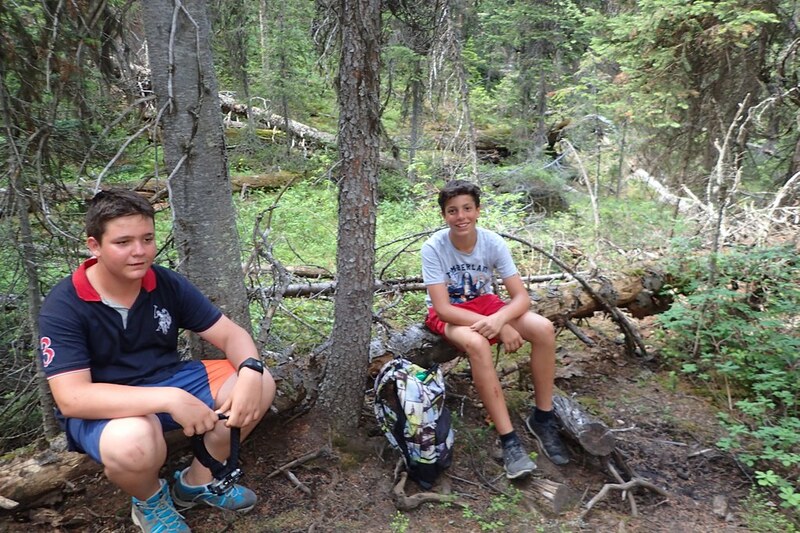 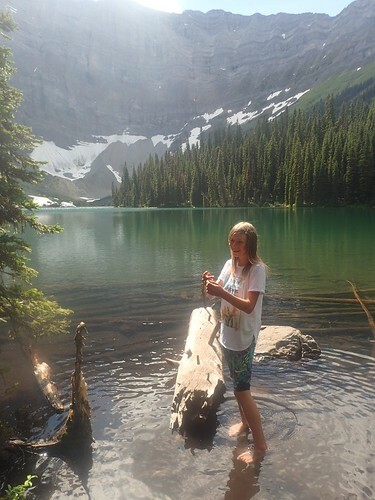 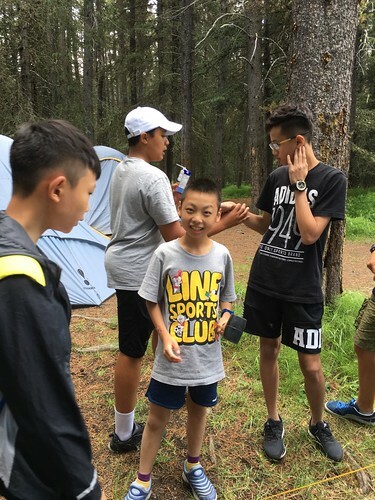 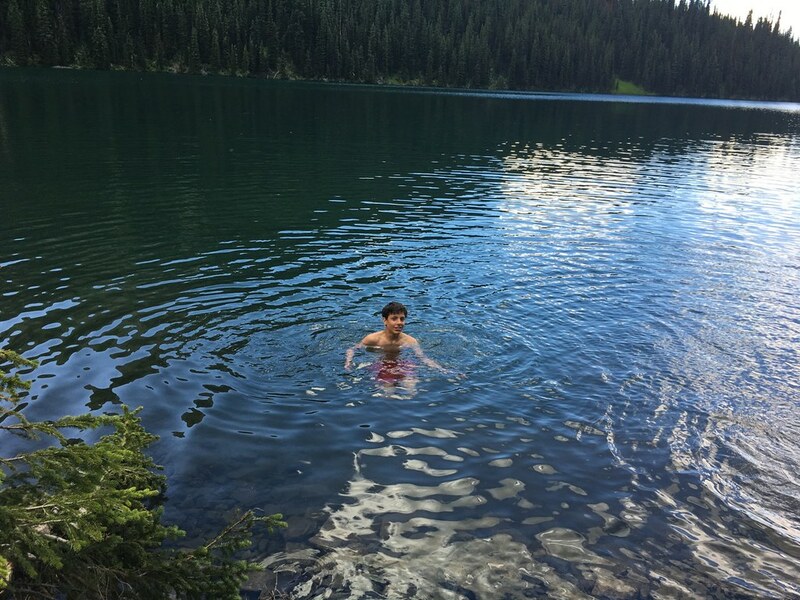 We headed out to Kananaskis where we set up our tents and prepared for 5 nights in the wilderness. 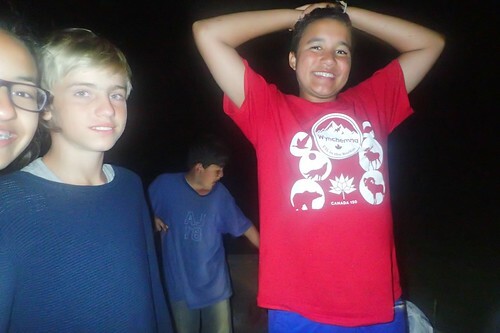 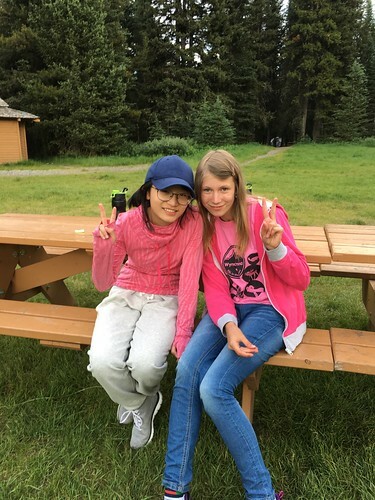 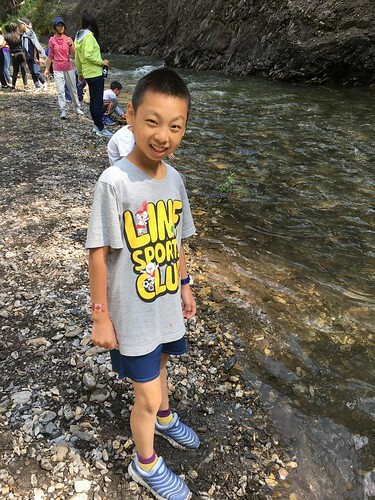 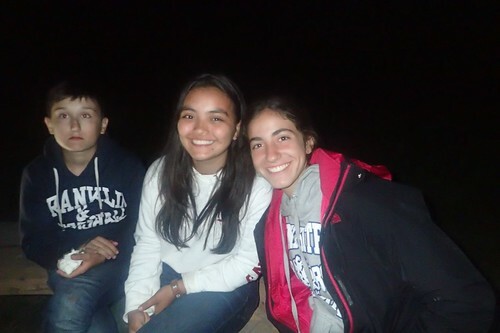 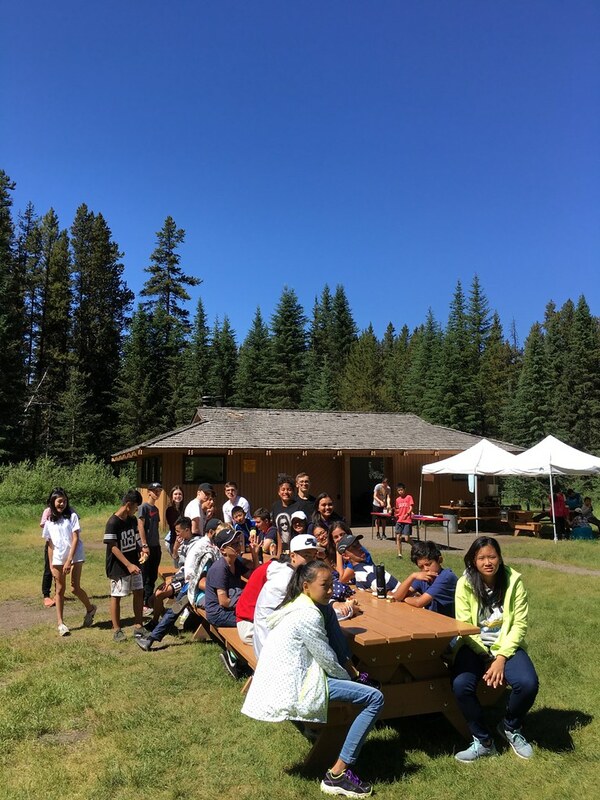 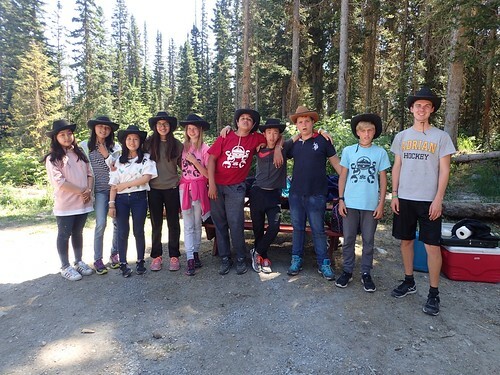 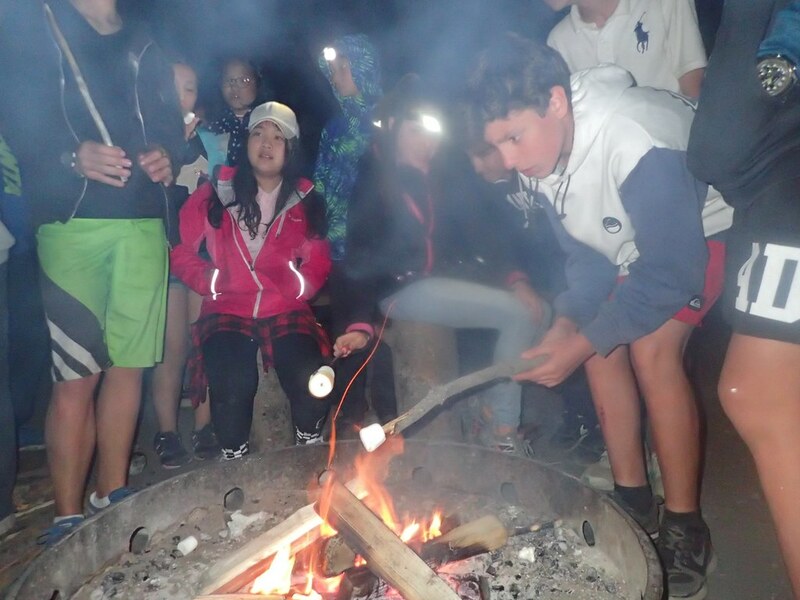 We got amazing, sunny weather for all our activities and spent the cool nights under the twinkling stars! 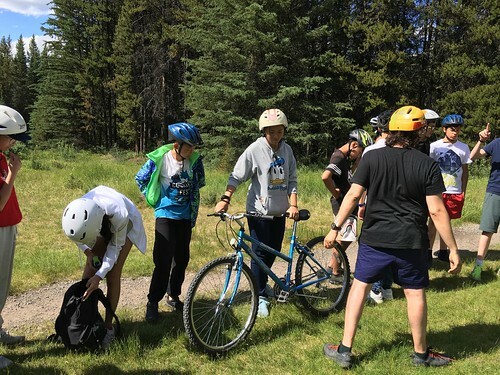 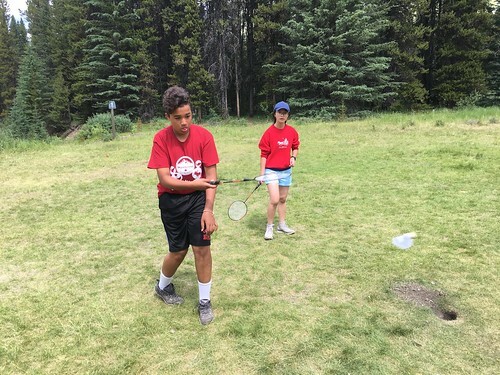 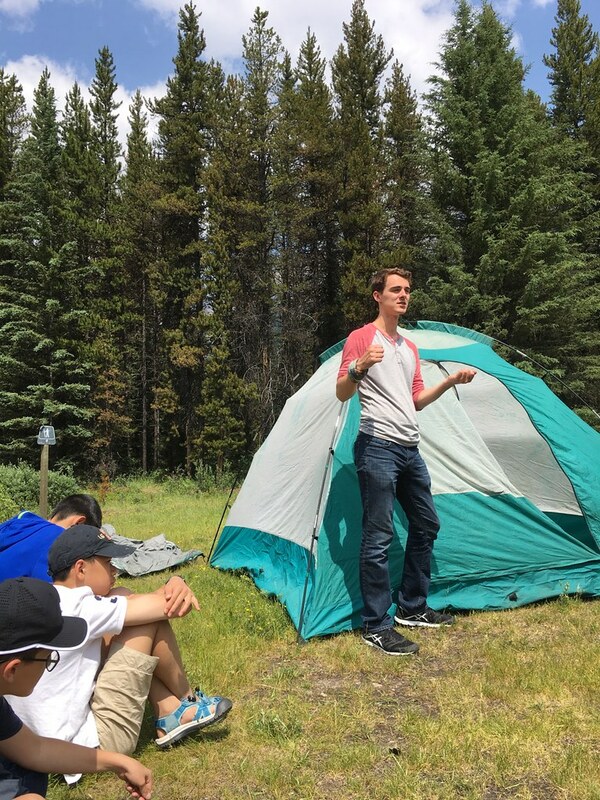 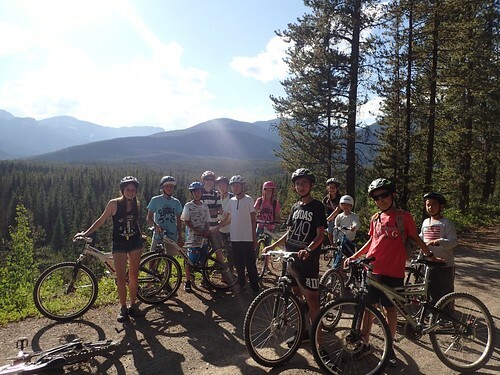 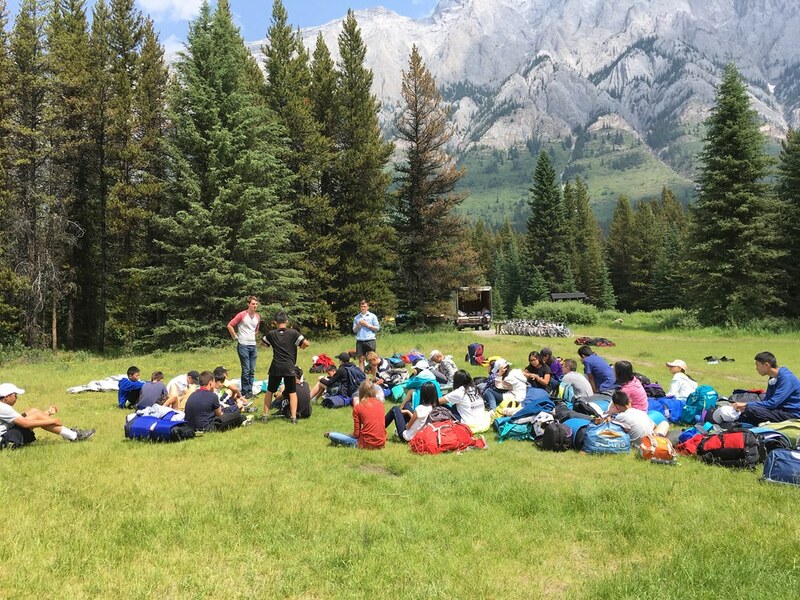 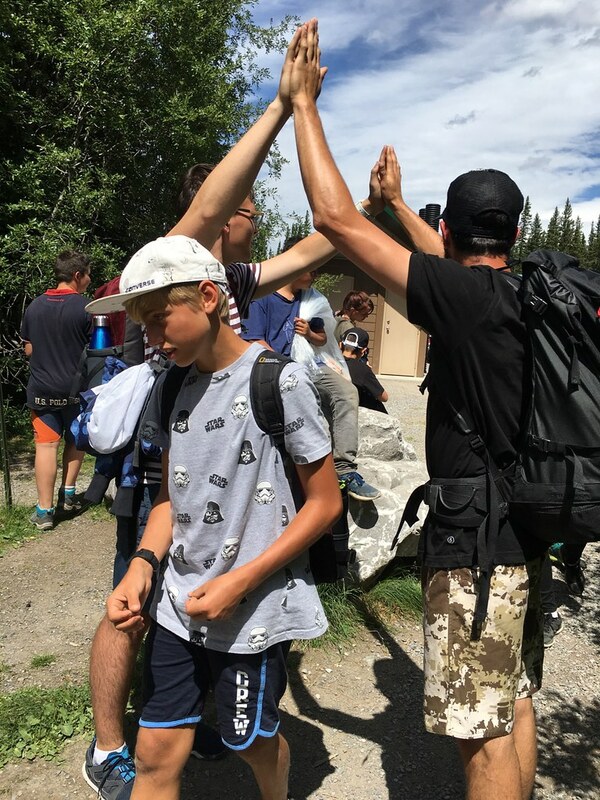 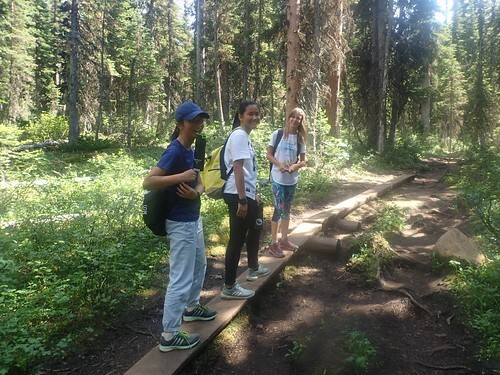 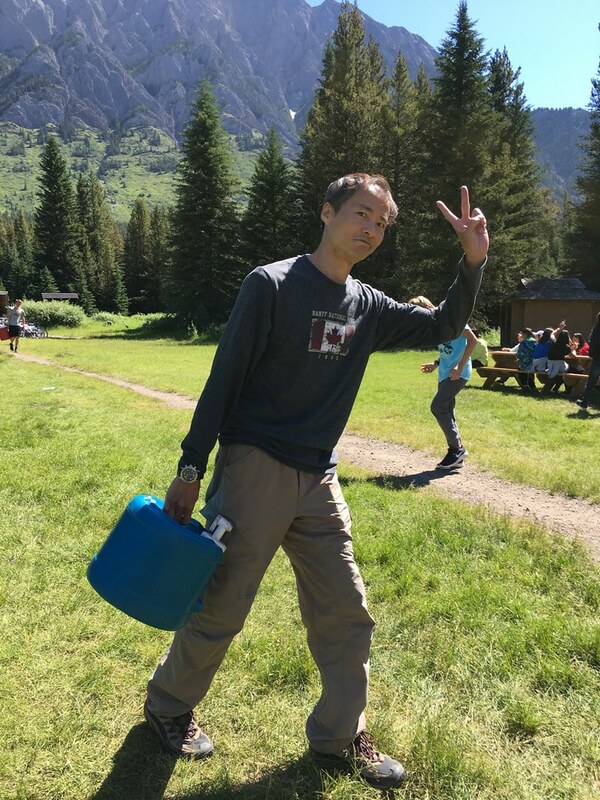 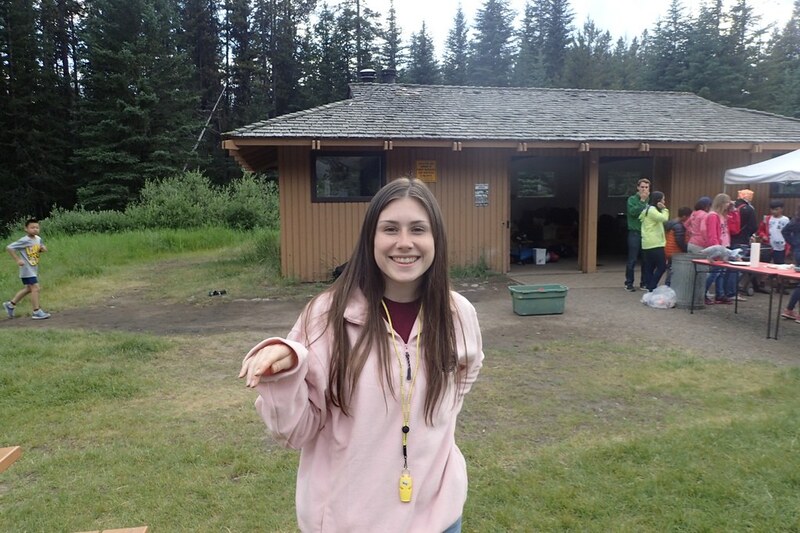 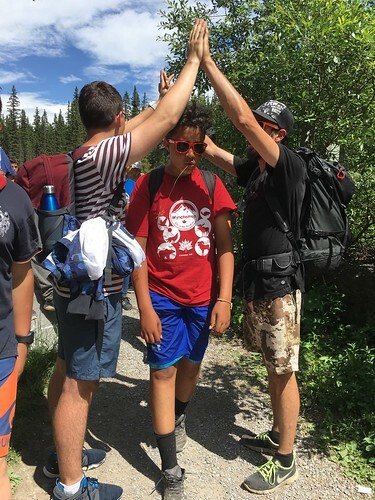 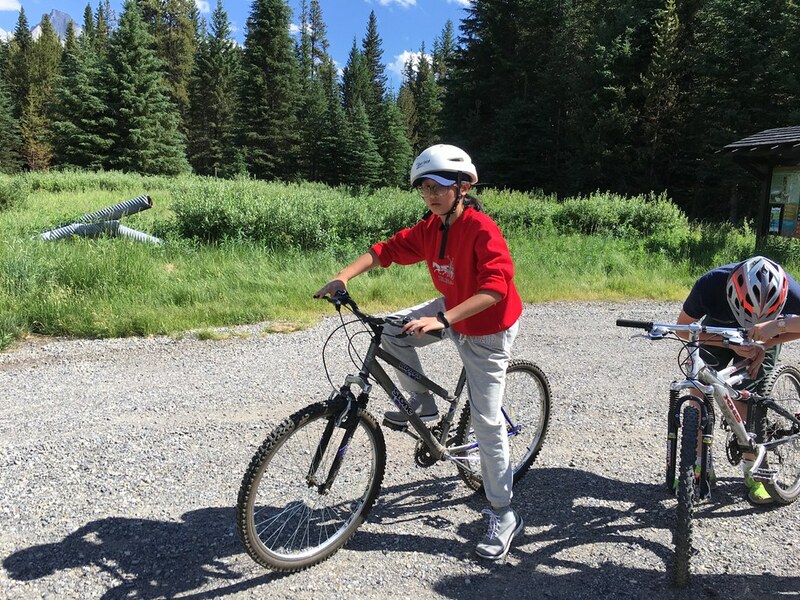 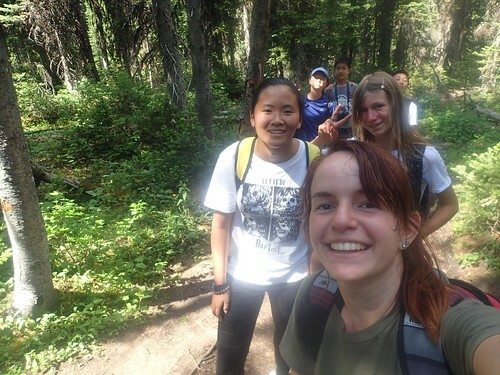 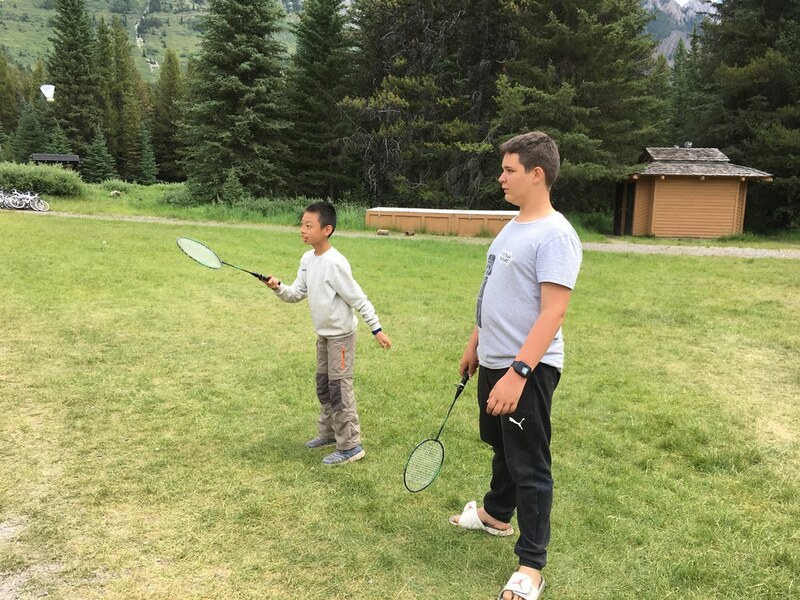 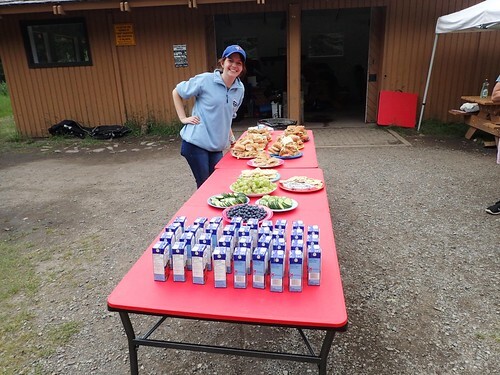 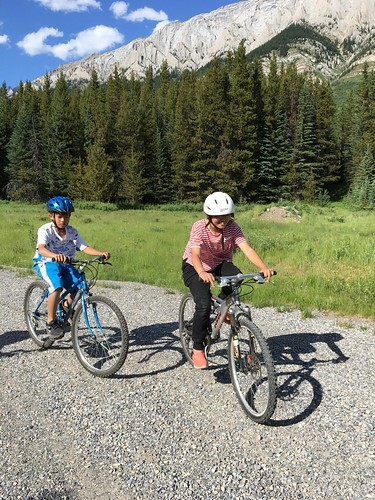 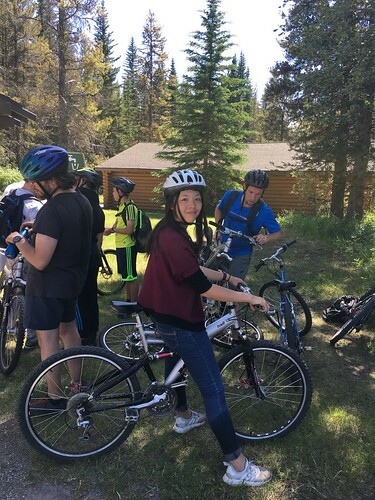 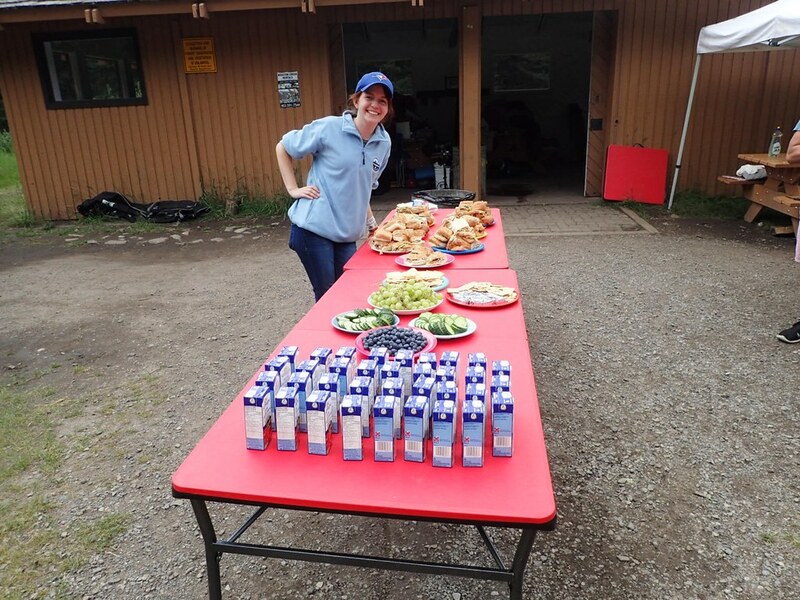 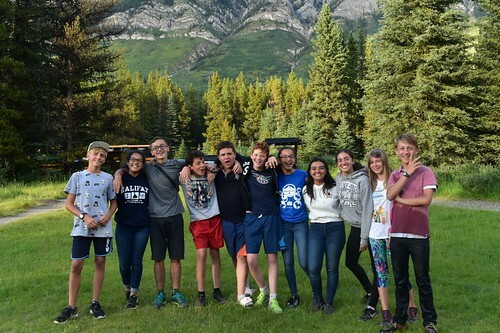 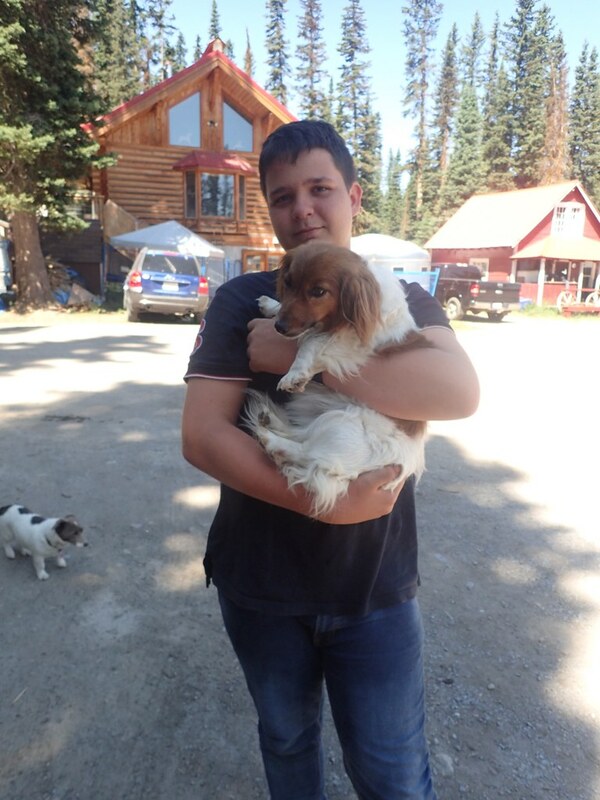 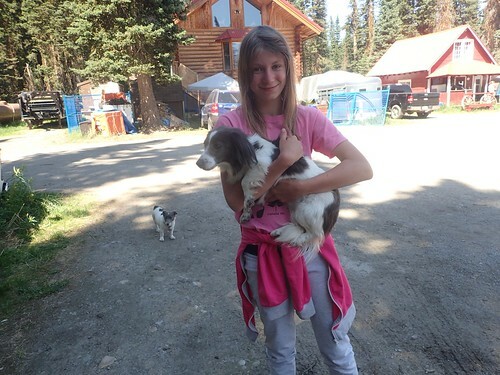 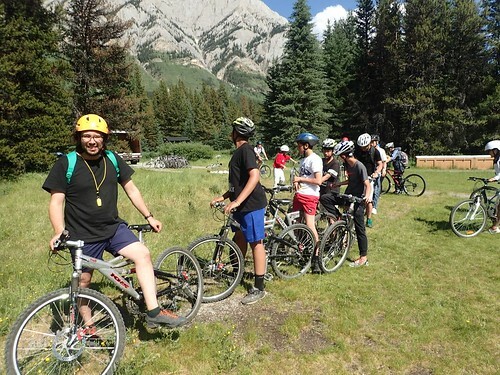 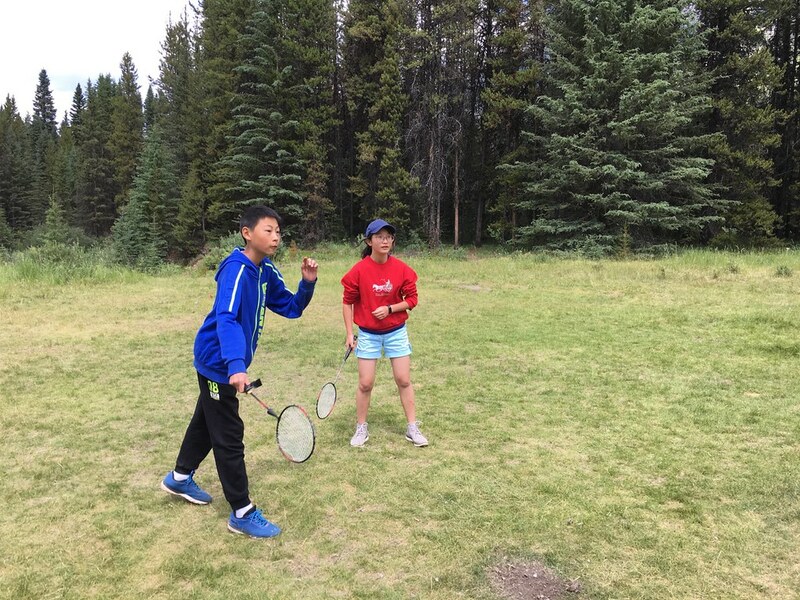 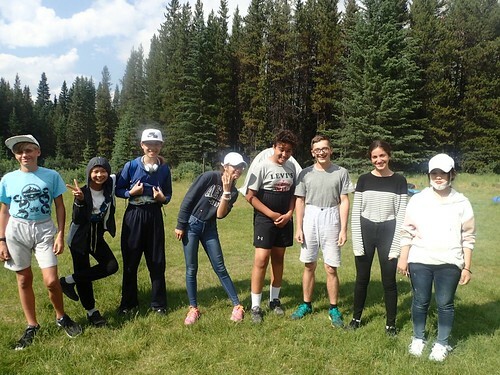 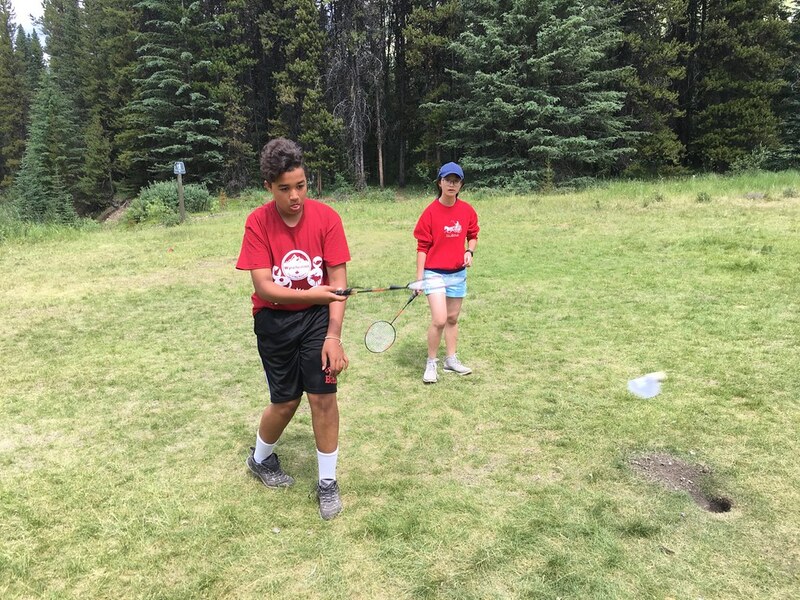 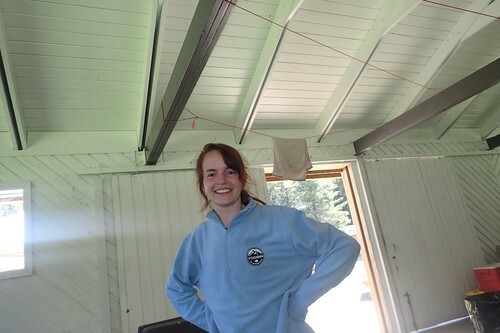 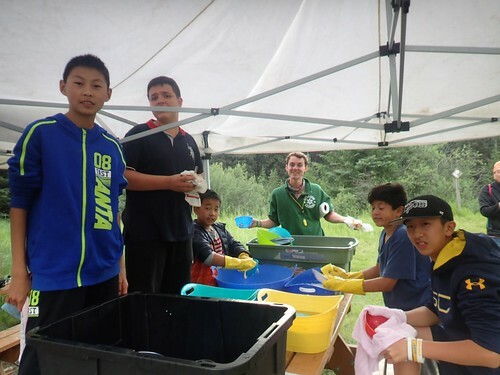 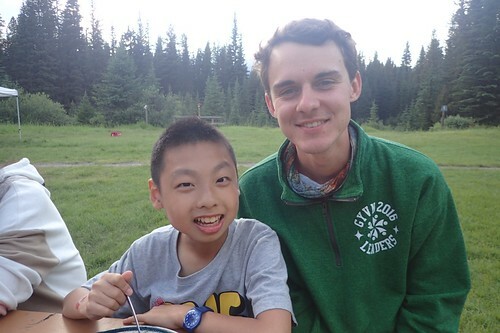 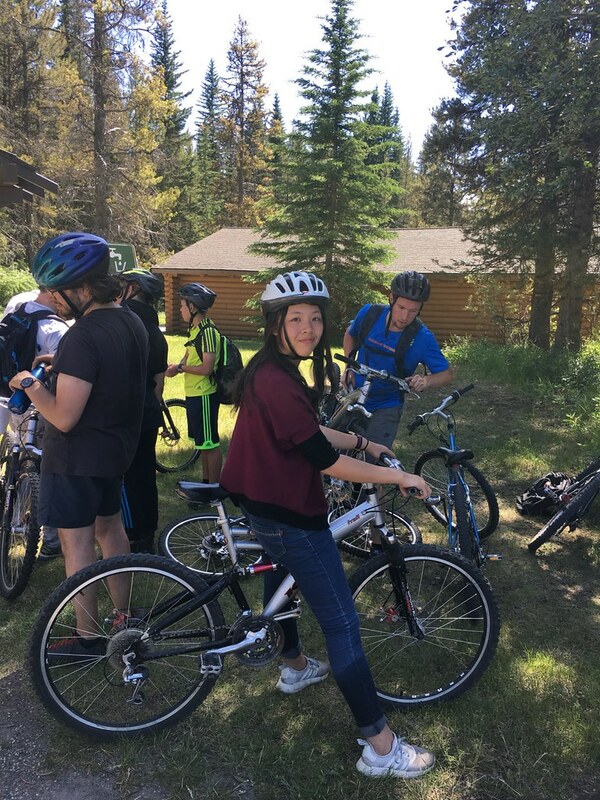 It was an amazing time for everybody- experienced and non-experienced campers alike! 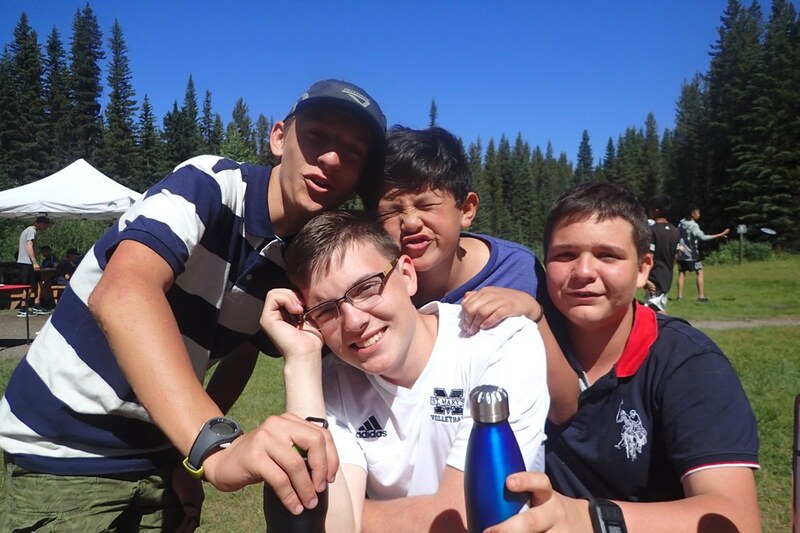 We spent our days playing lots of sports, swimming and mingling together. 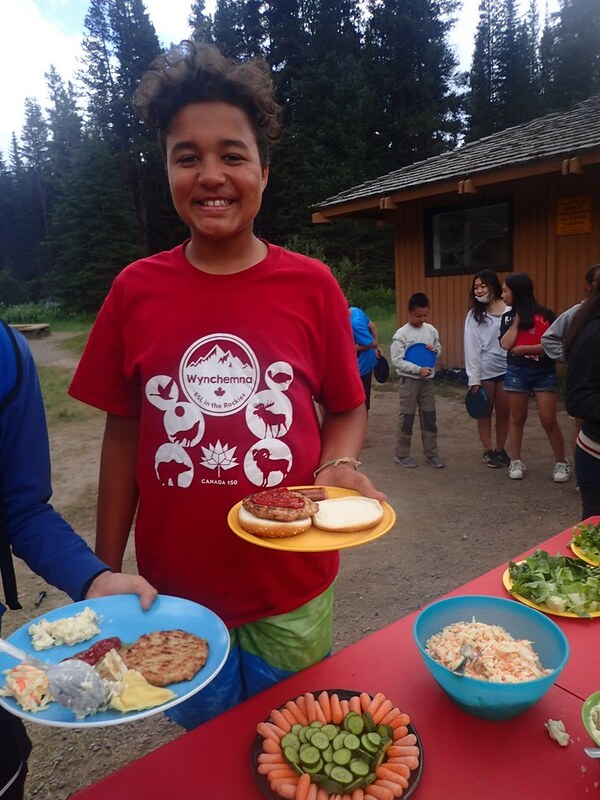 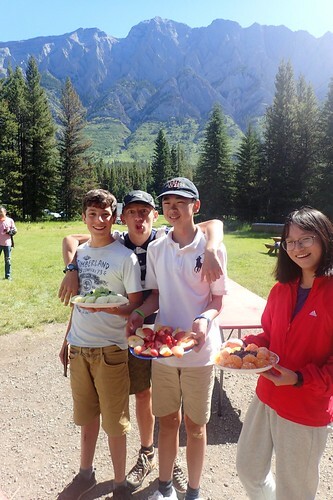 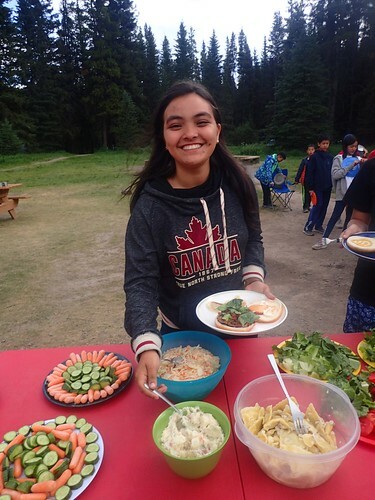 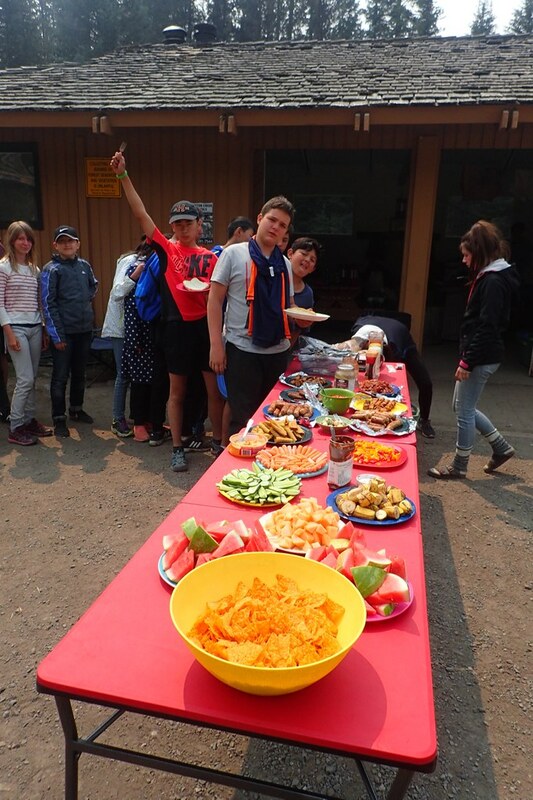 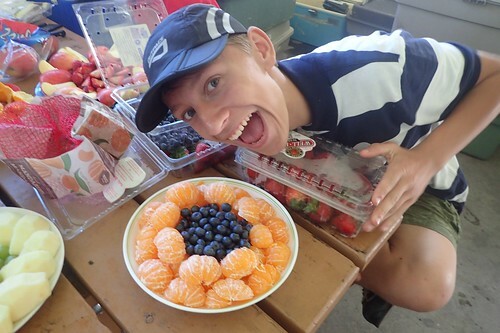 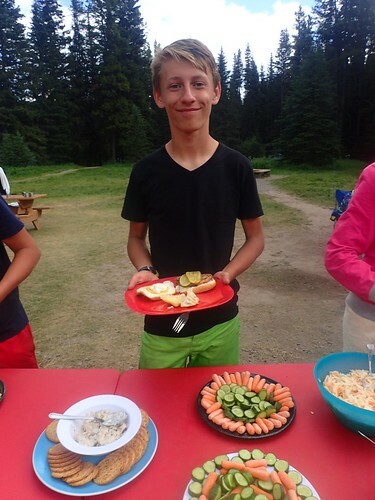 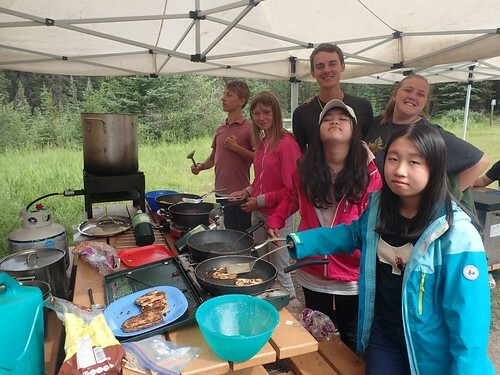 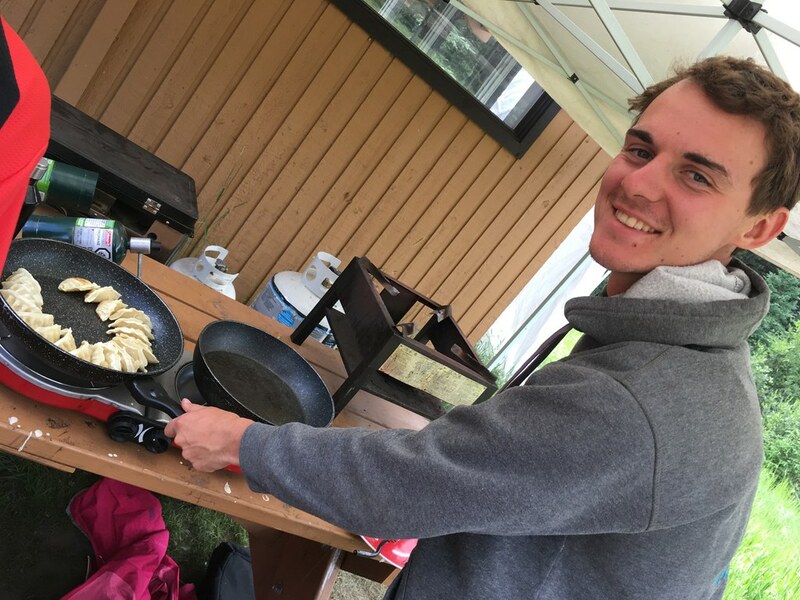 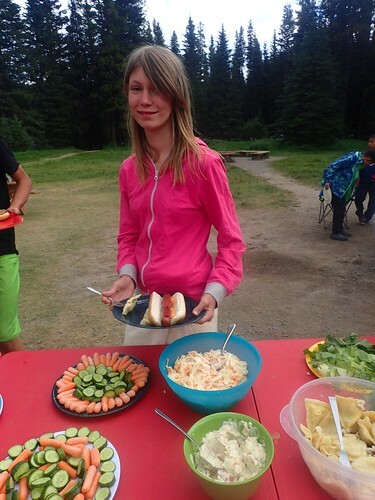 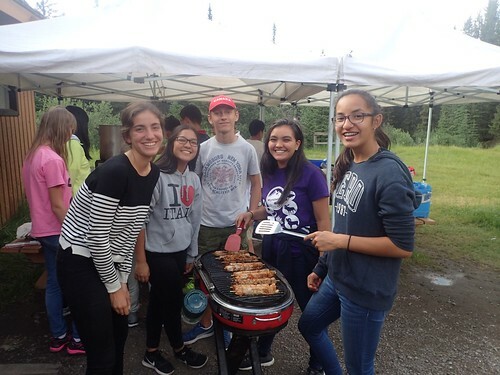 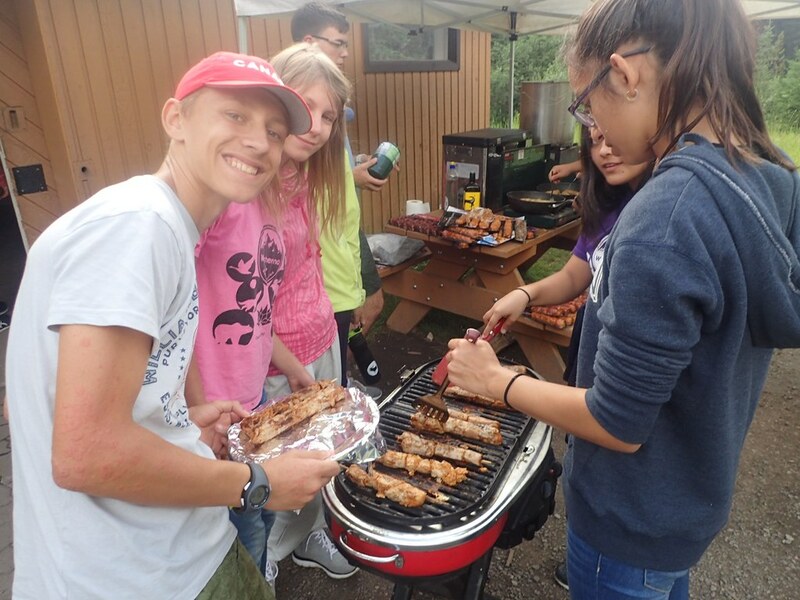 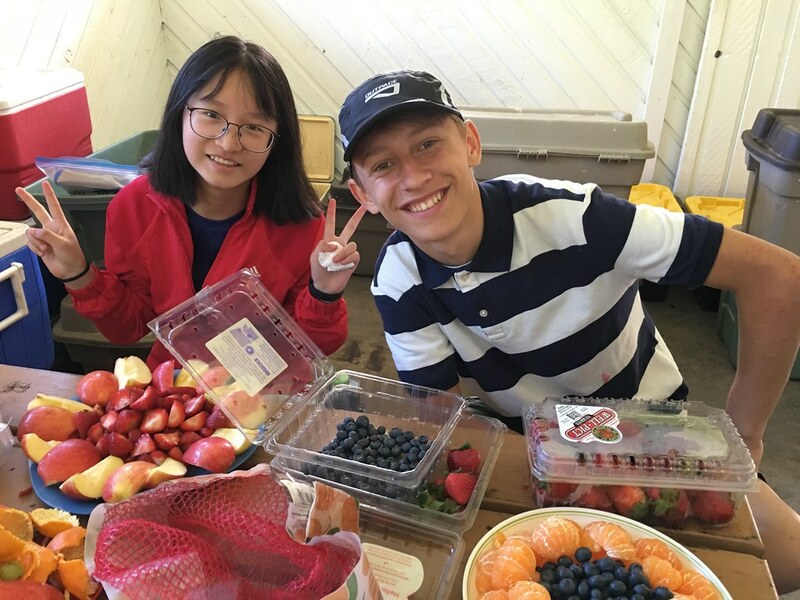 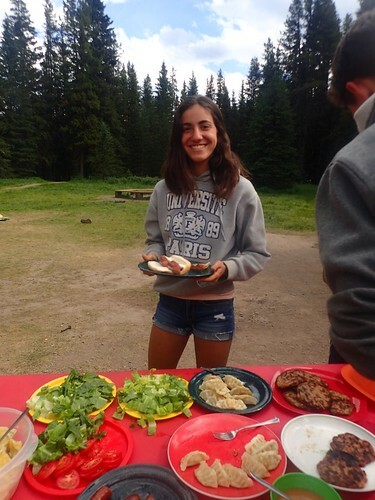 Everybody pitched in to cook our delicious meals which consisted of fruits, vegetables and meat dishes! 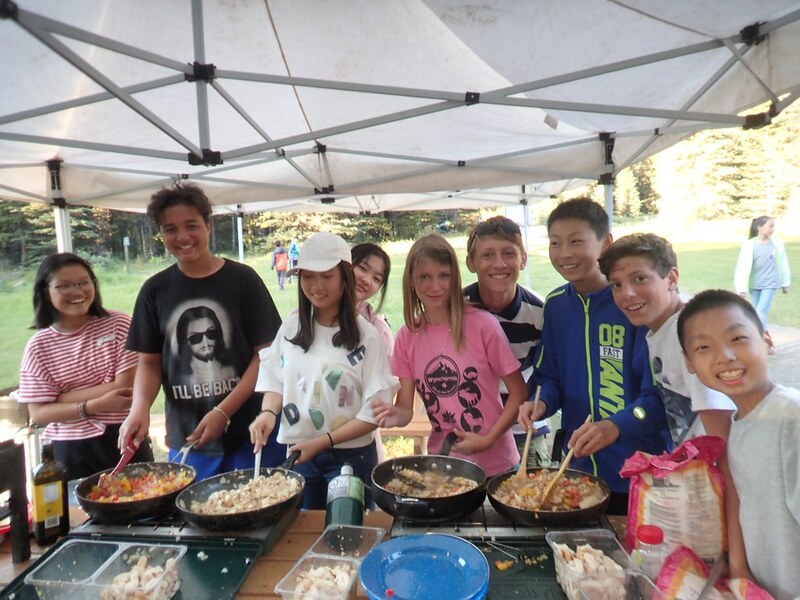 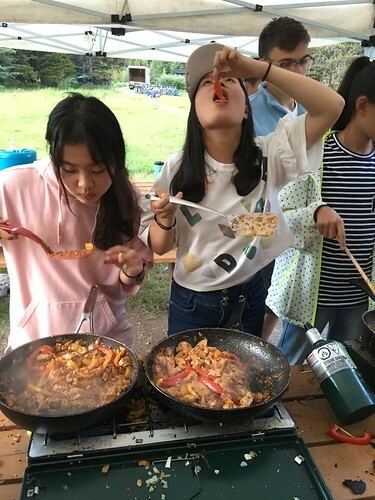 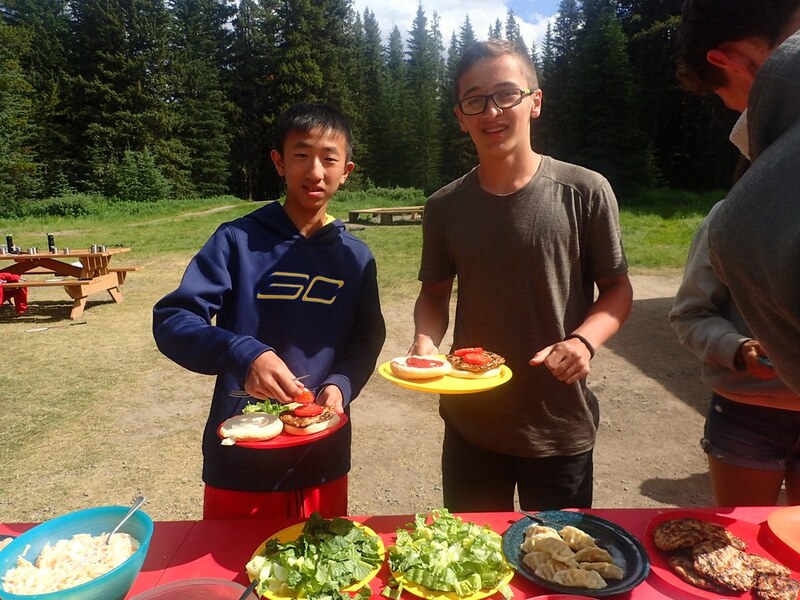 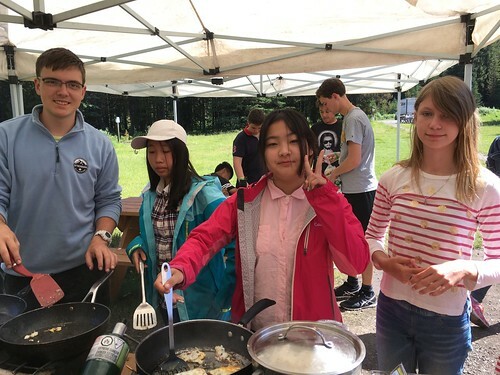 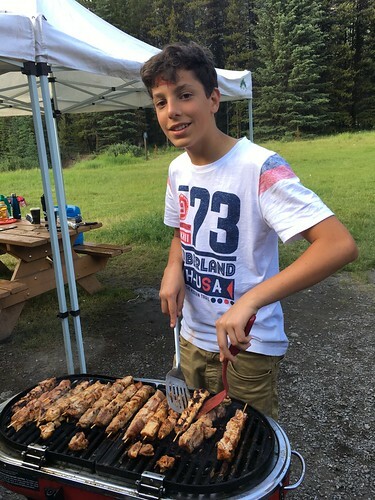 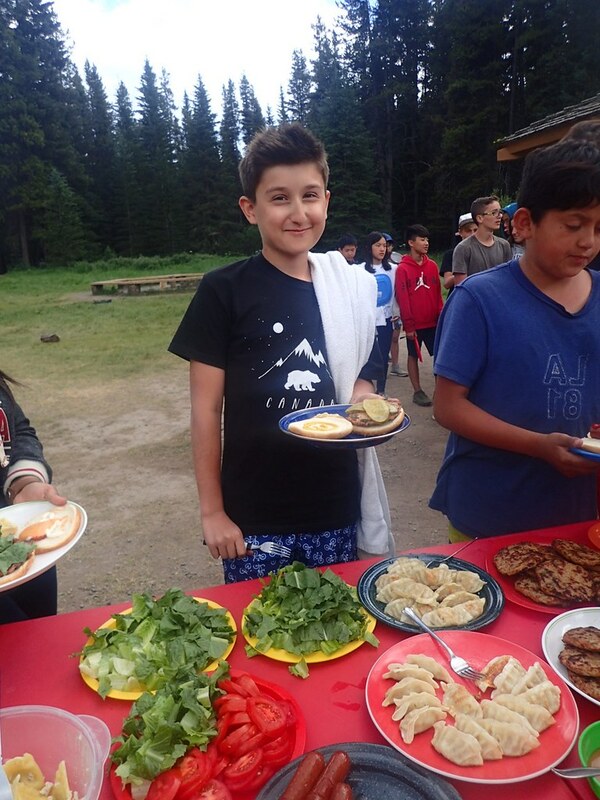 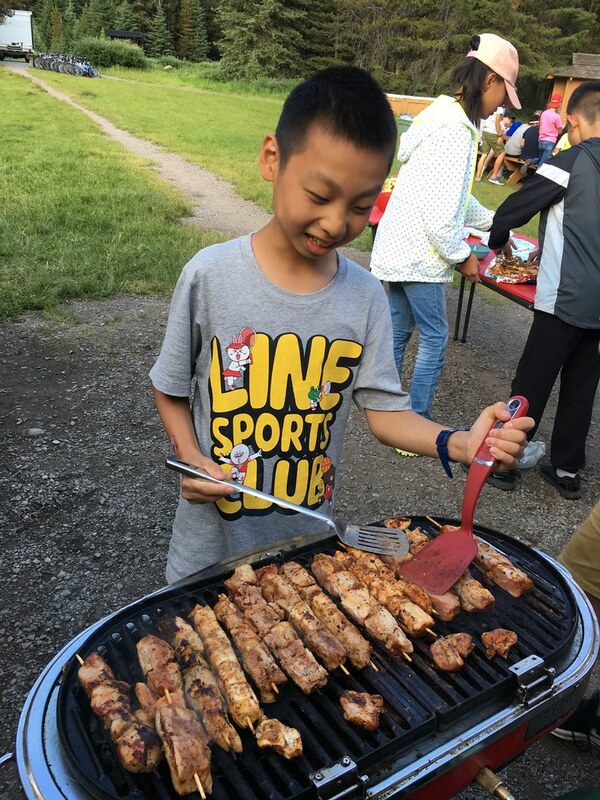 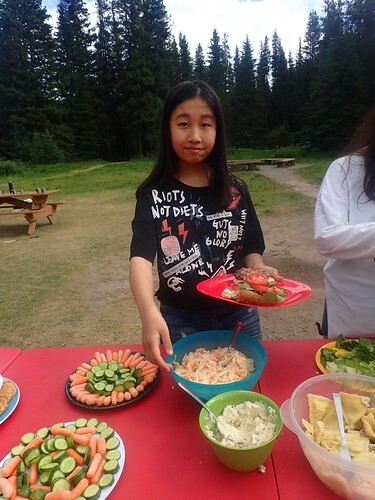 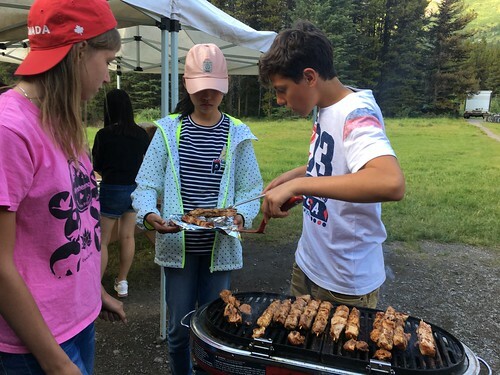 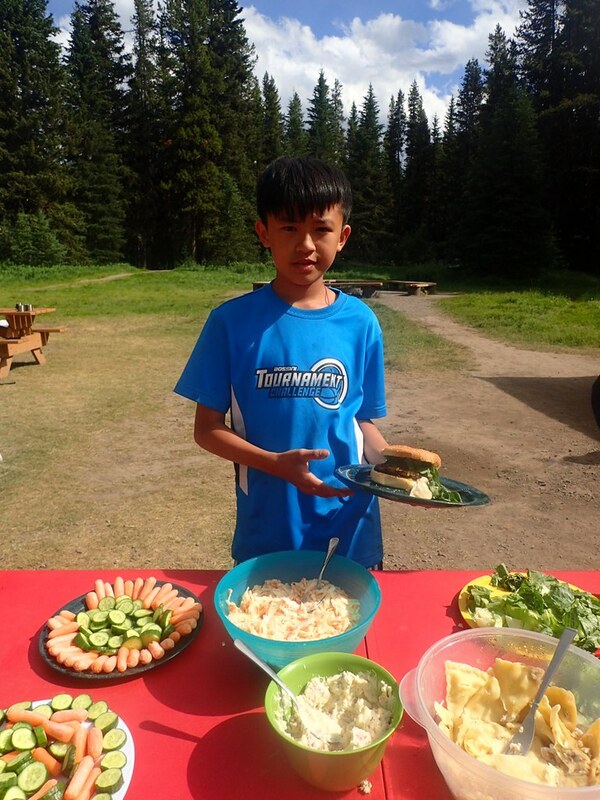 We made scrumptious dishes like souvlaki, pasta and stir-fry. 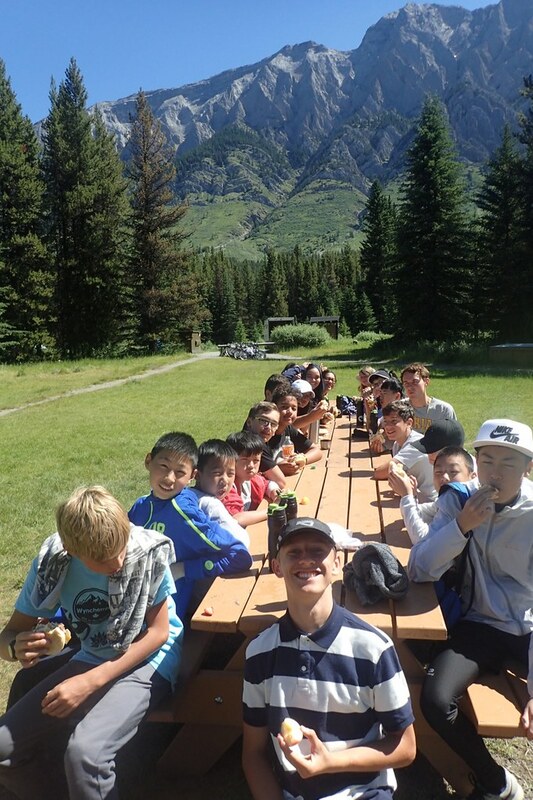 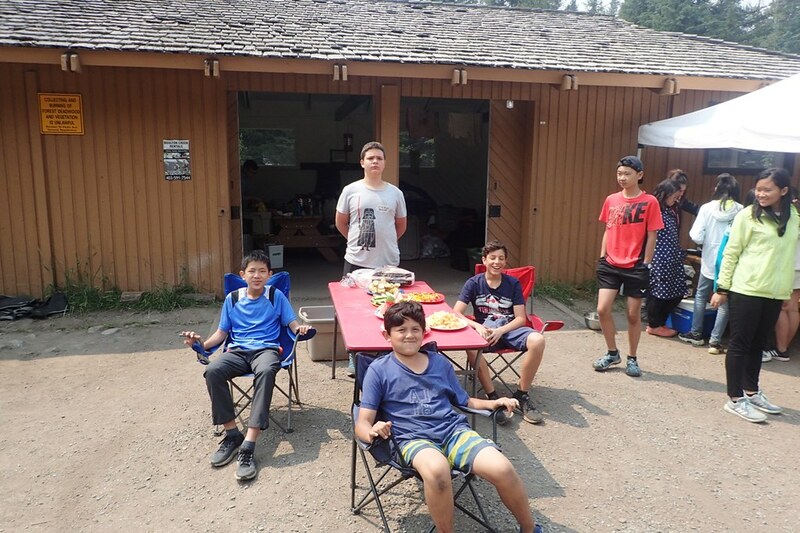 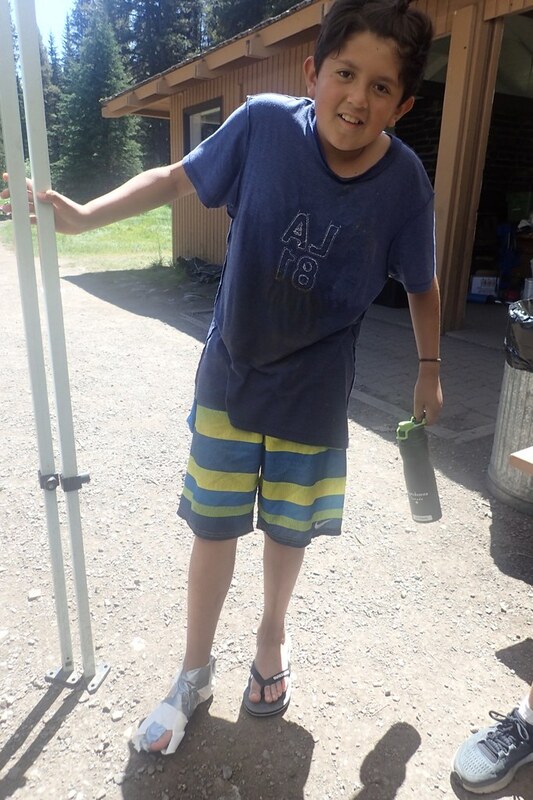 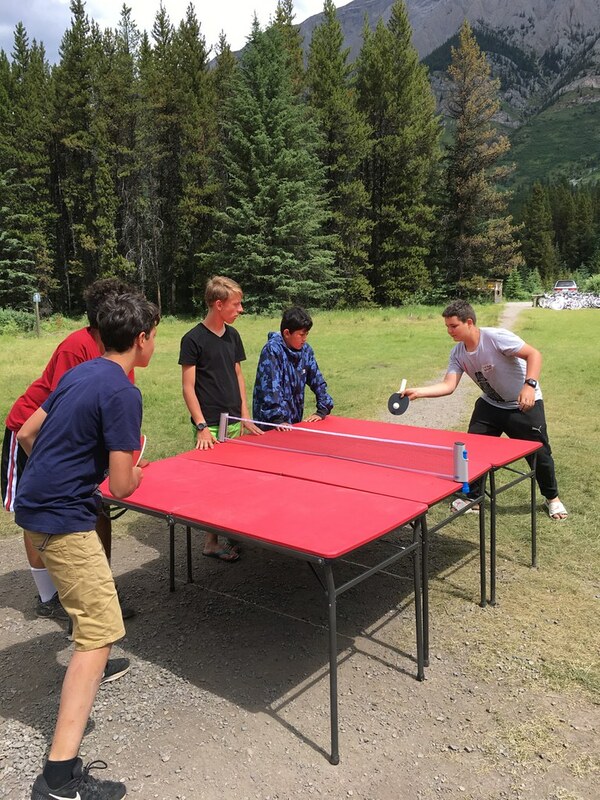 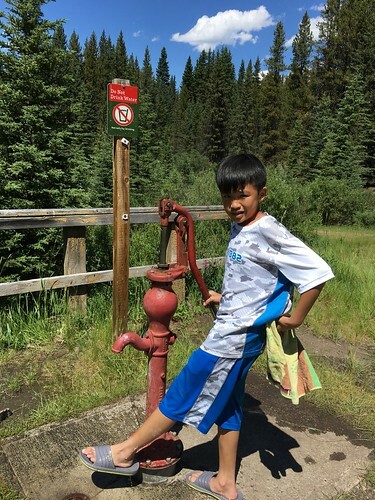 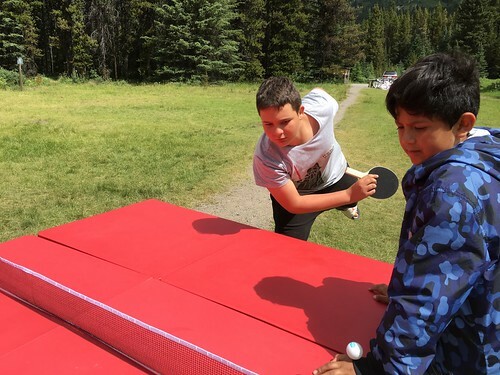 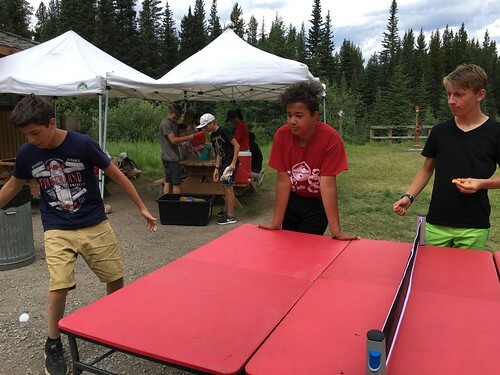 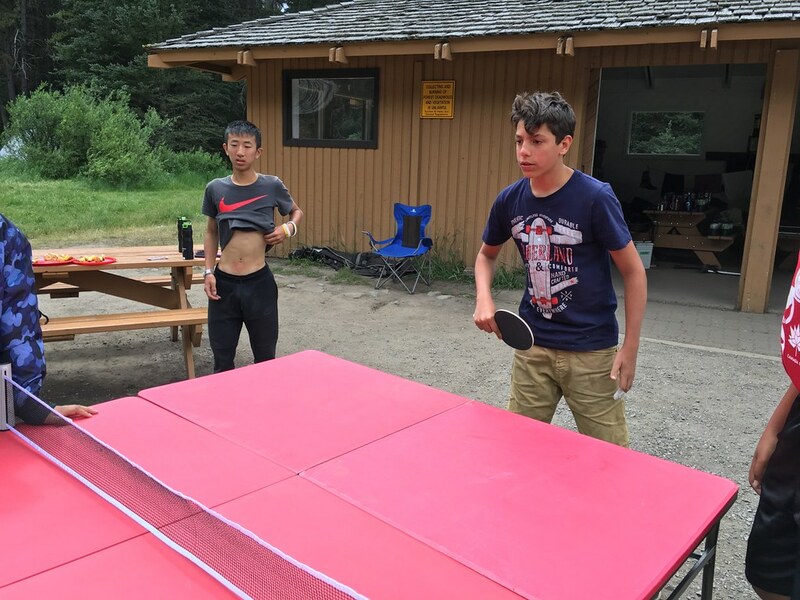 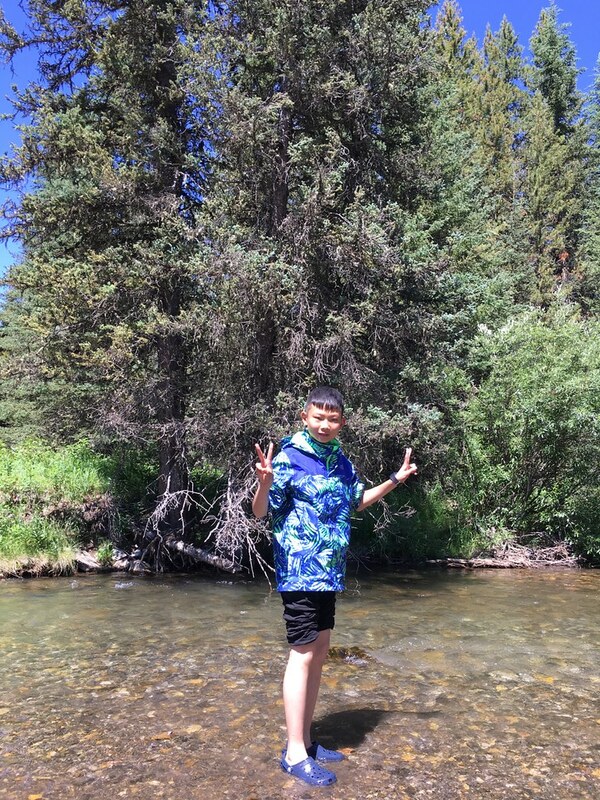 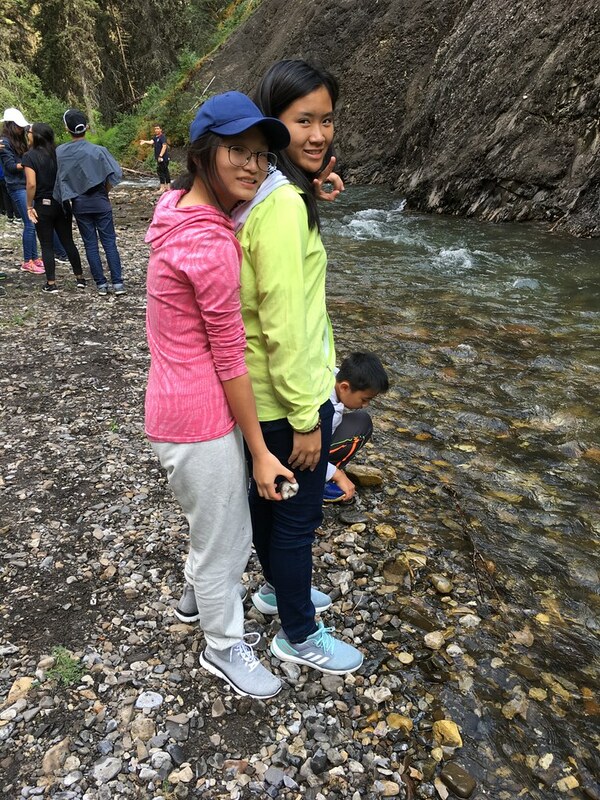 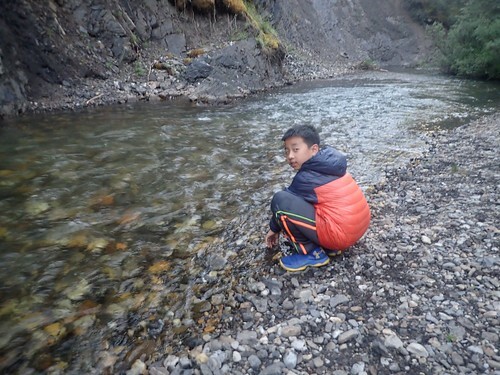 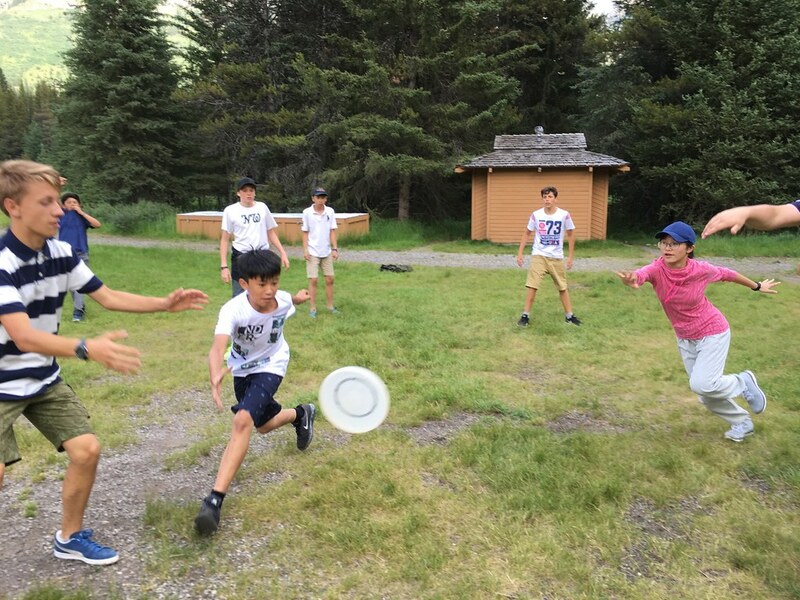 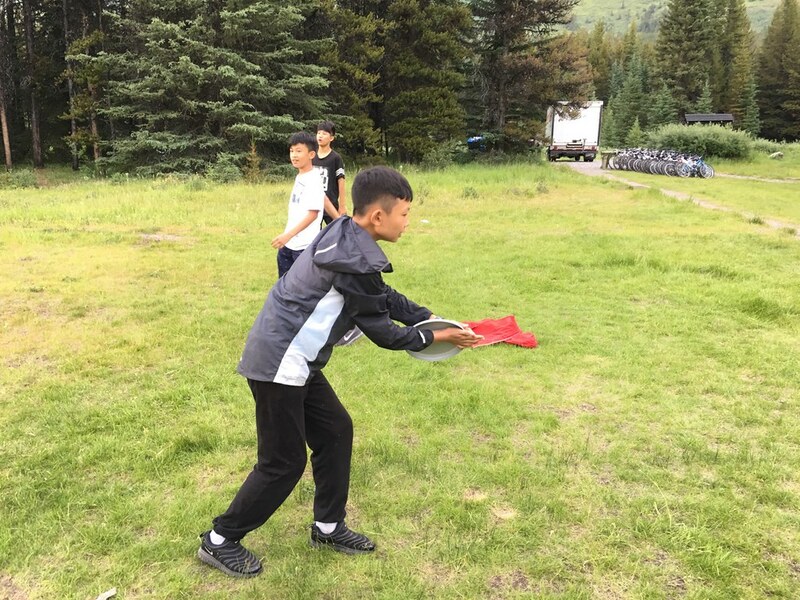 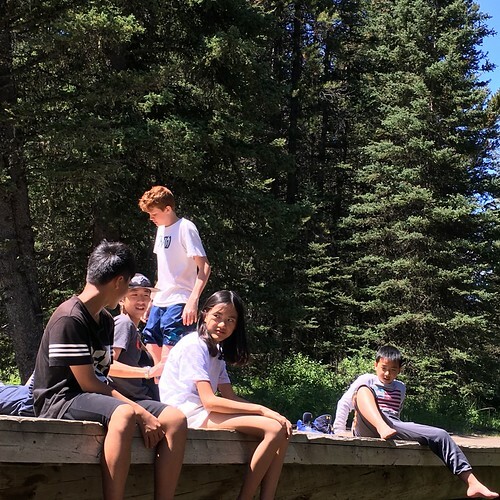 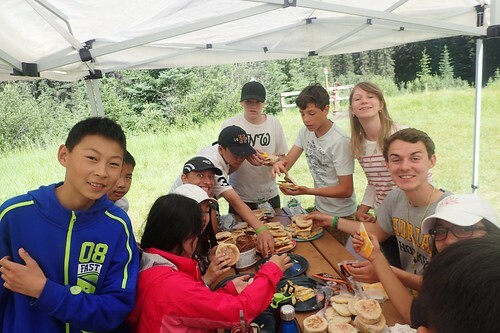 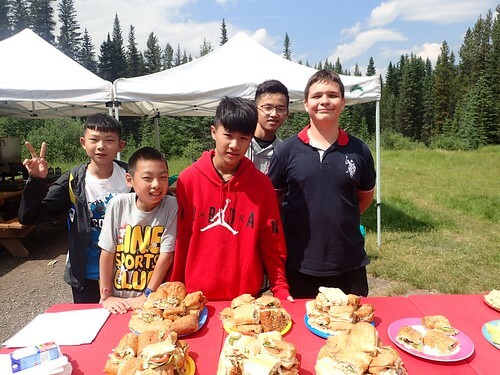 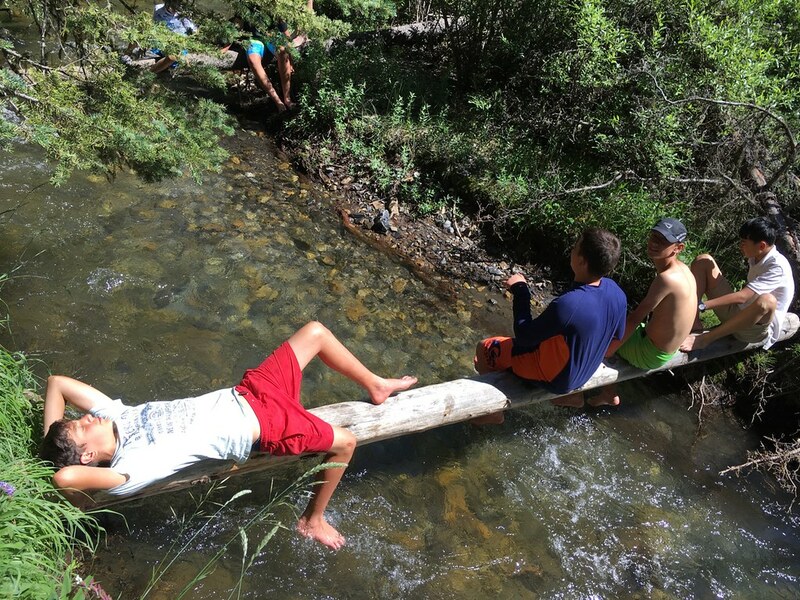 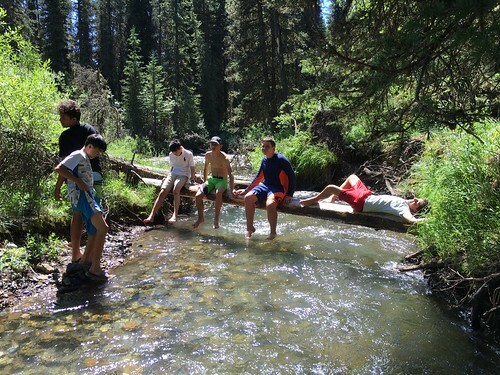 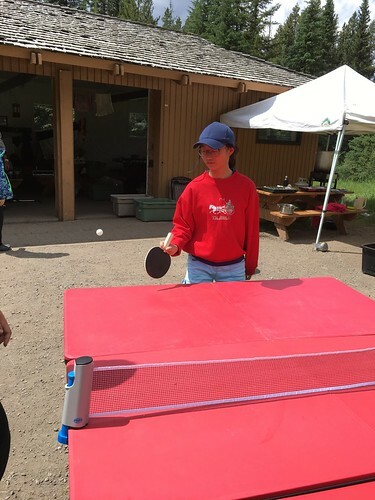 When we weren’t cooking, we played frisbee, ping-pong, soccer and swam in the river. 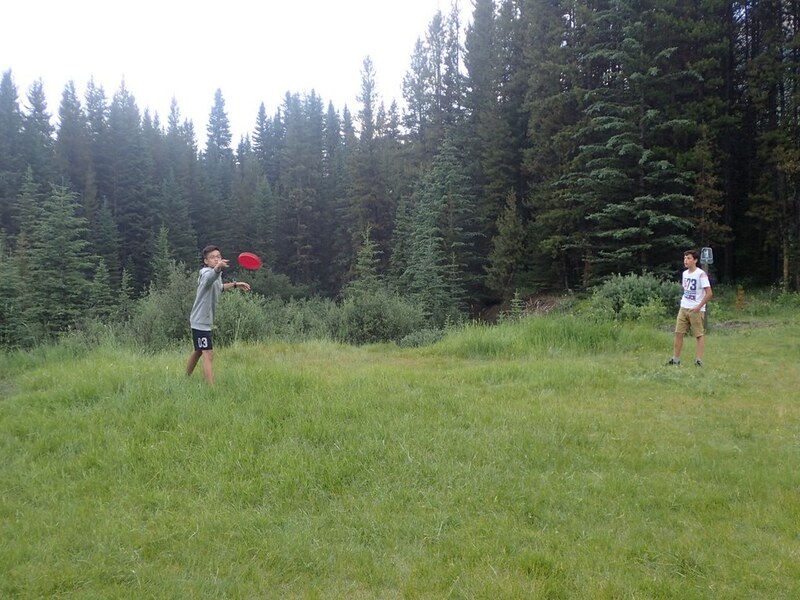 There was always something fun to do to keep everybody occupied! 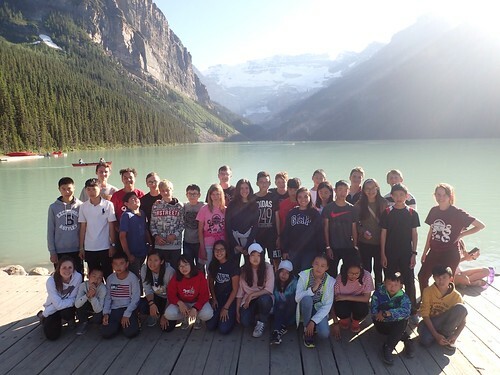 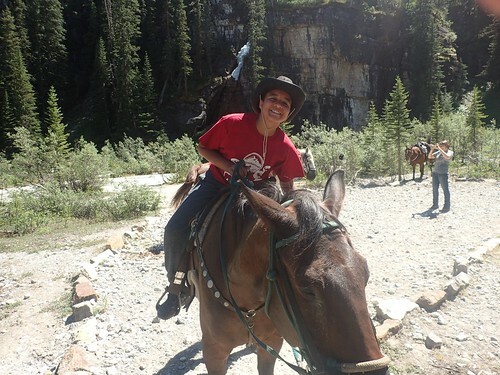 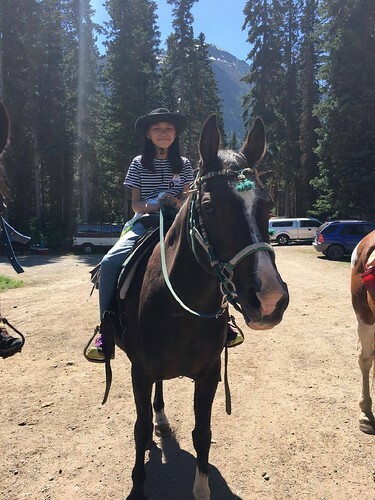 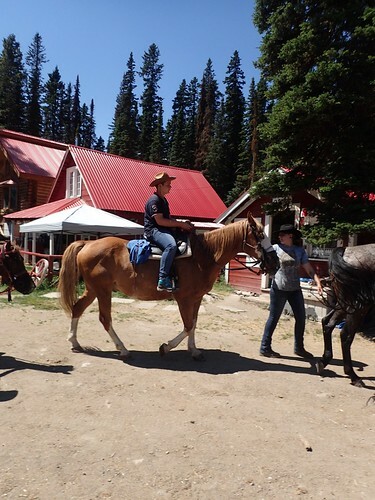 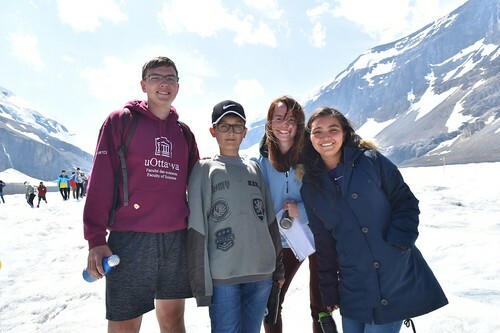 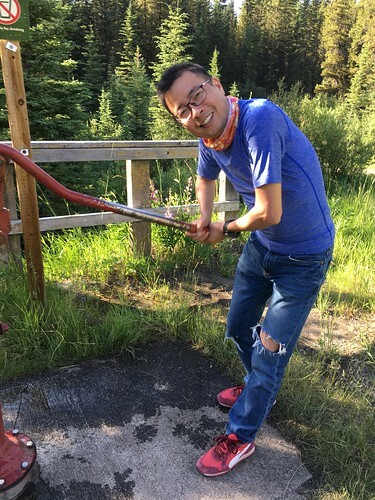 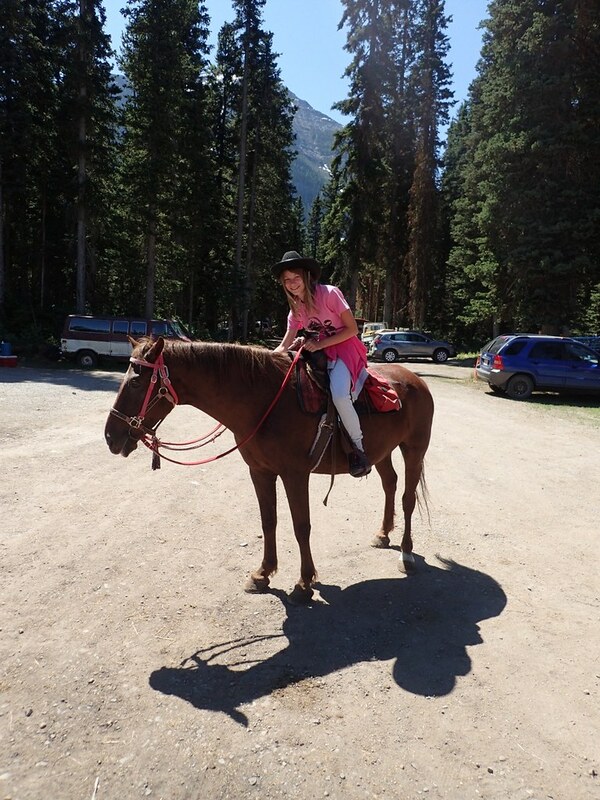 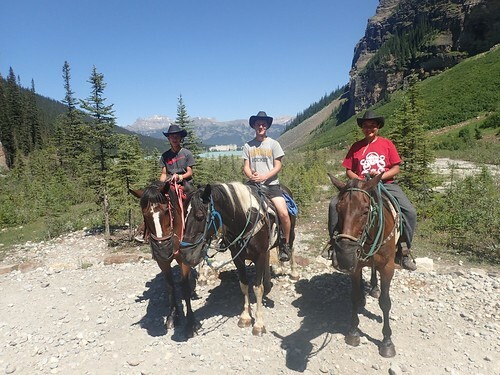 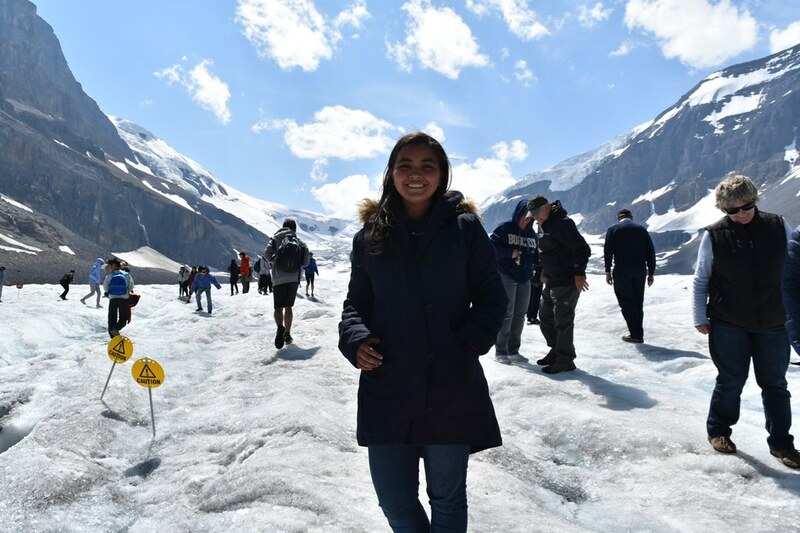 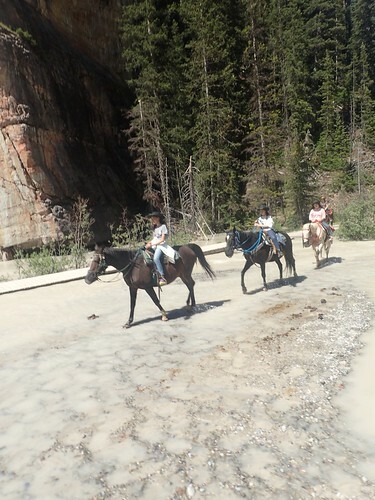 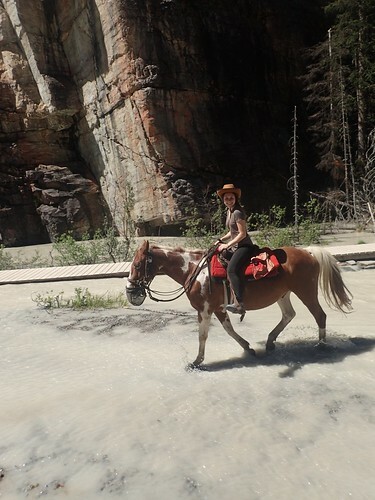 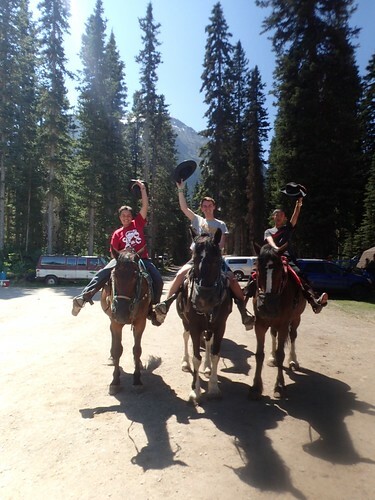 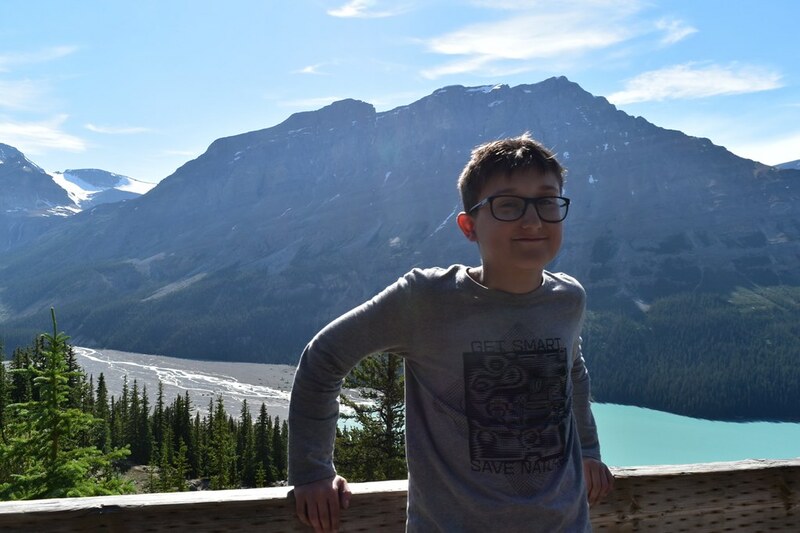 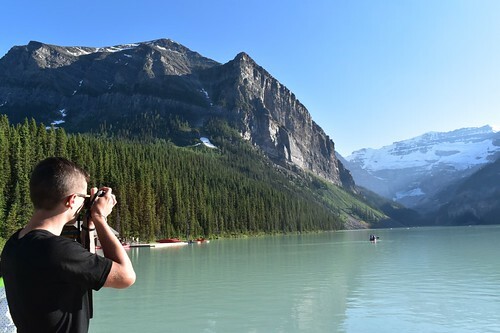 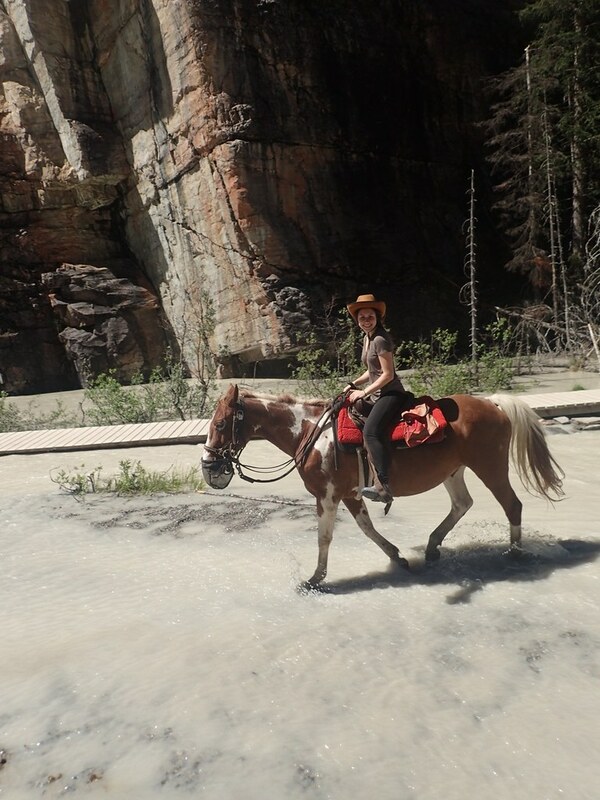 The geese also got to visit some amazing sites in Alberta – the Columbia Icefields and Lake Louise on horseback. 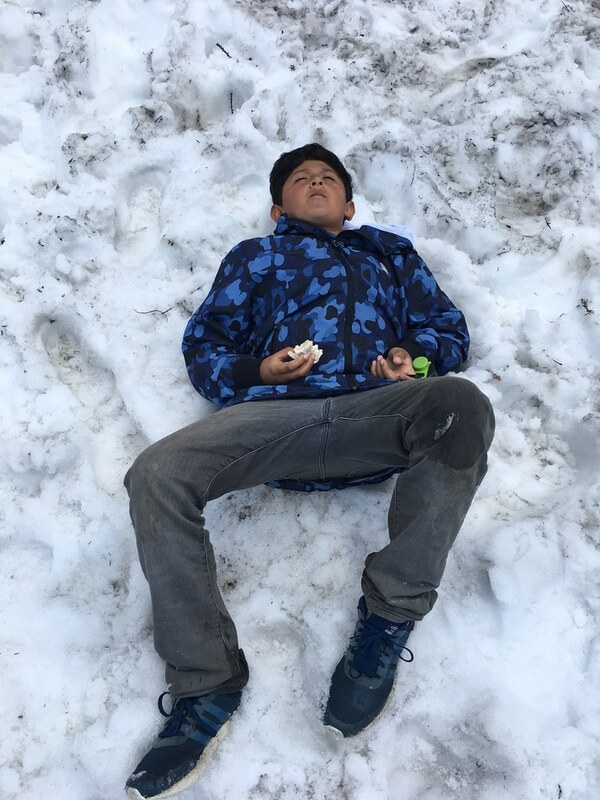 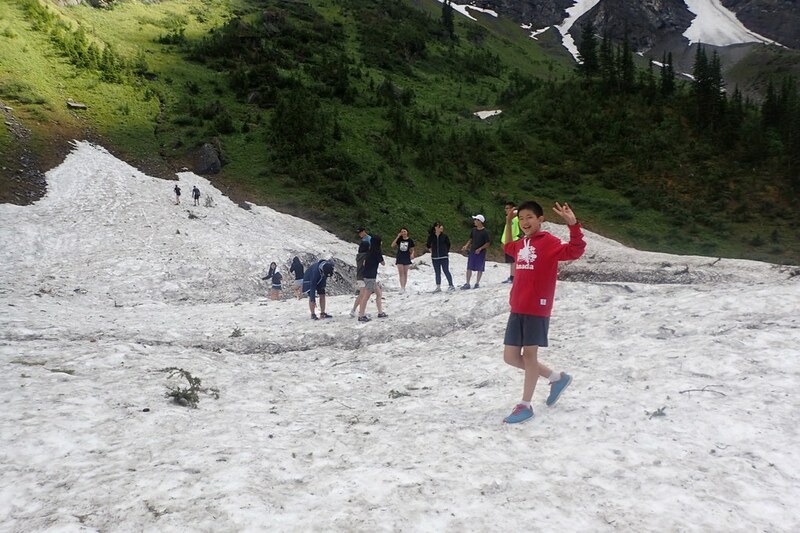 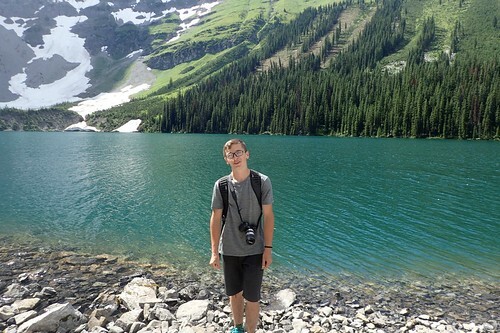 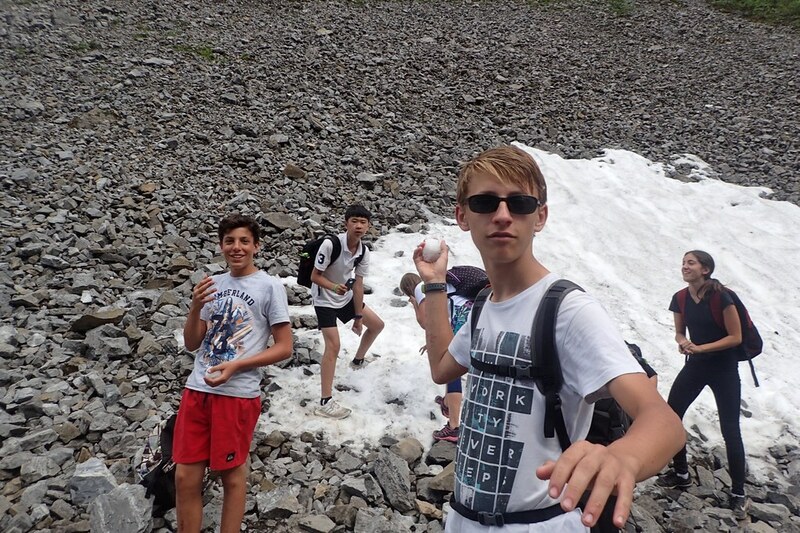 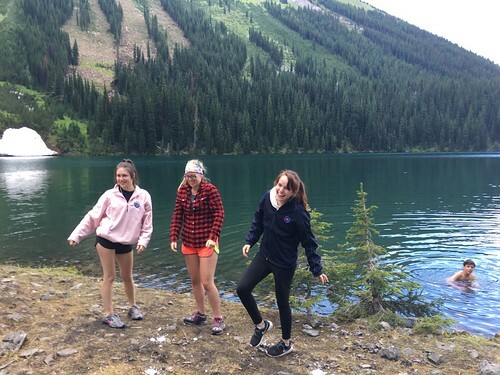 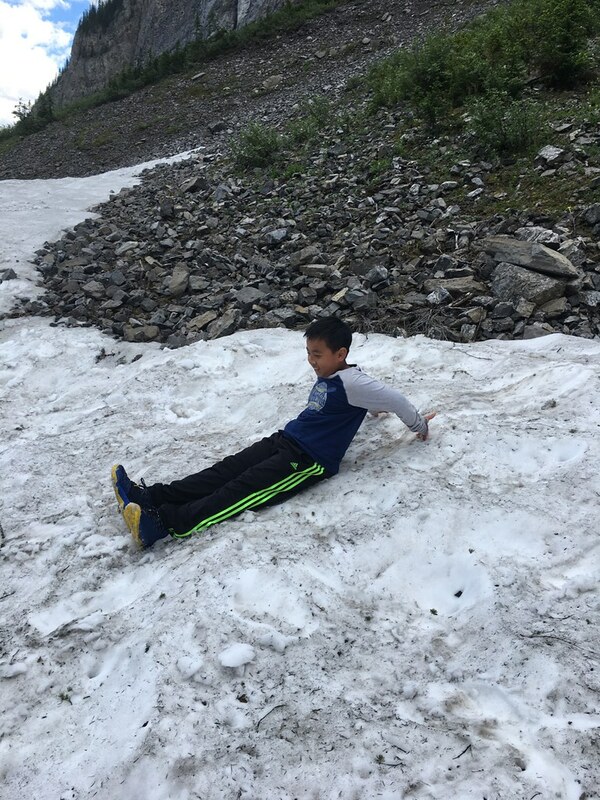 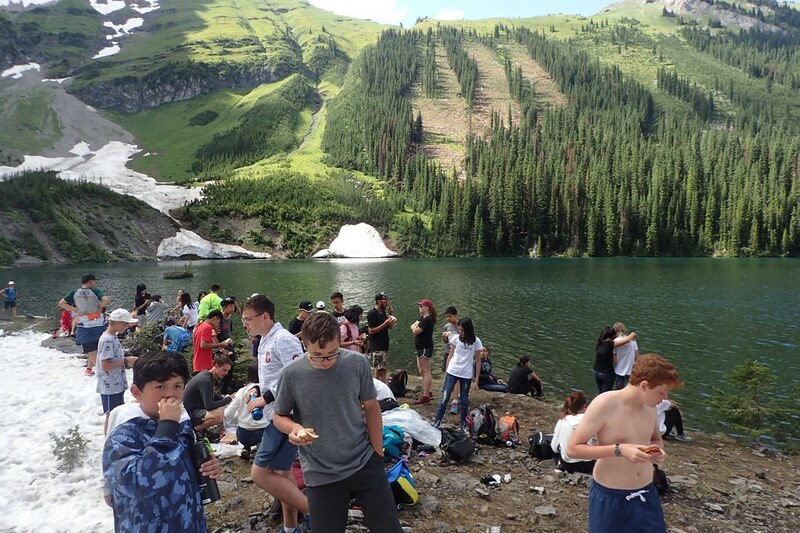 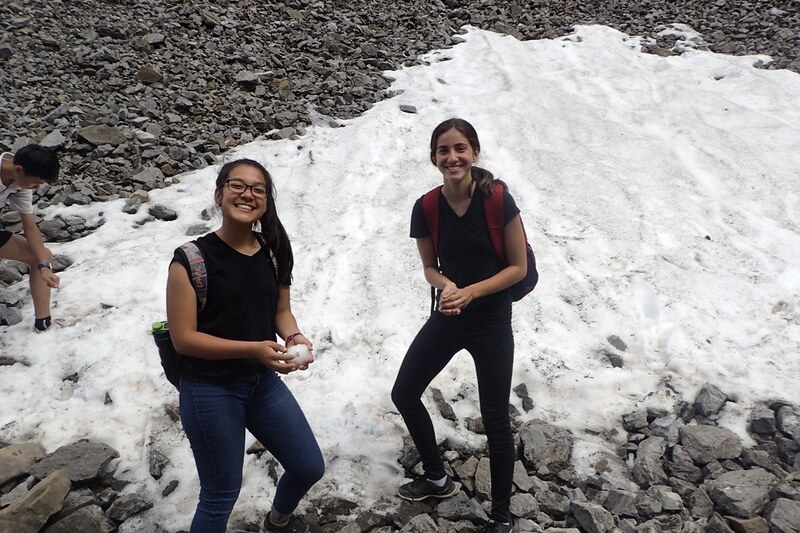 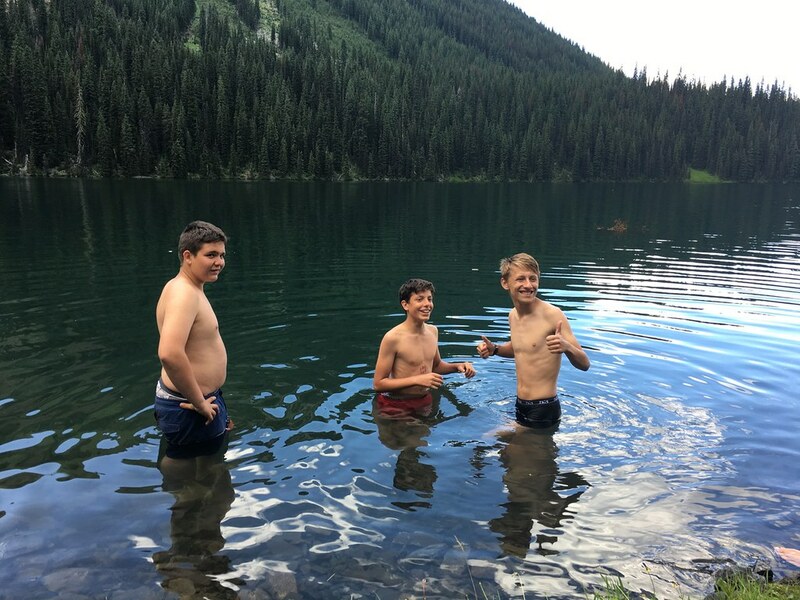 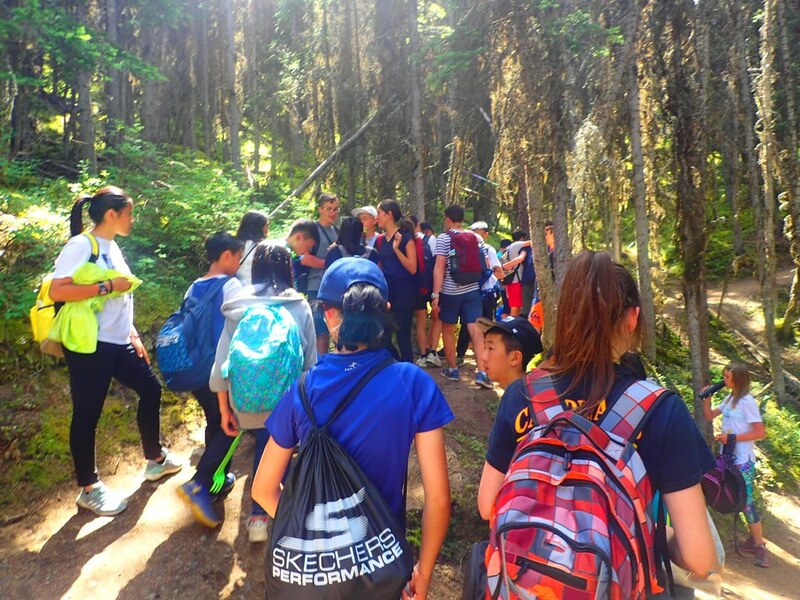 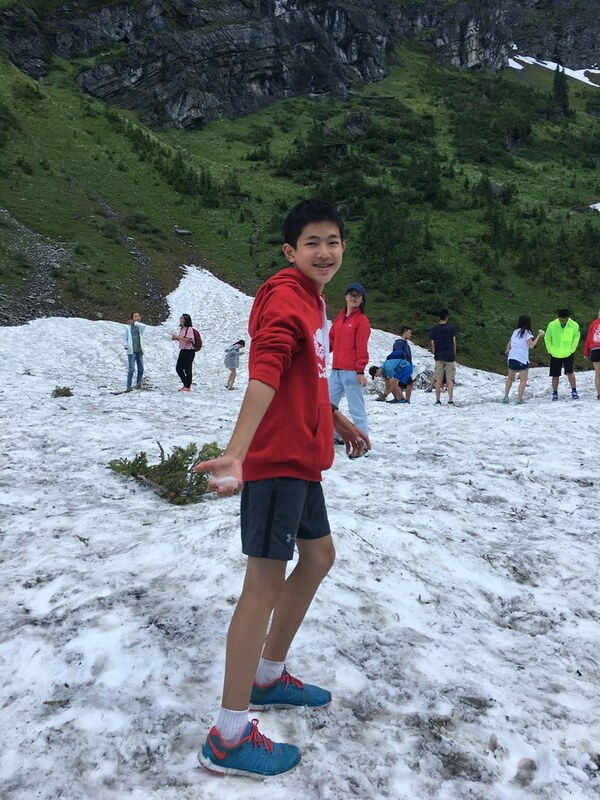 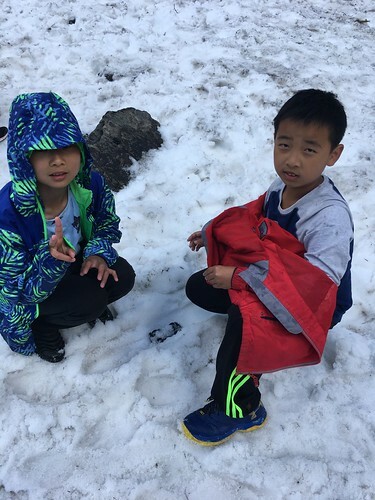 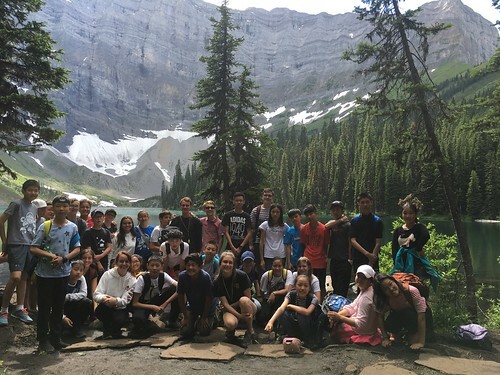 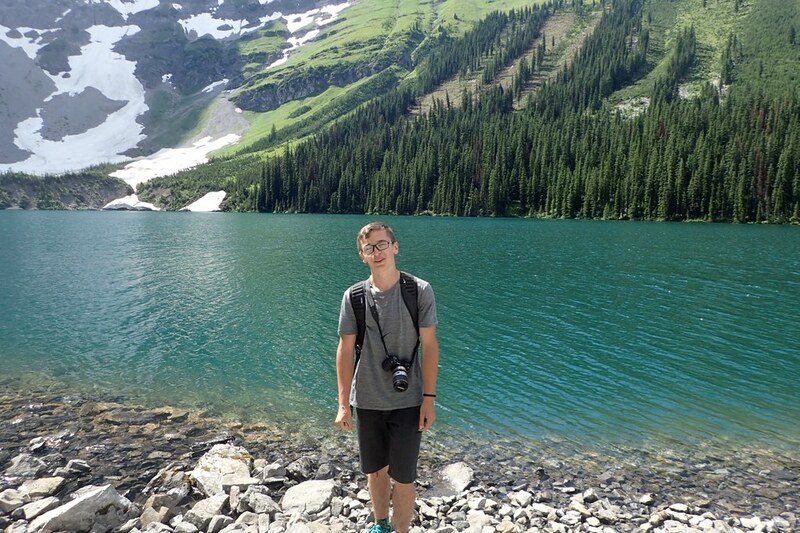 We also went on a group hike up a mountain, where we arrived at a beautiful lake where there was snow for a fun snowball fight! 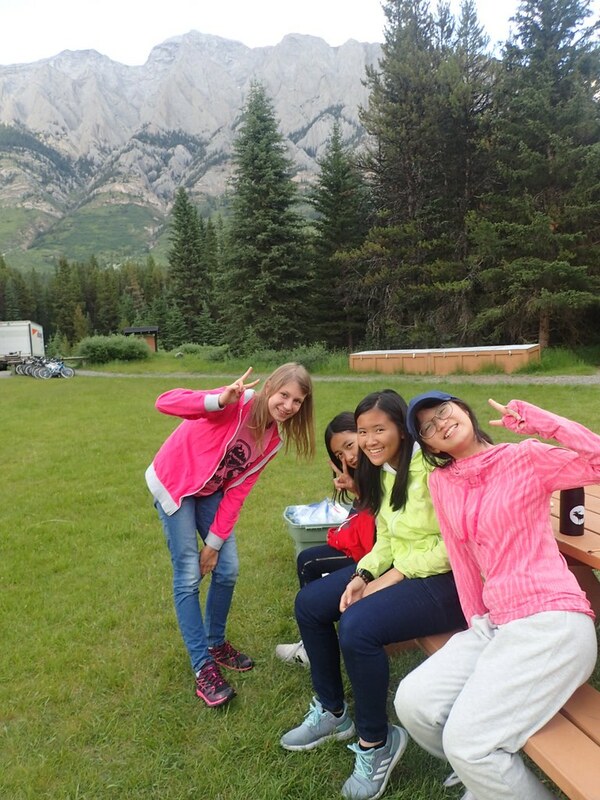 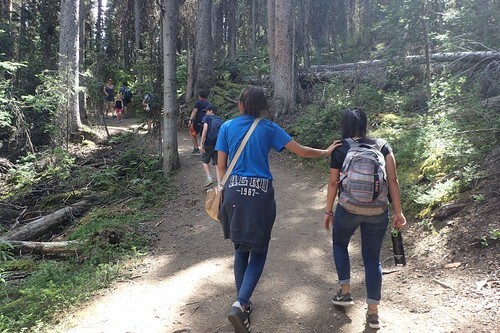 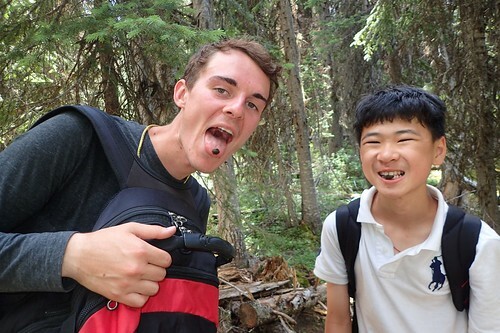 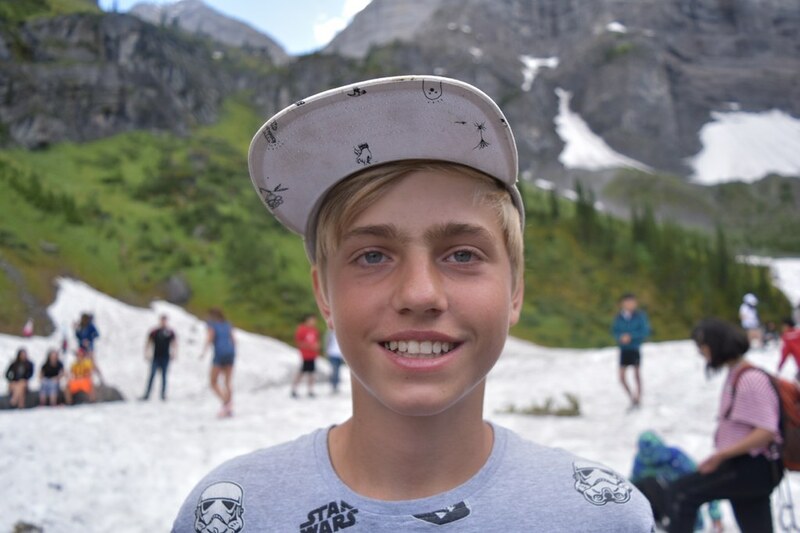 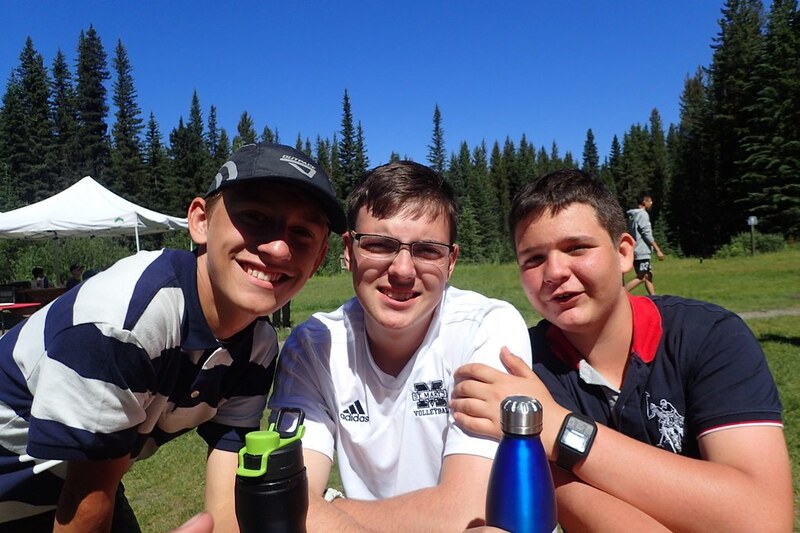 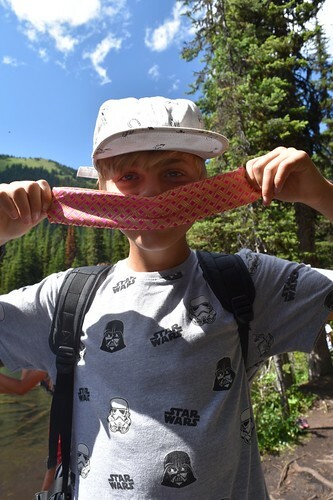 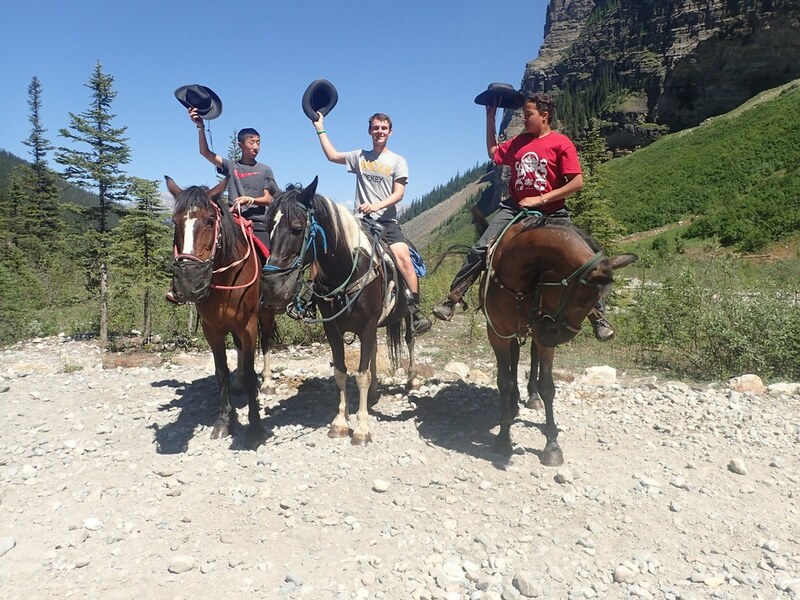 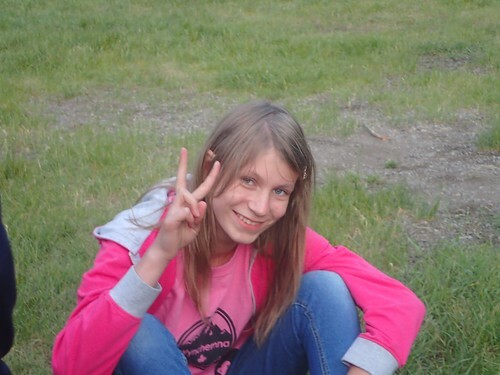 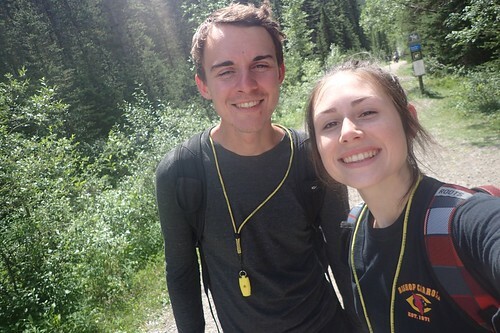 Everybody got amazing pictures of the sights and made amazing memories with their camp friends. 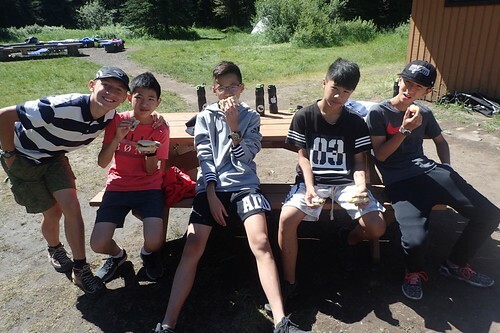 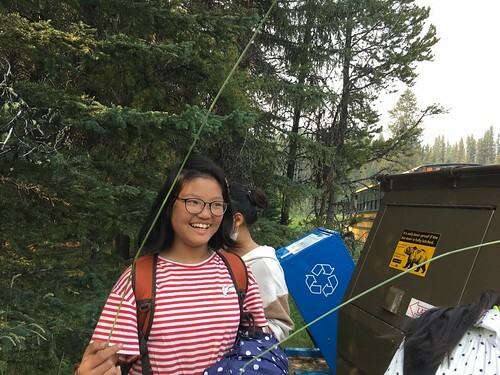 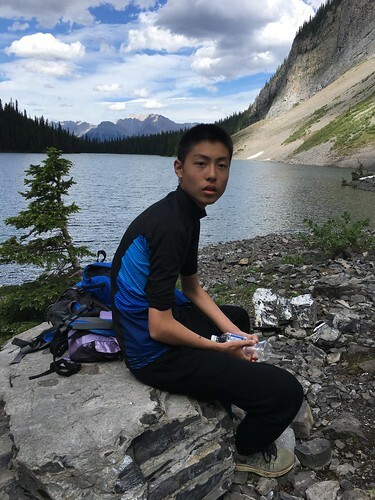 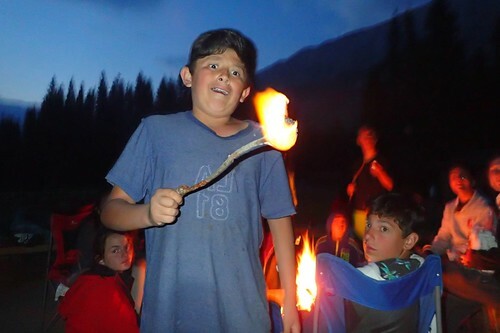 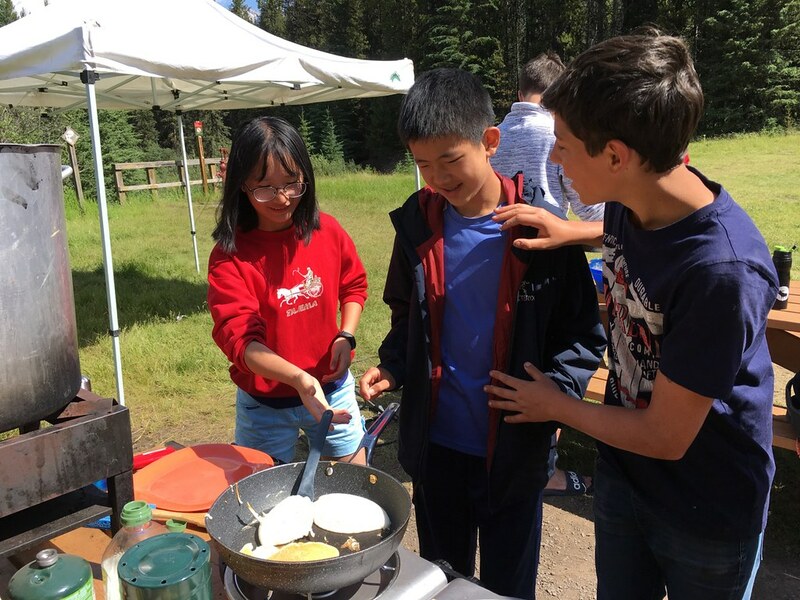 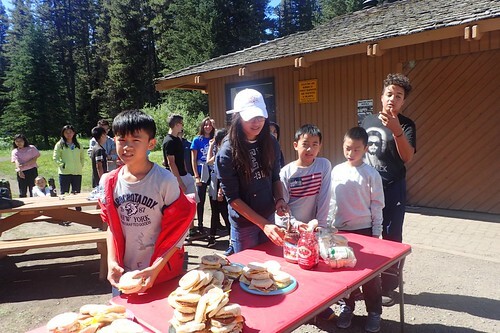 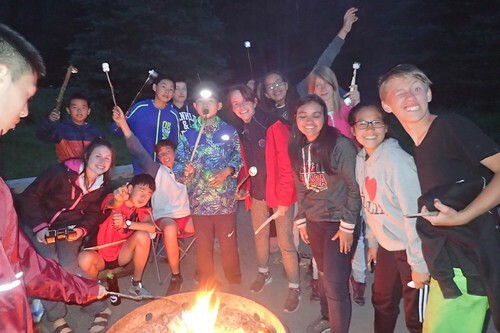 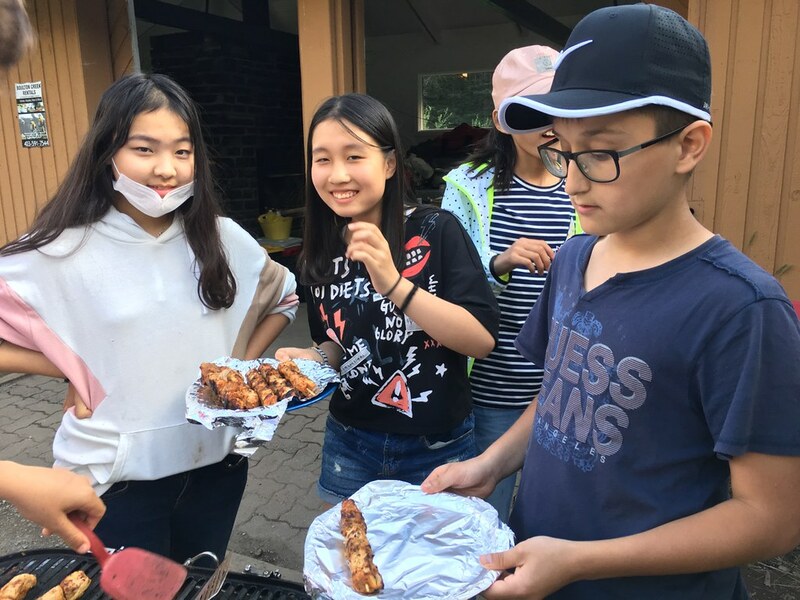 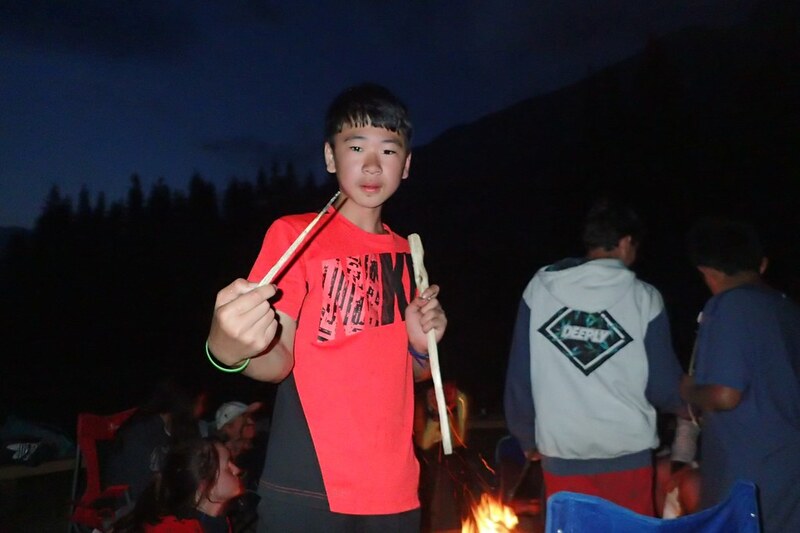 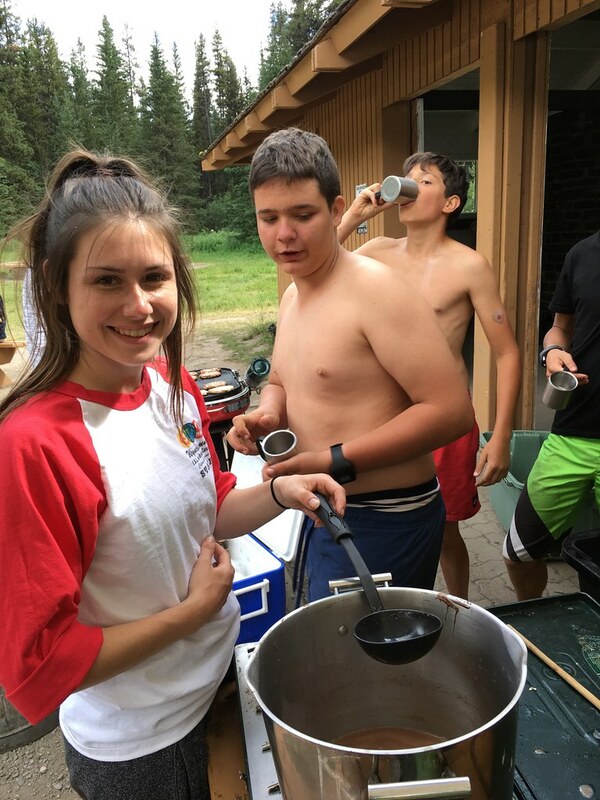 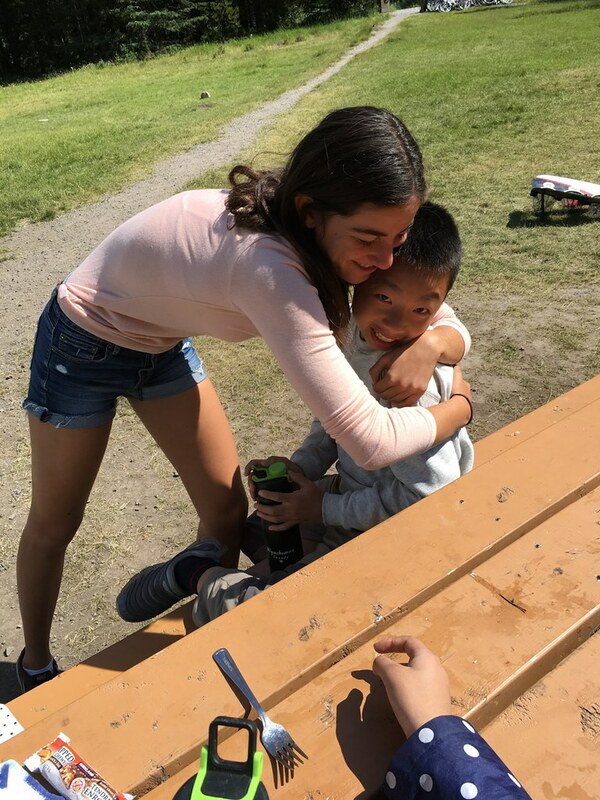 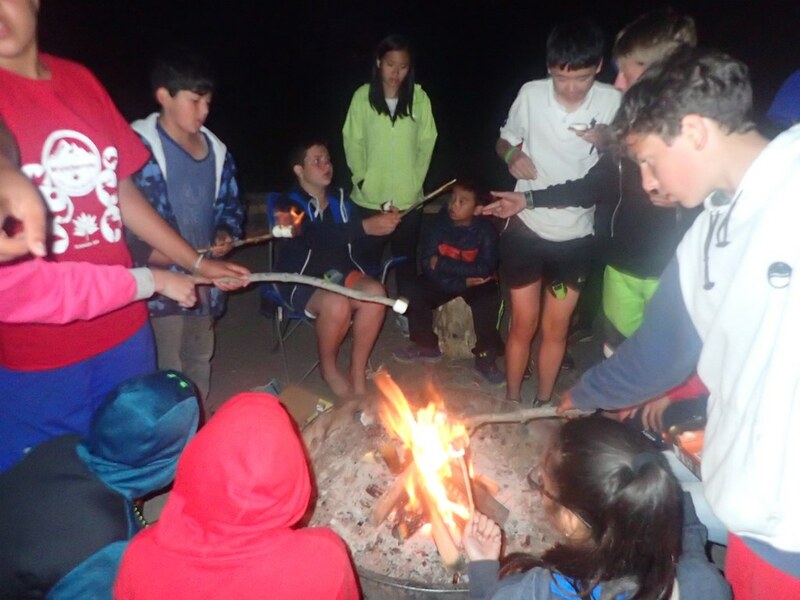 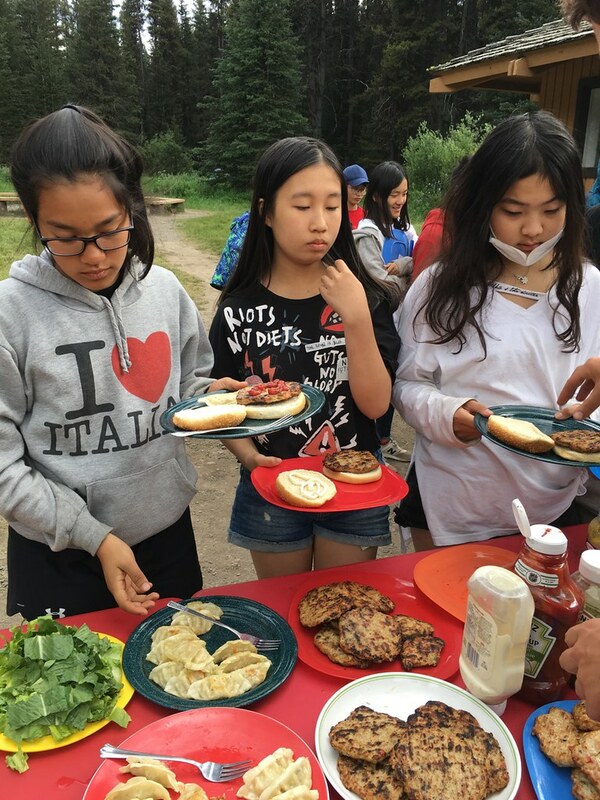 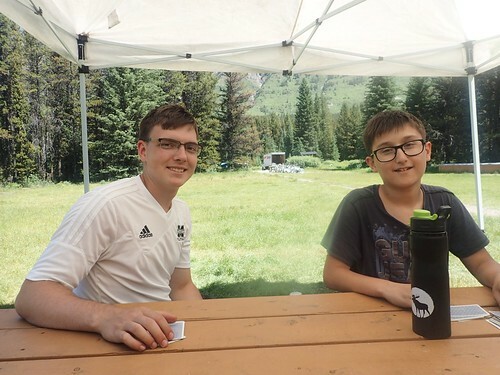 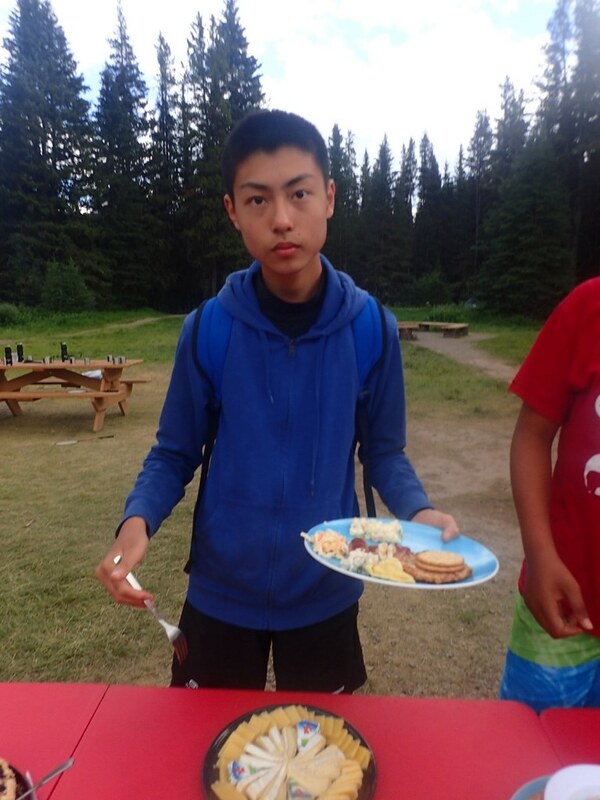 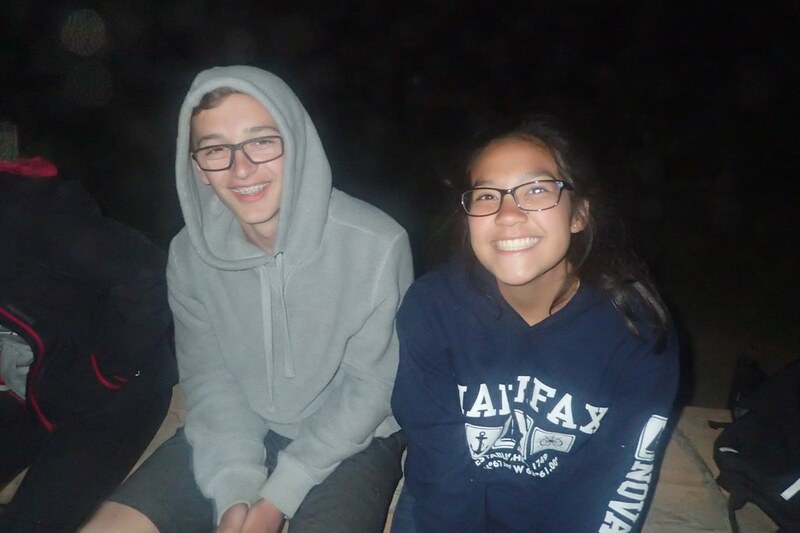 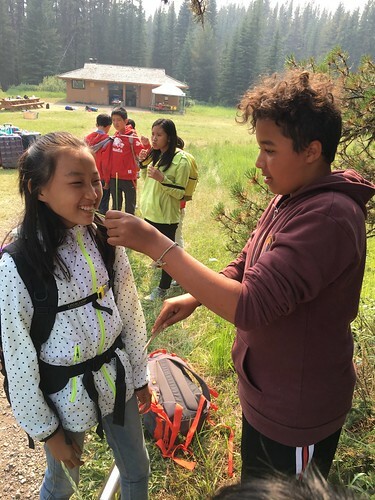 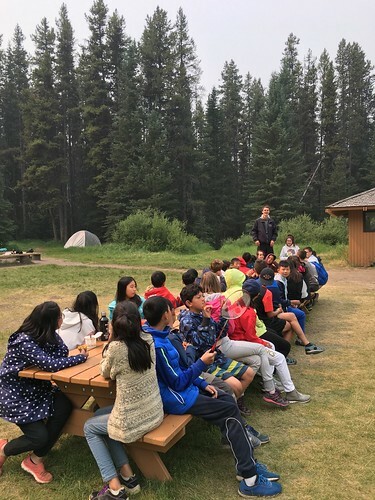 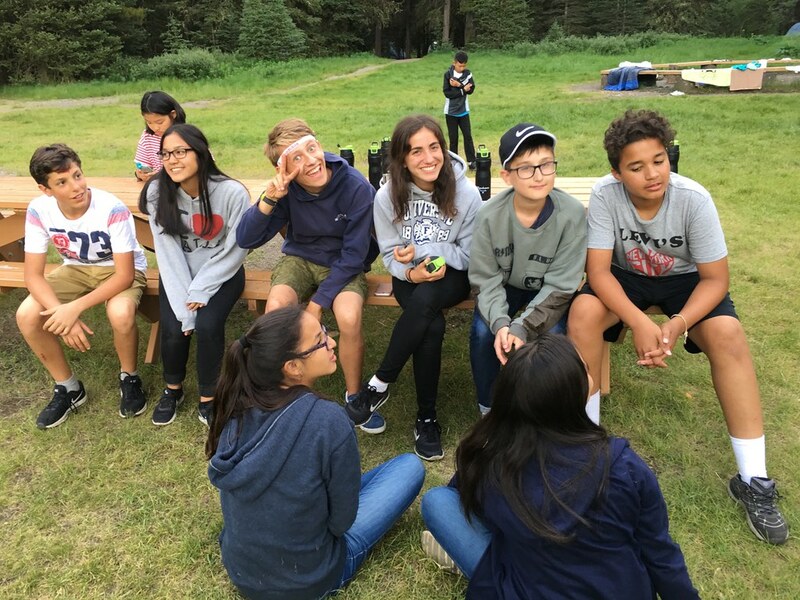 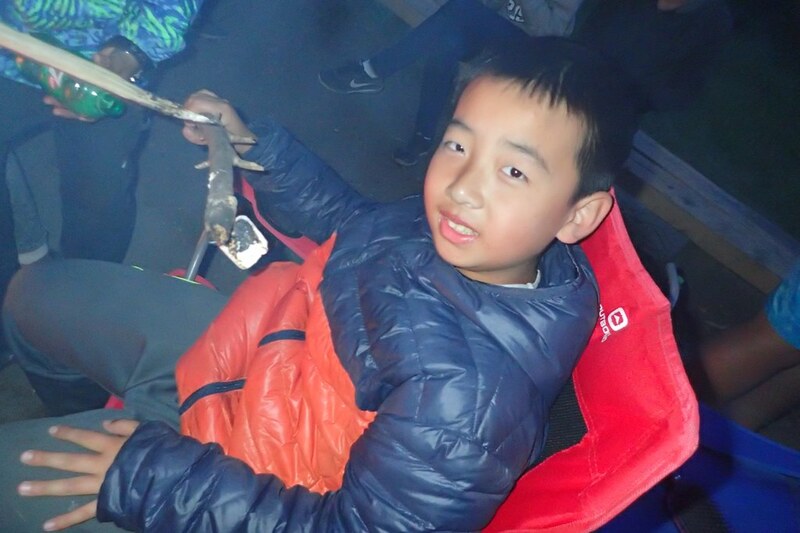 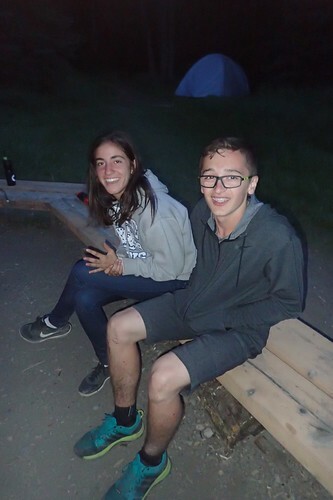 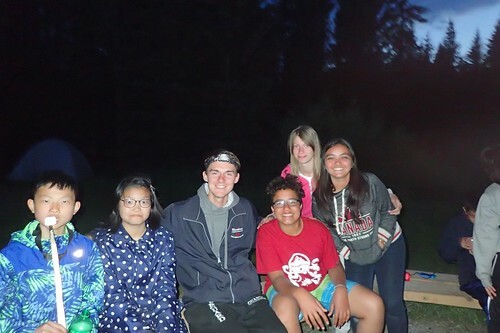 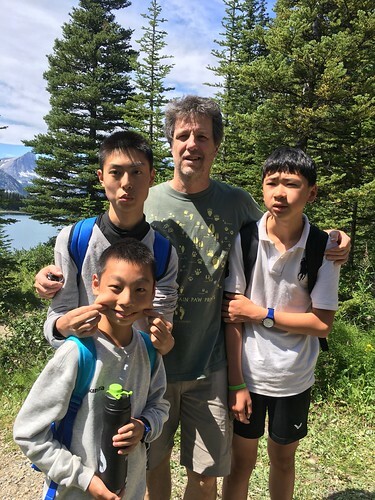 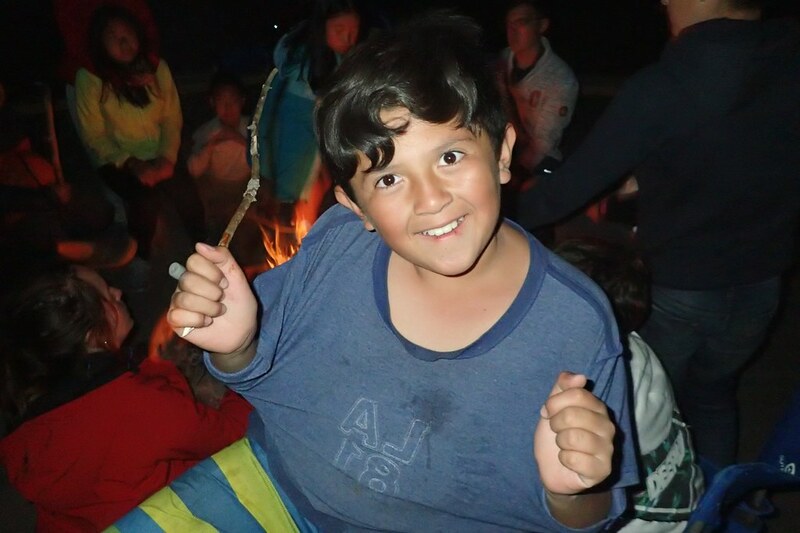 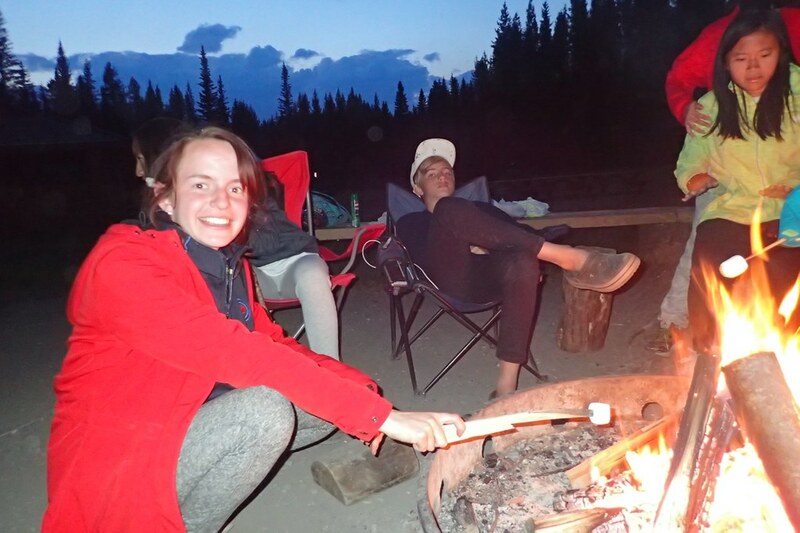 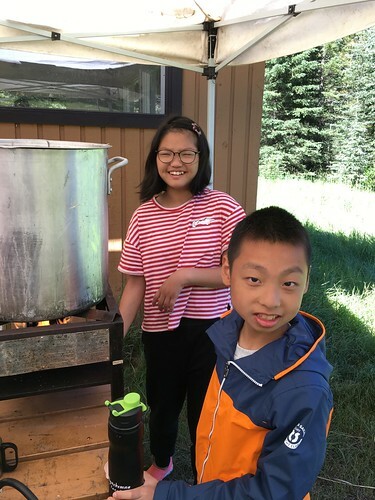 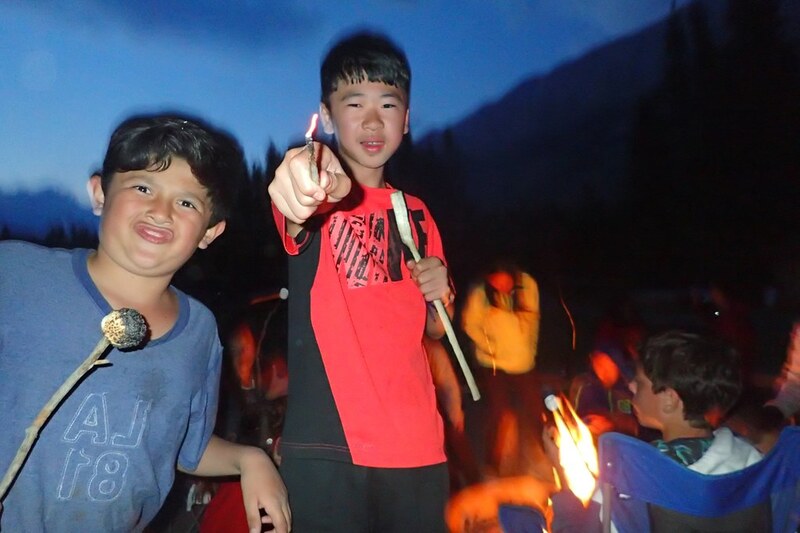 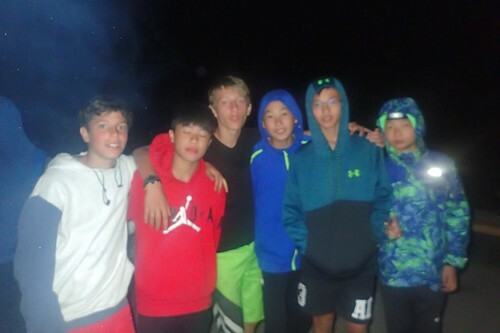 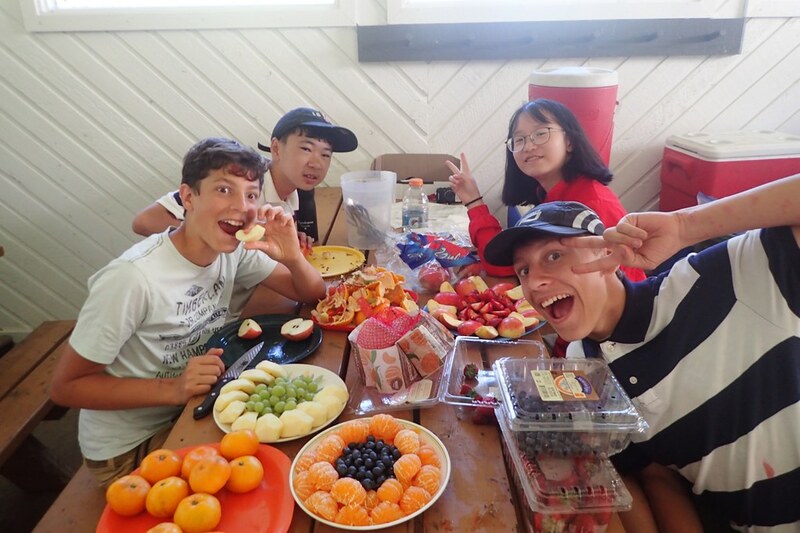 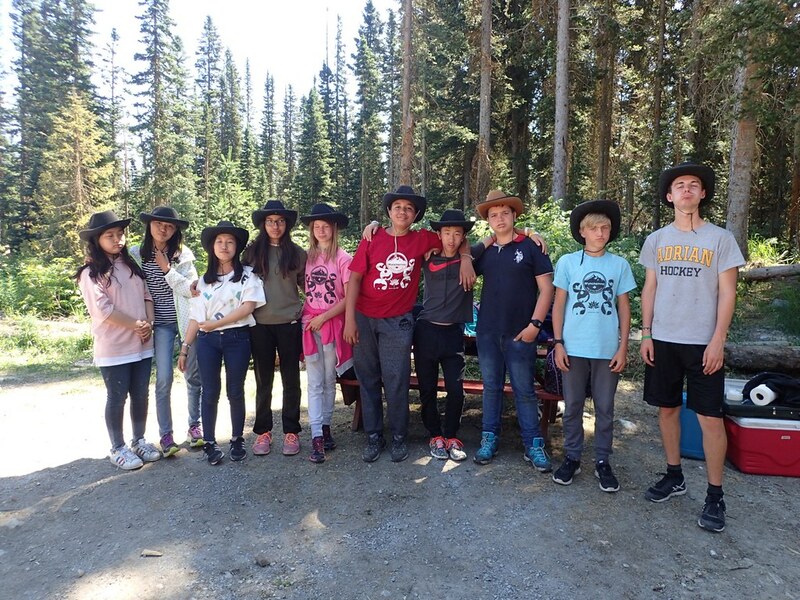 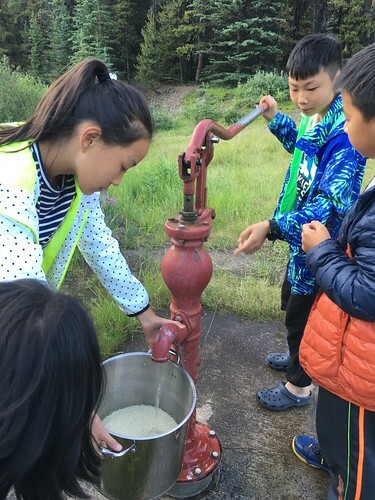 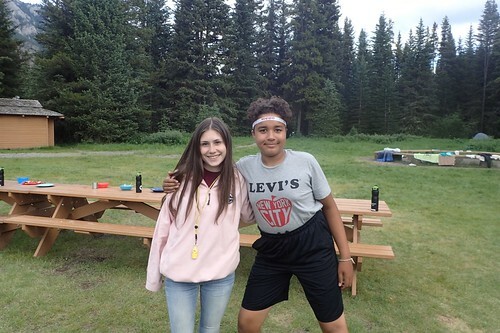 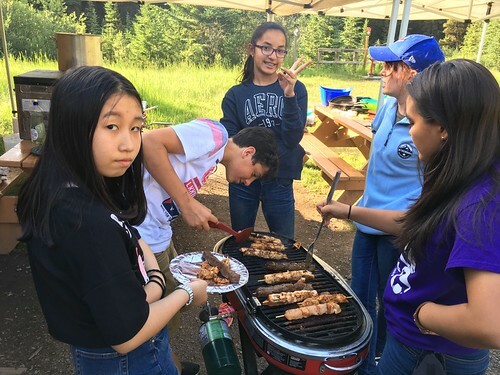 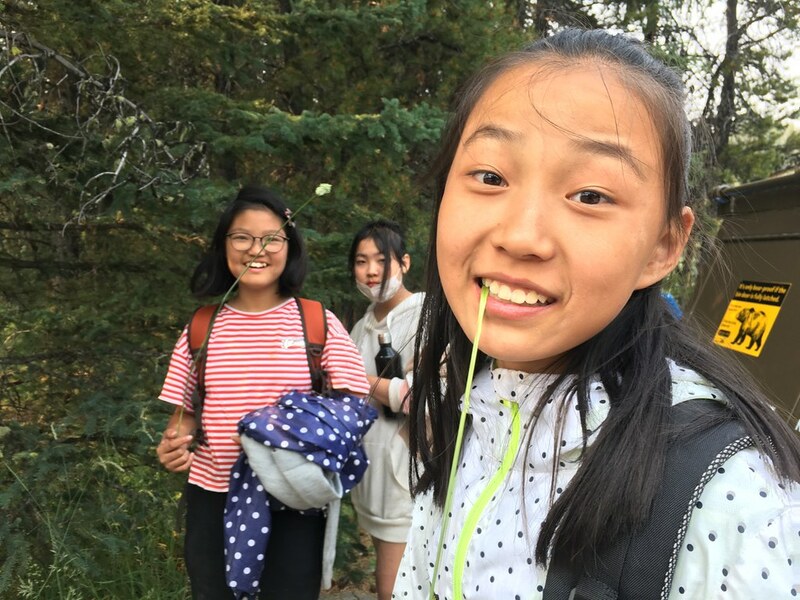 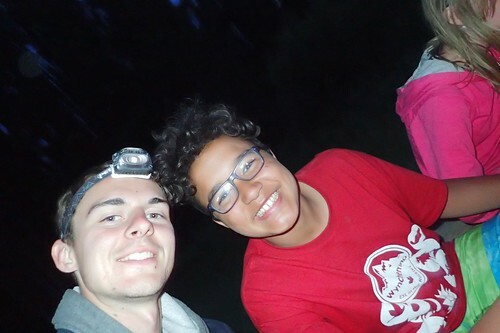 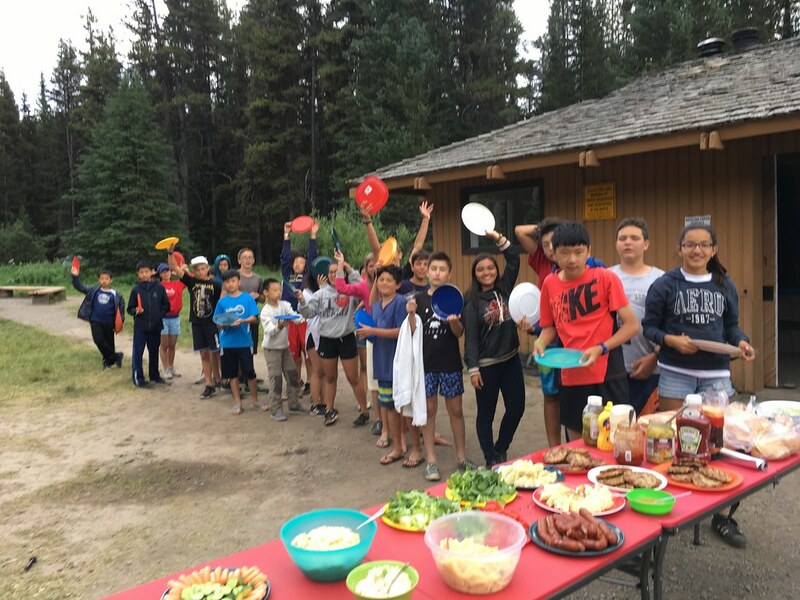 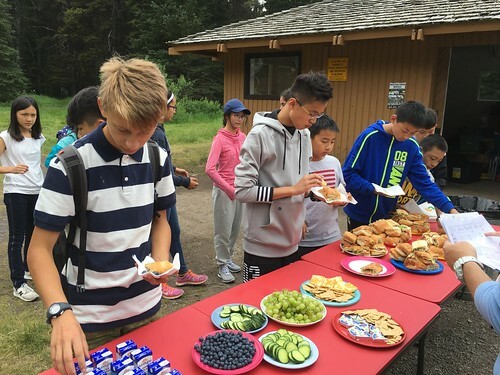 When we returned to camp, and were done with dinner at the end of the night, we spent our time sitting around the campfire – singing songs, stuffing our cheeks with marshmallows and sharing scary stories. 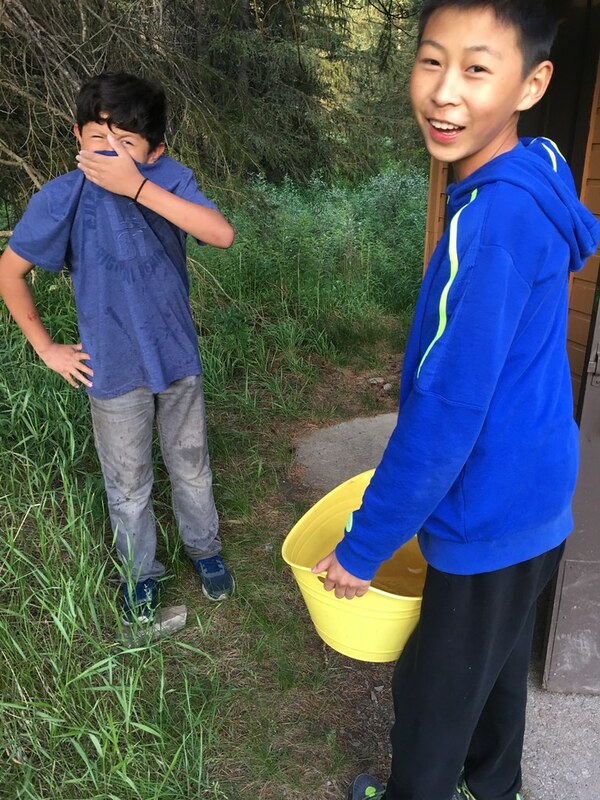 Everyday was full of firsts for everybody, and there was never a dull moment! 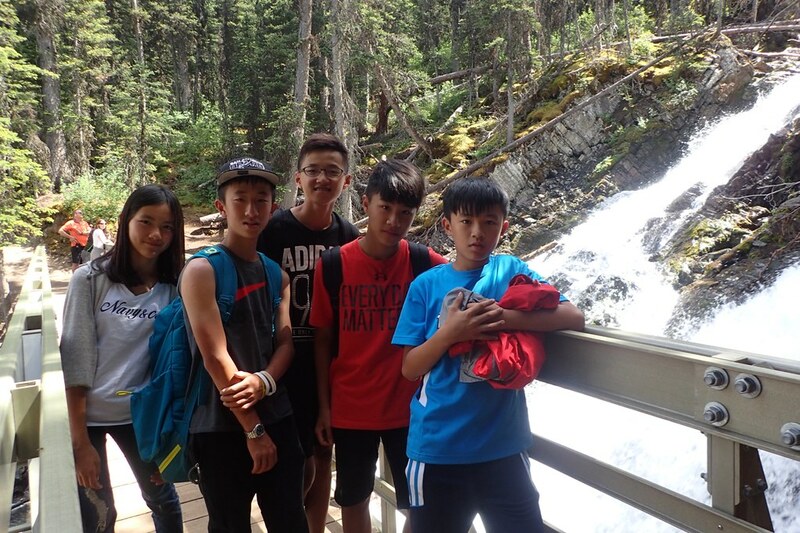 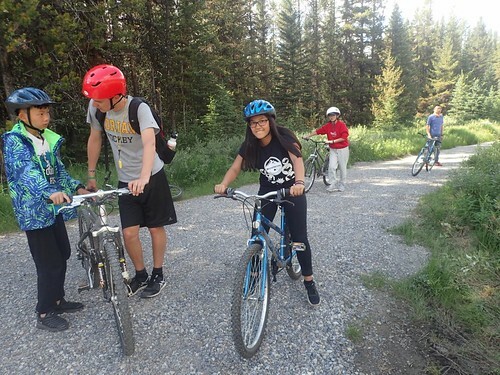 On Monday, after days of fun under the sun, it was time to return to Calgary. We wrapped up our sleeping bags, had a delicious final breakfast and lunch, and returned home. 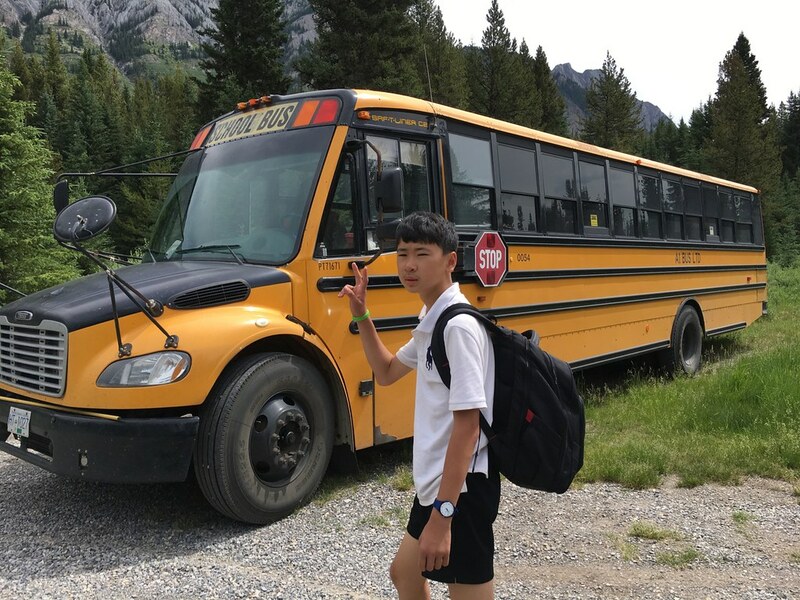 The bus ride home consisted of everybody sharing their stories of their favourite moments camping in Canada’s rocky mountains! What a blast! Singing Water Loons – July 17, 2017 – Canoeing, Baseball & Rollerskating!